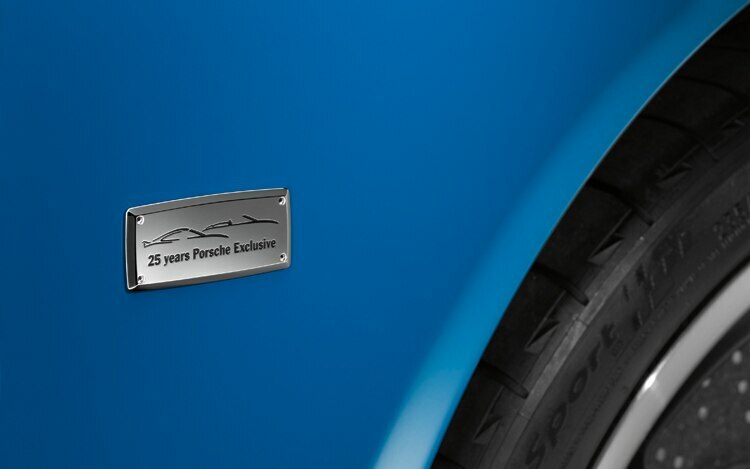 And then there were twenty. 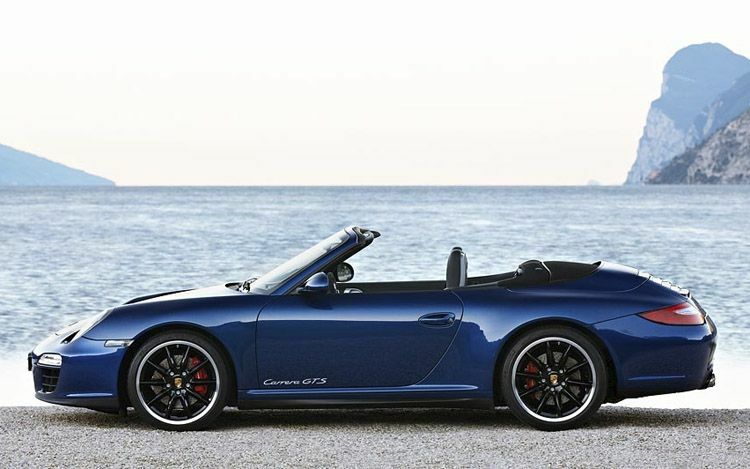 Days after crowding the new 2011 911 Carrera GTS into its portfolio, Porsche announced it has yet another 911 variant — the 2011 911 Speedster — debuting at the 2010 Paris Motor Show. 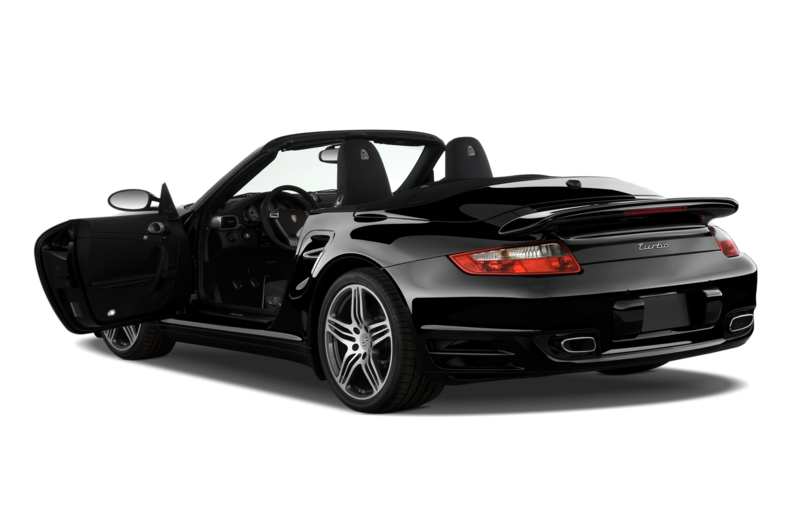 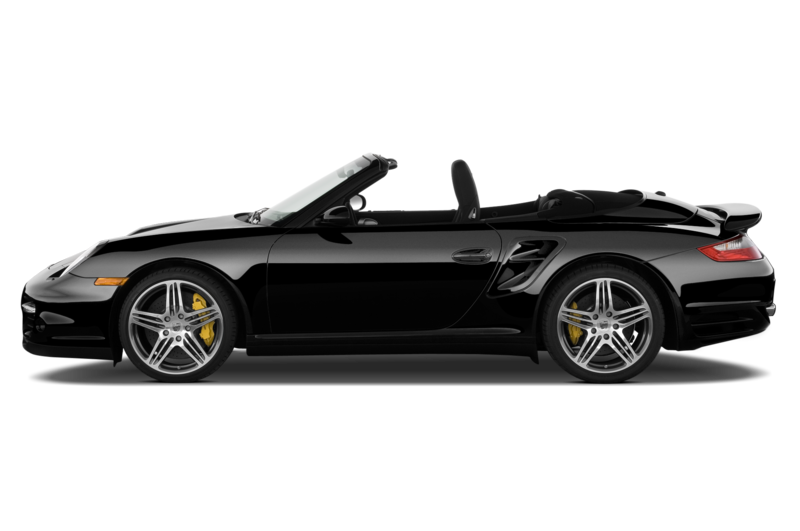 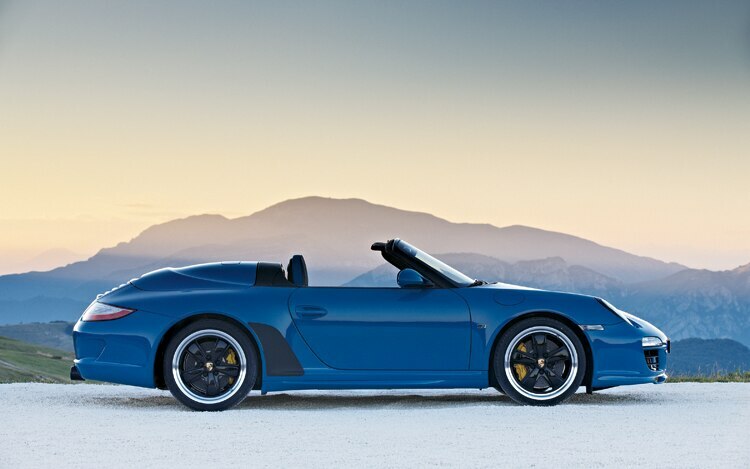 Developed by Porsche’s Exclusive division the same group that developed the Europe-only 911 Sport Classic model), the new 2011 Speedster takes a number of cues used on the 1989 and 1993 911 Speedsters and applies them to the current 997 range. 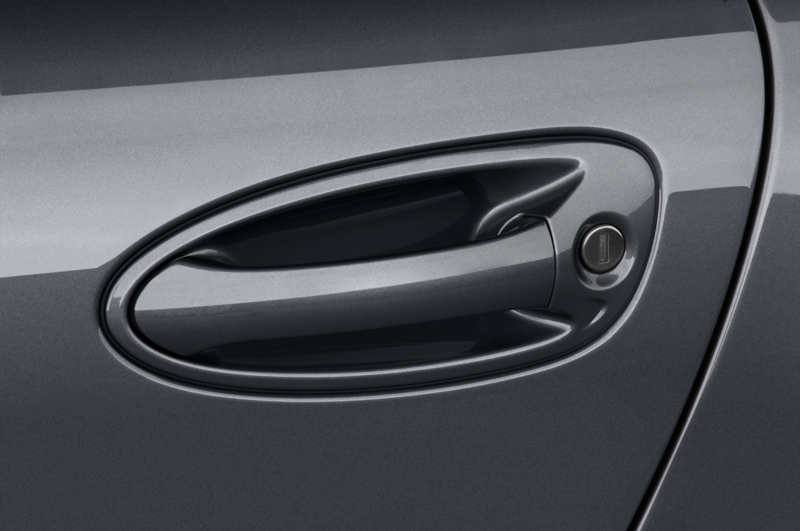 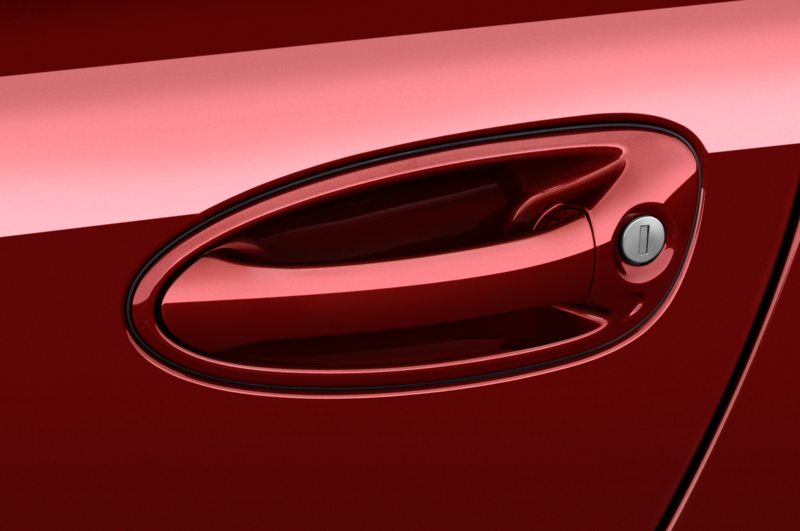 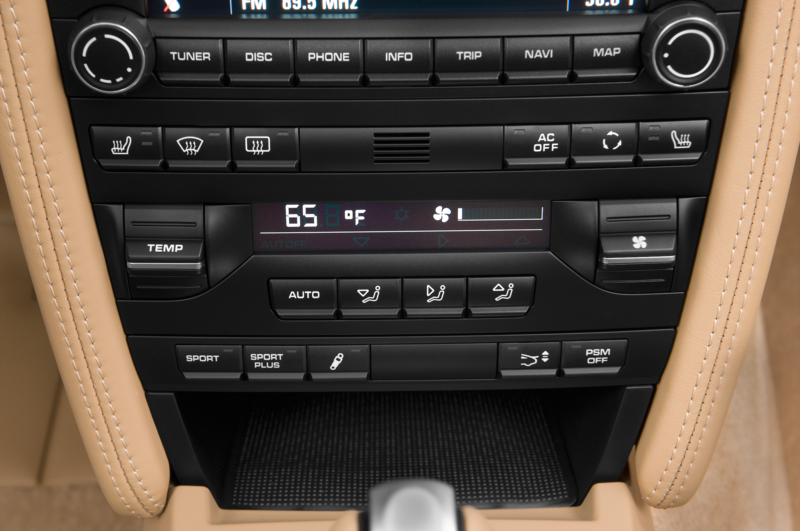 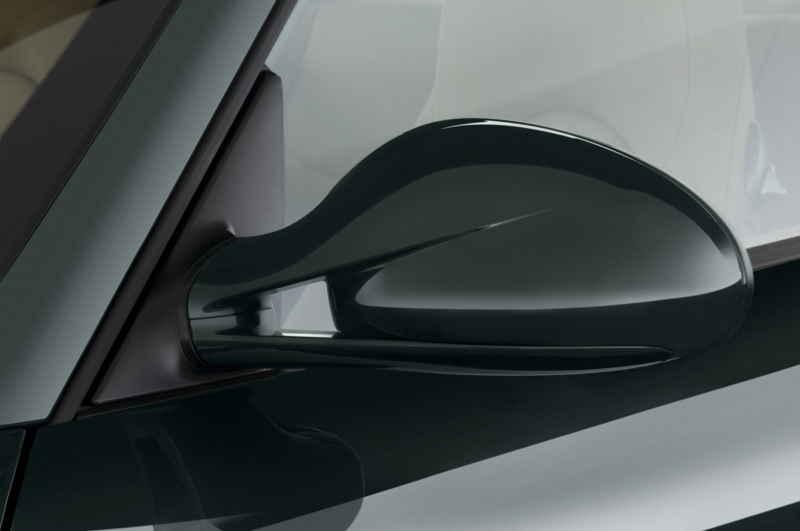 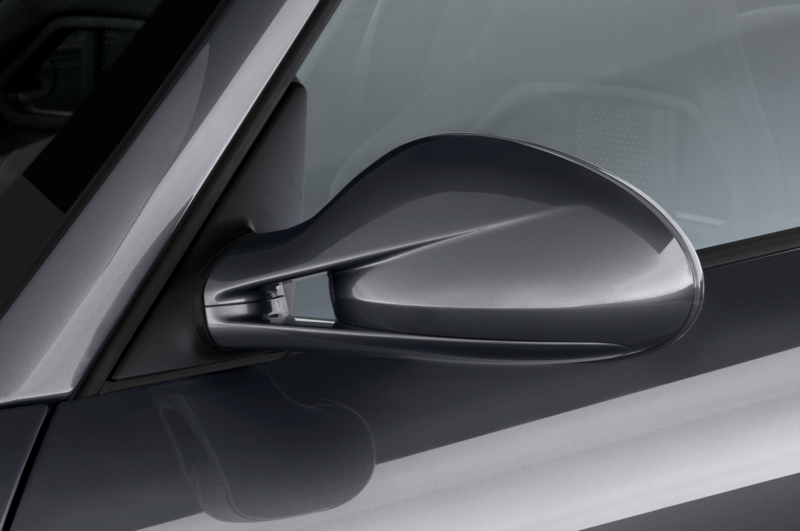 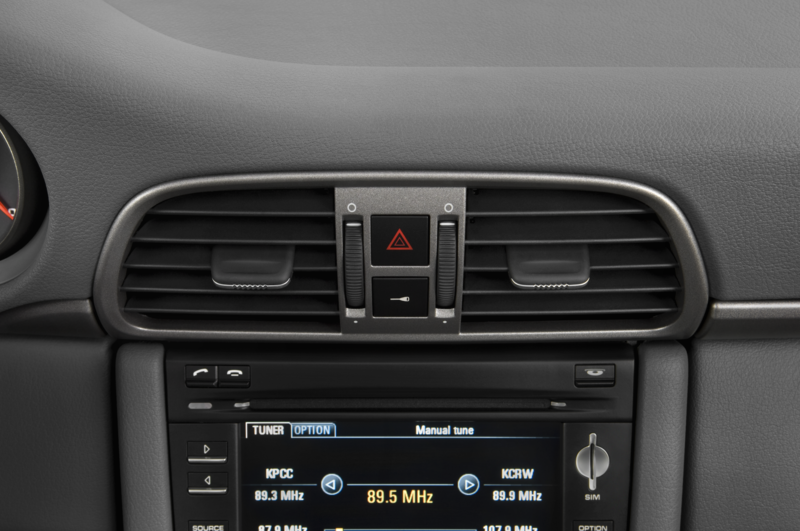 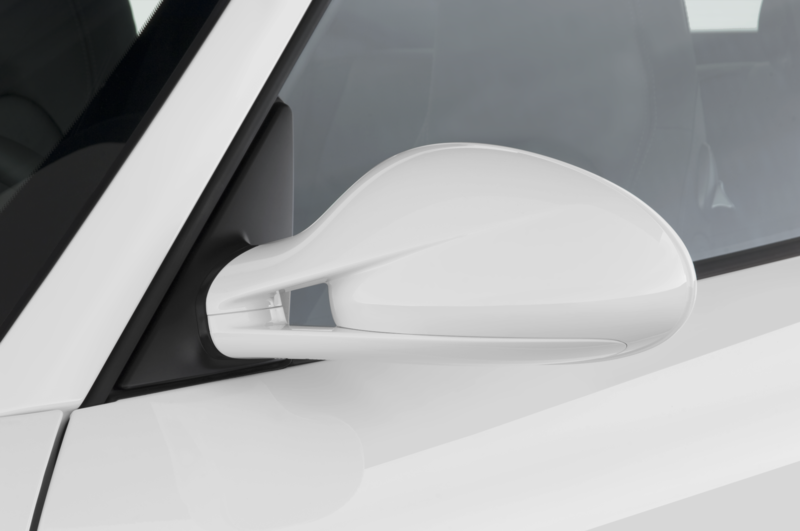 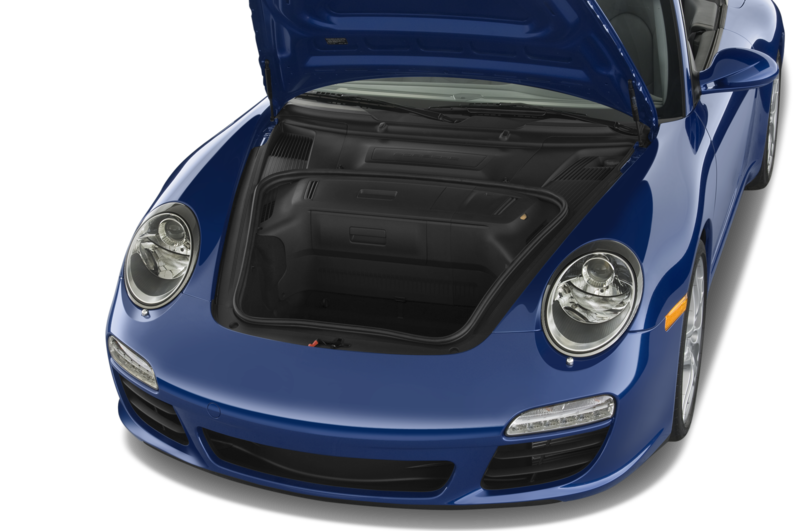 The windshield has been chopped by roughly two inches, while the minuscule rear seats are eliminated. 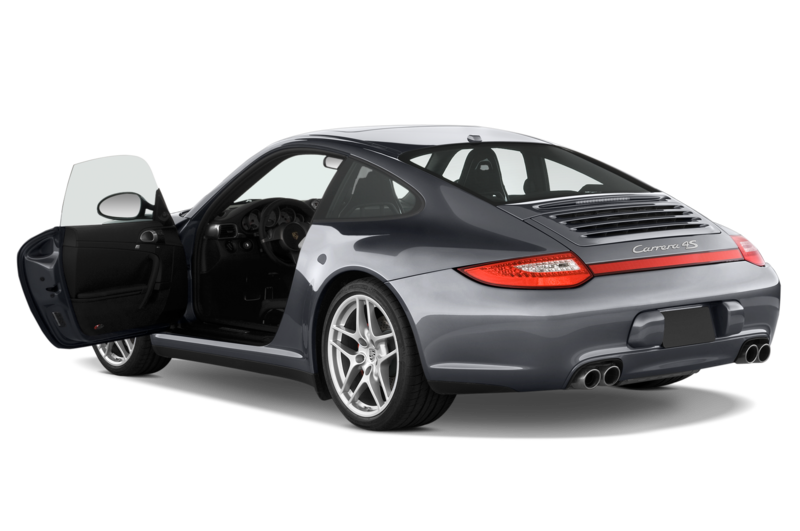 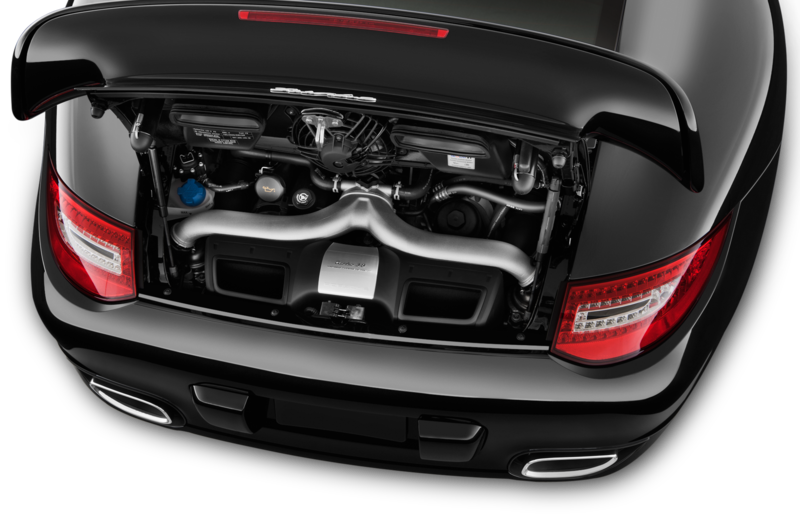 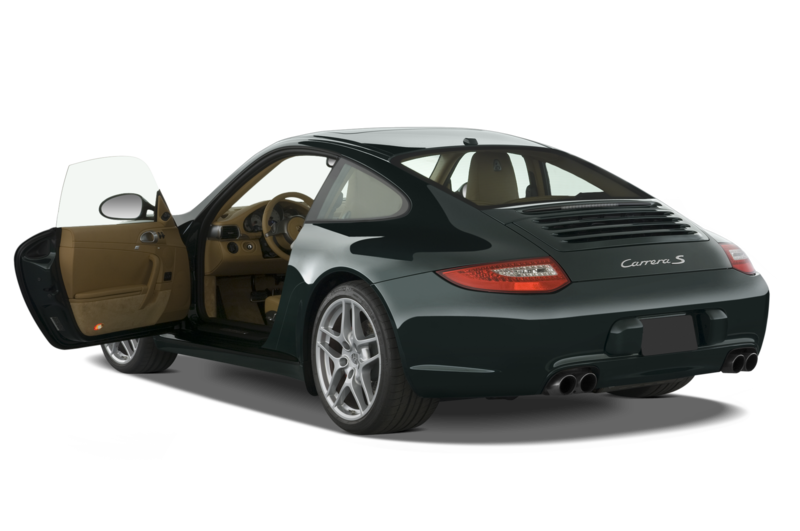 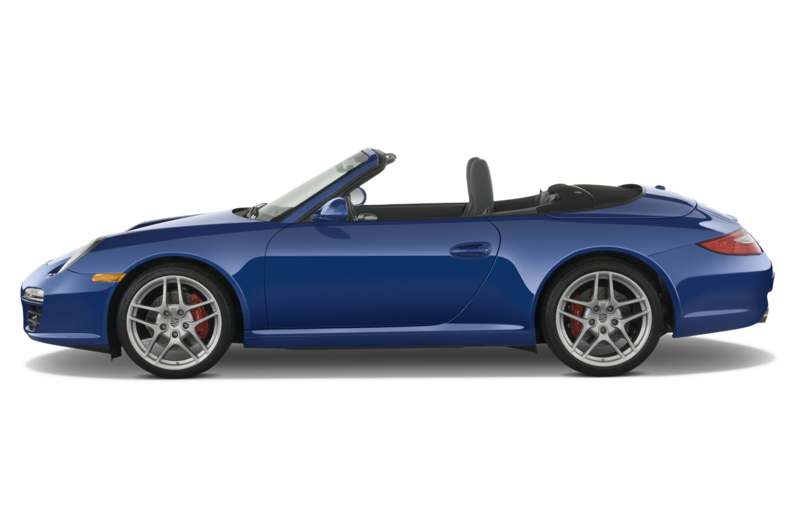 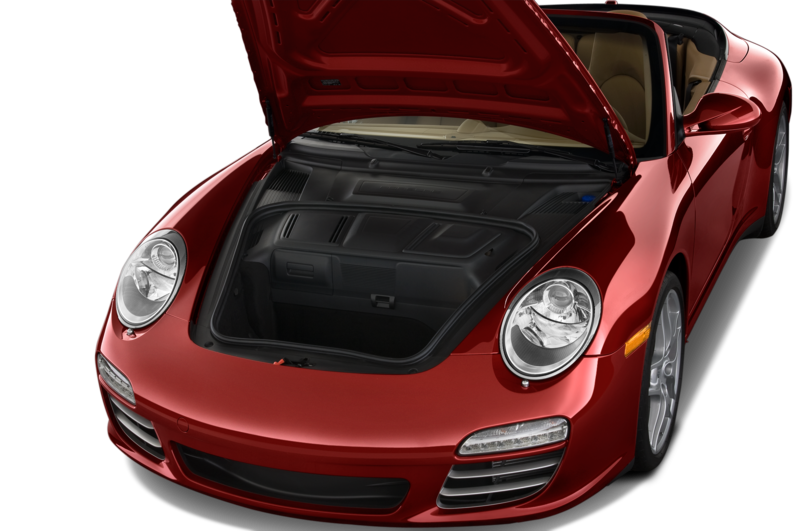 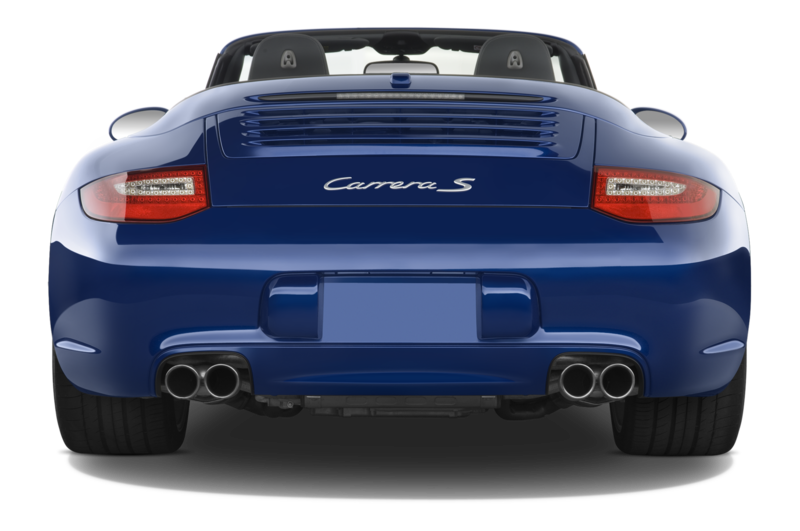 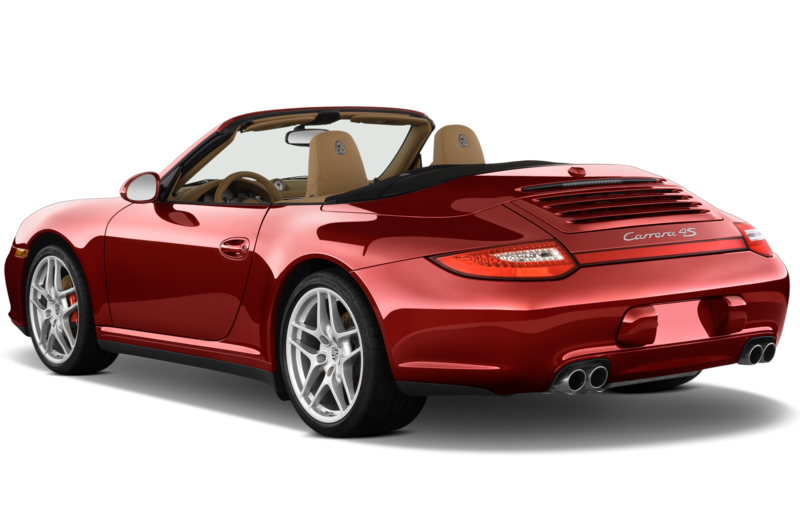 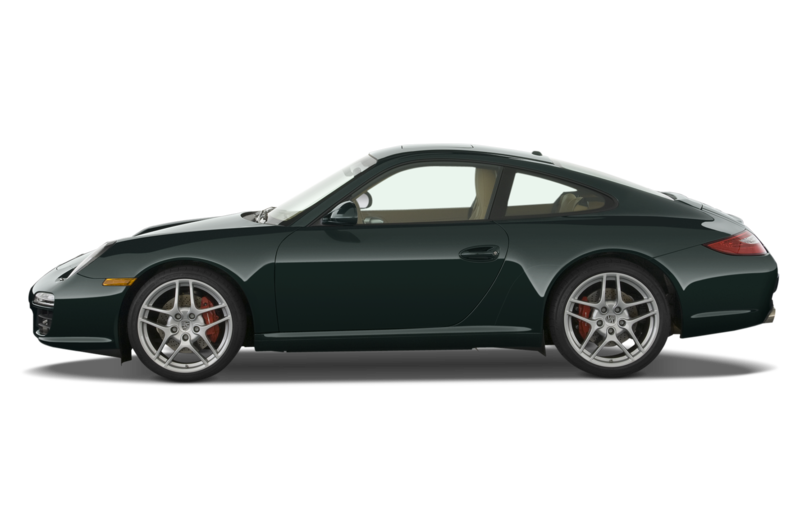 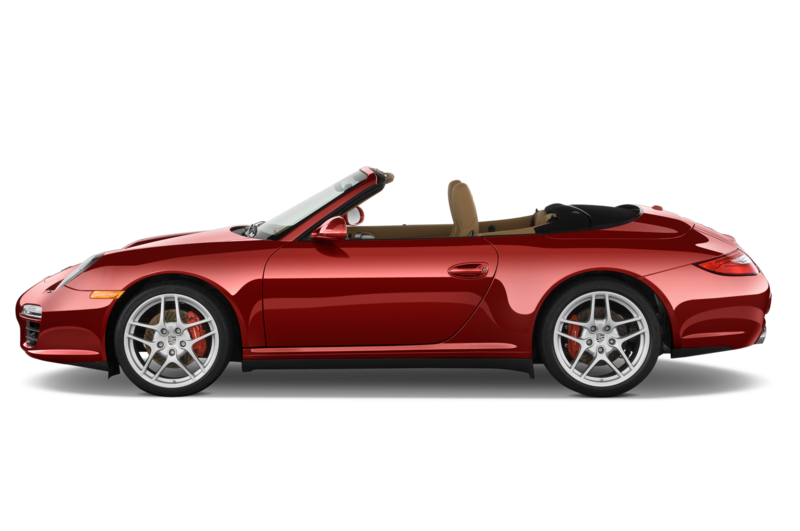 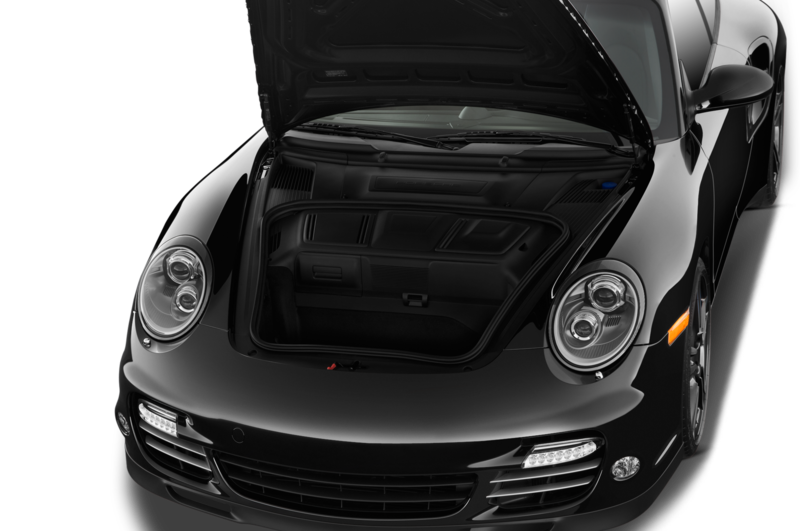 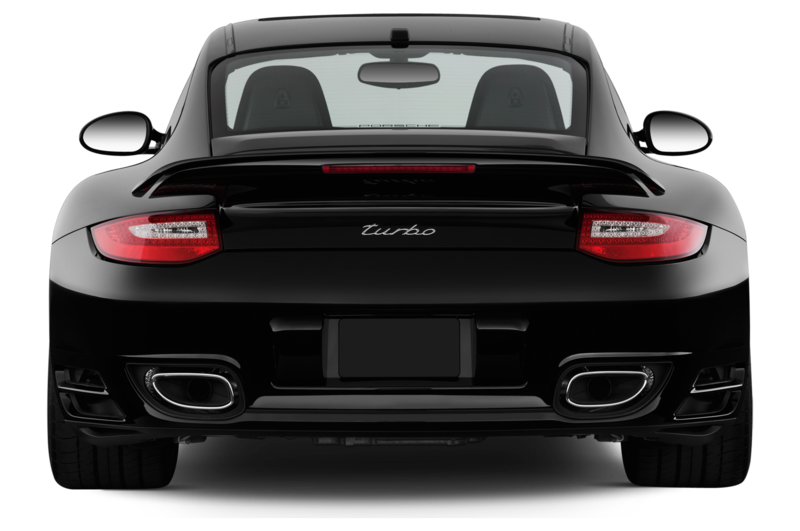 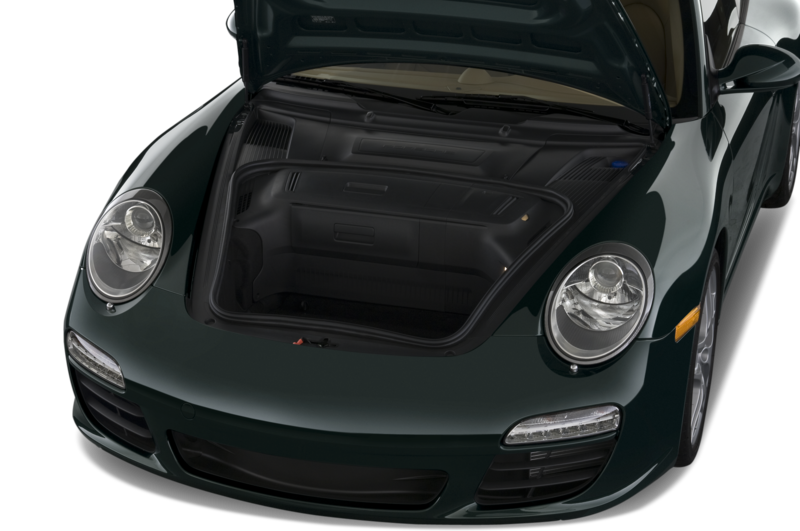 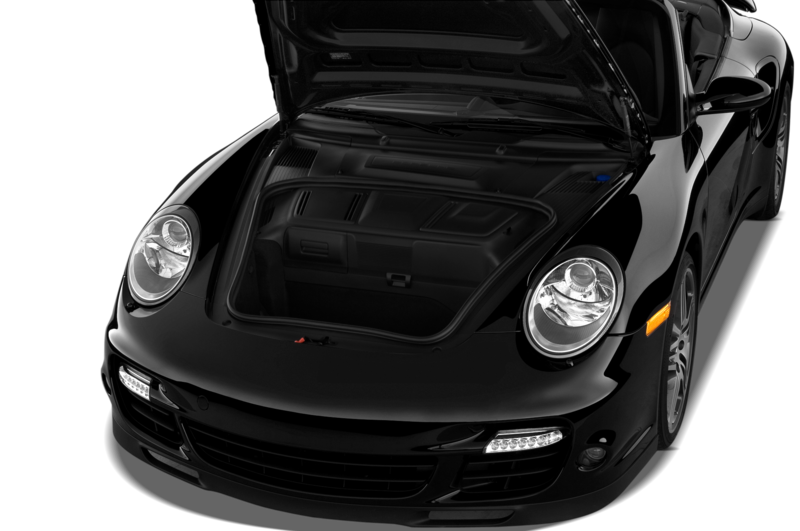 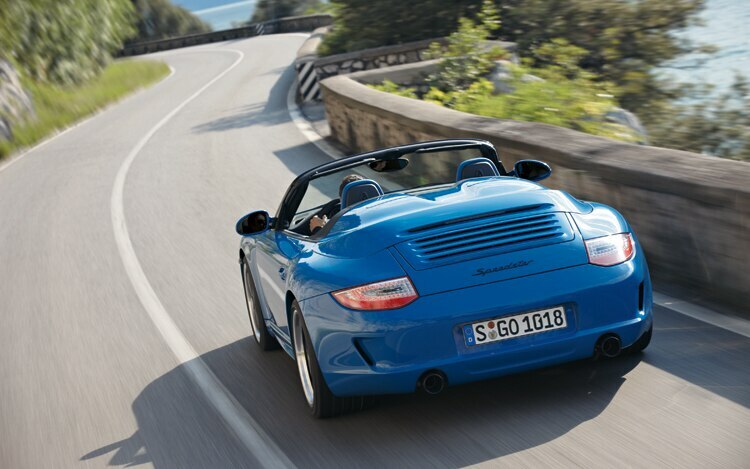 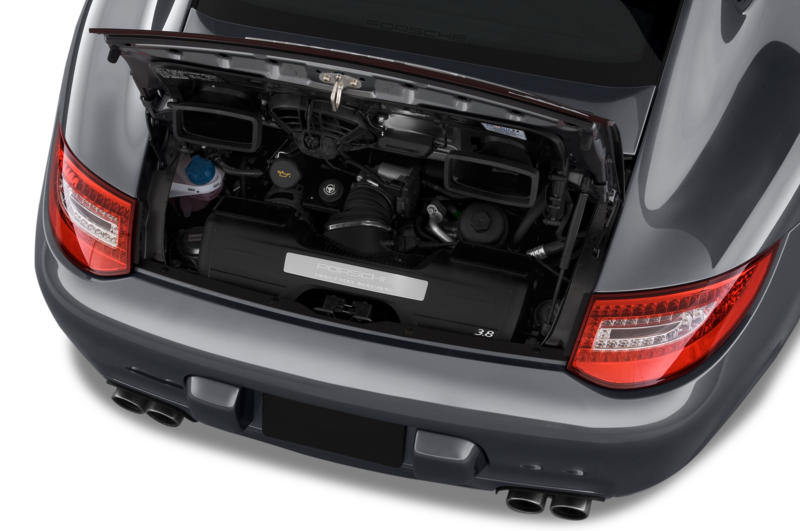 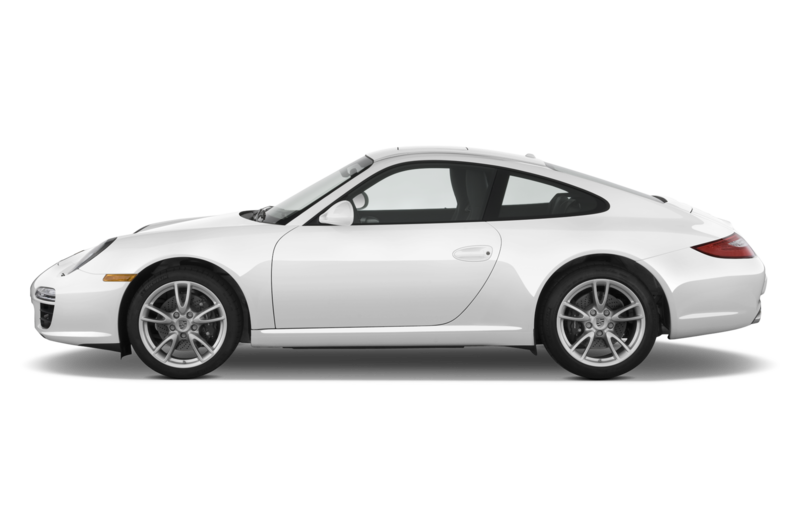 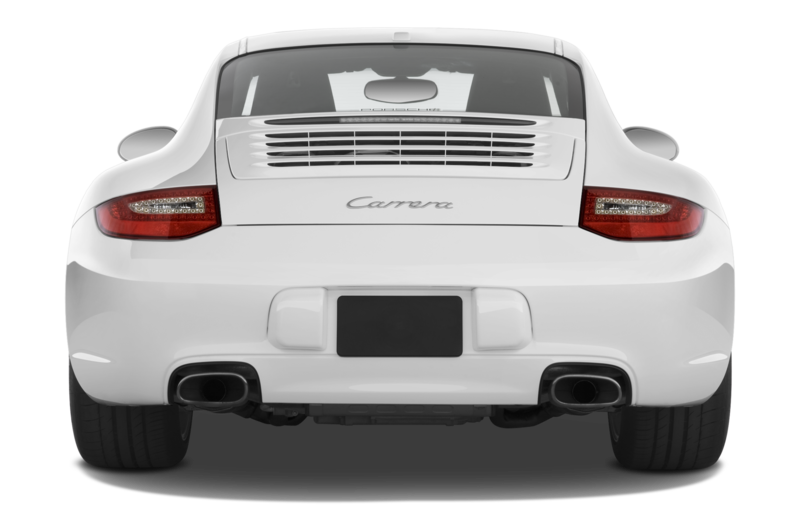 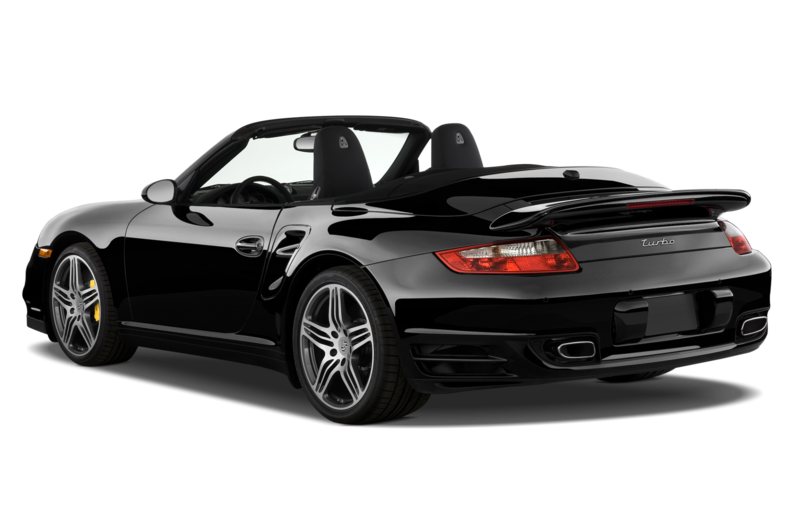 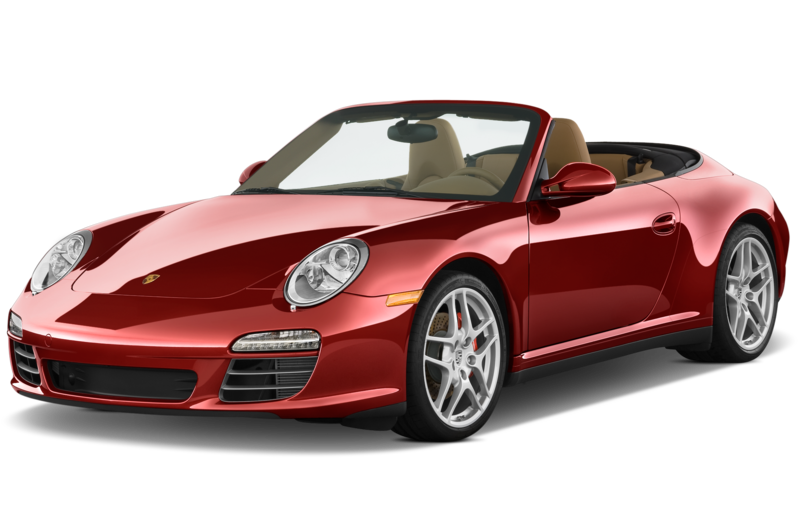 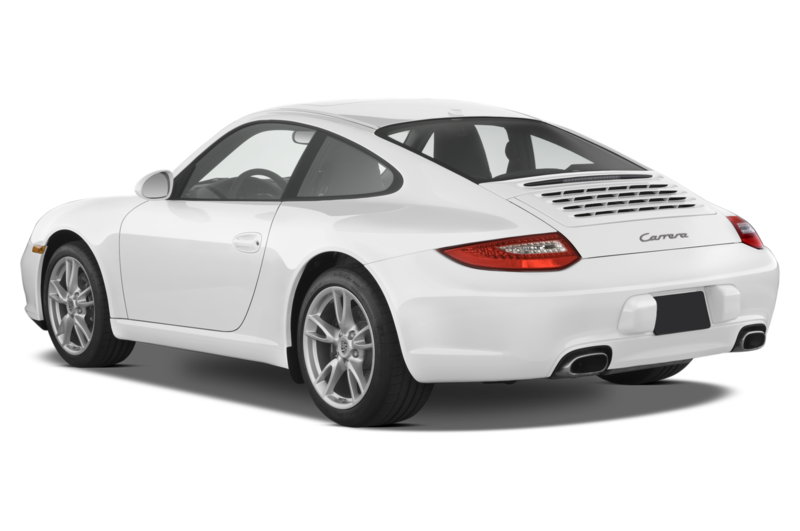 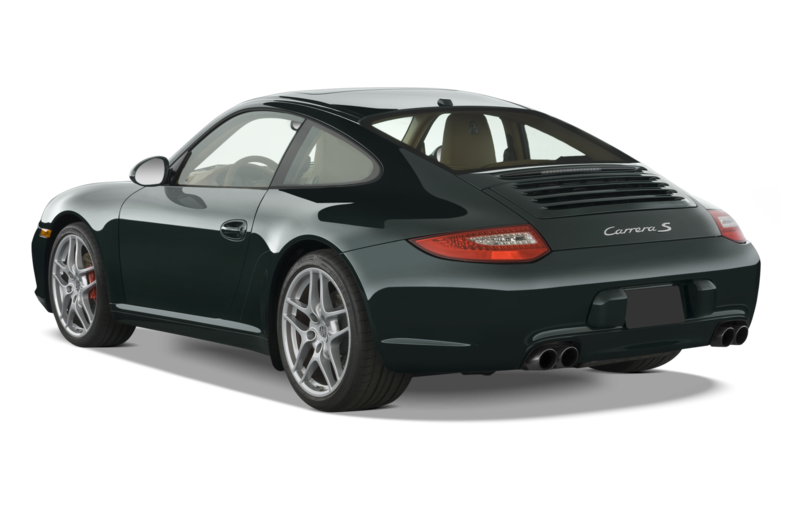 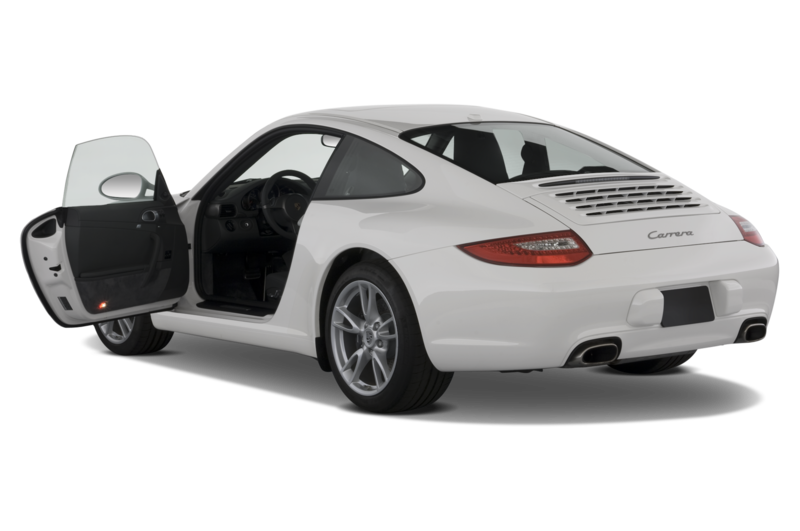 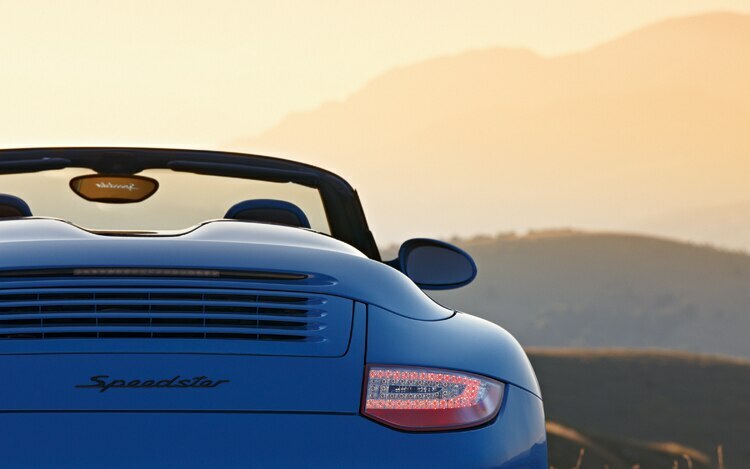 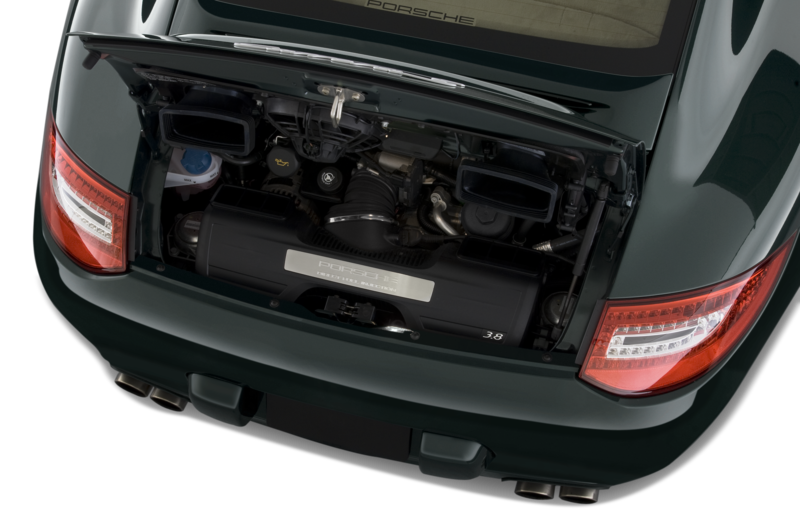 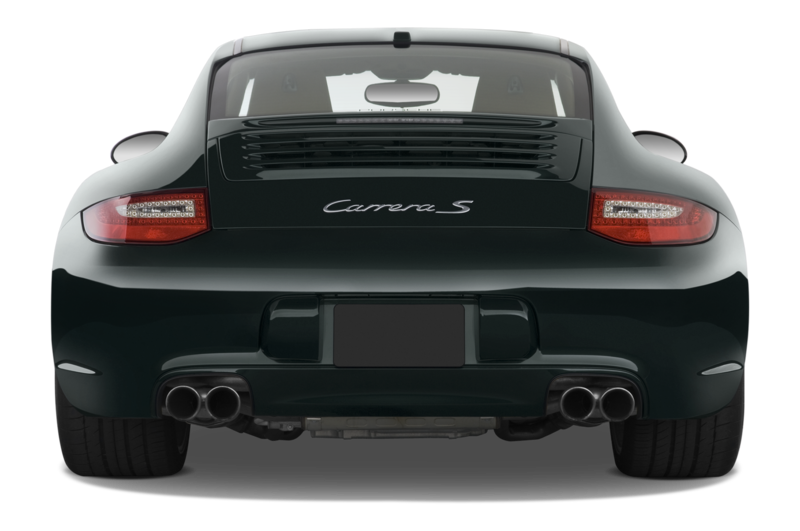 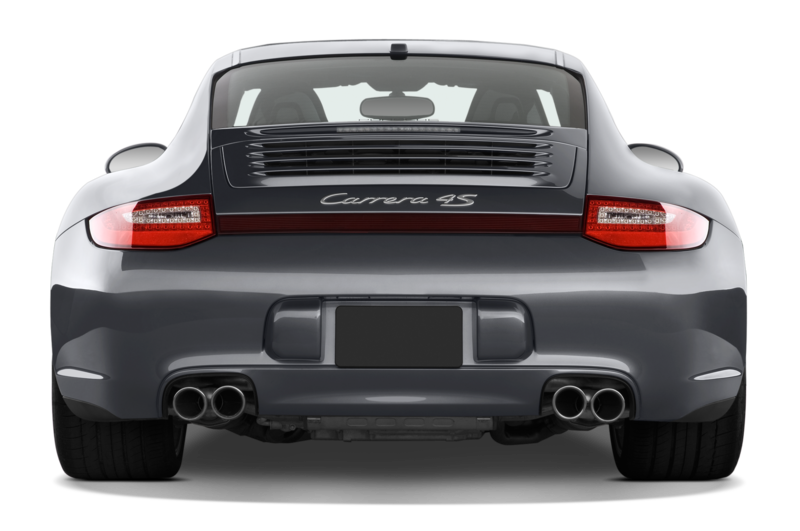 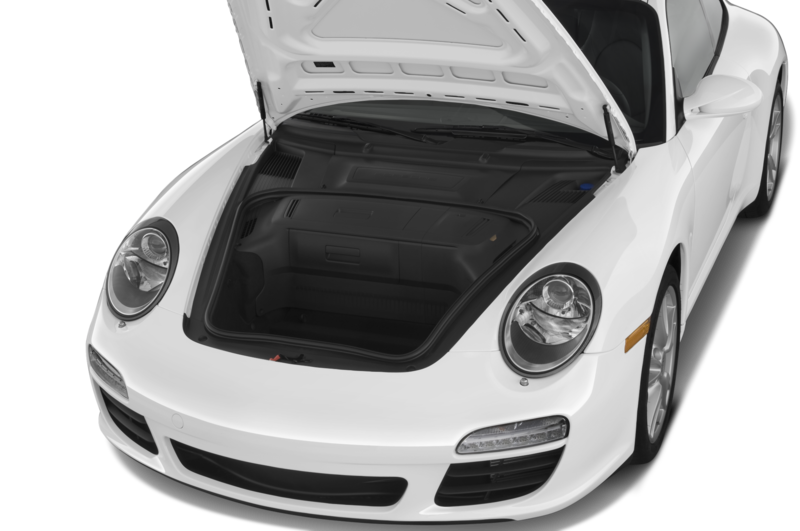 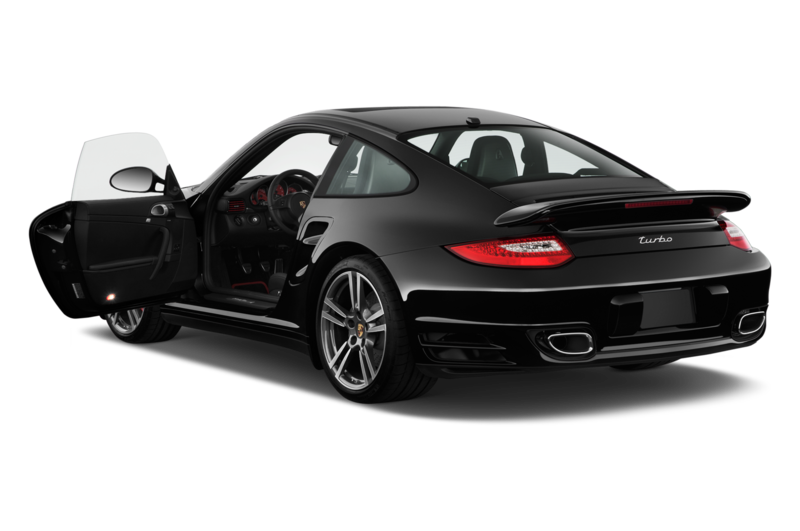 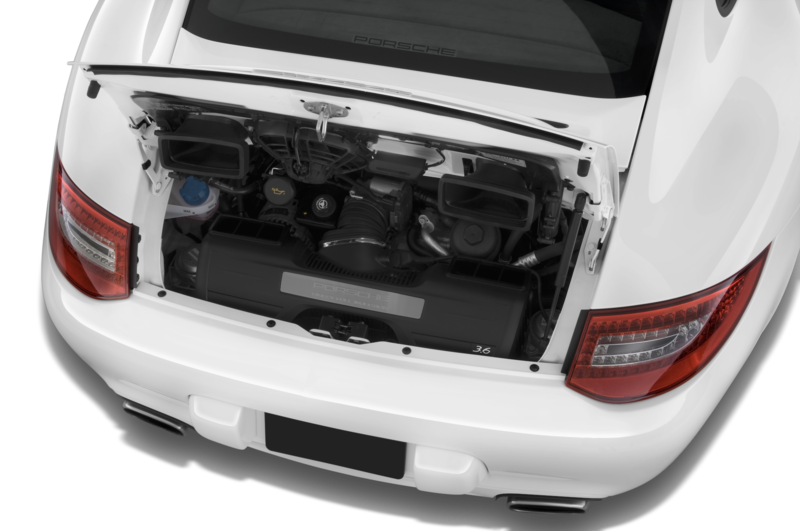 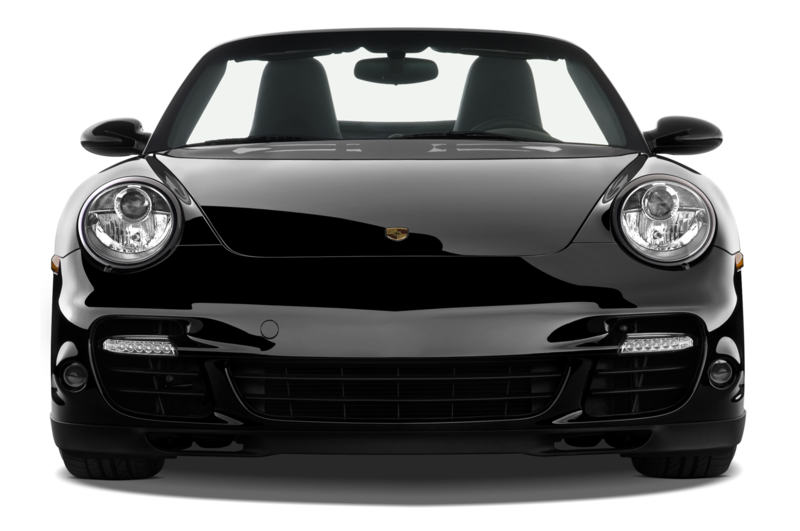 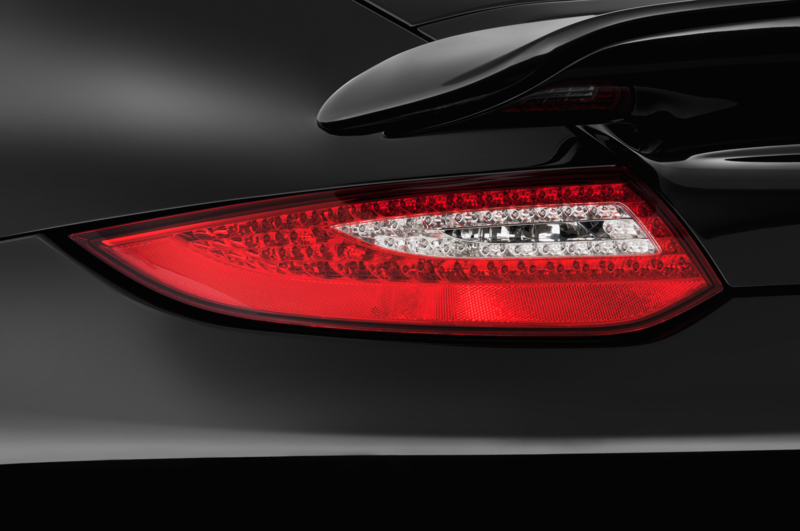 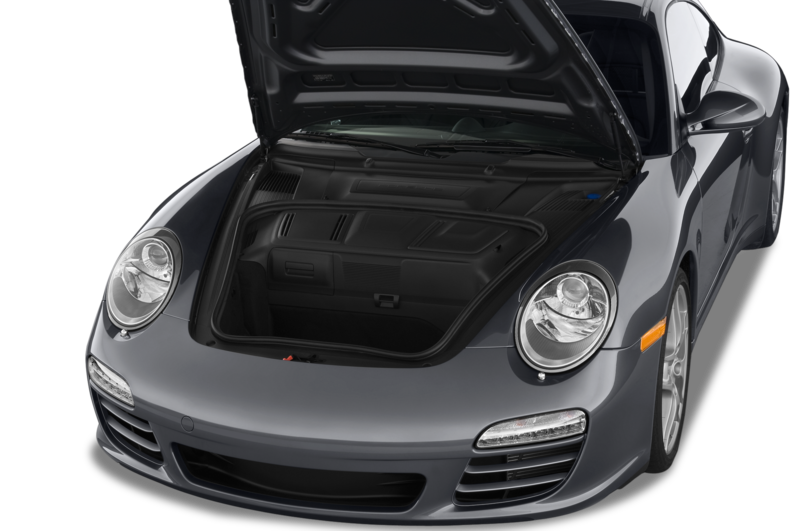 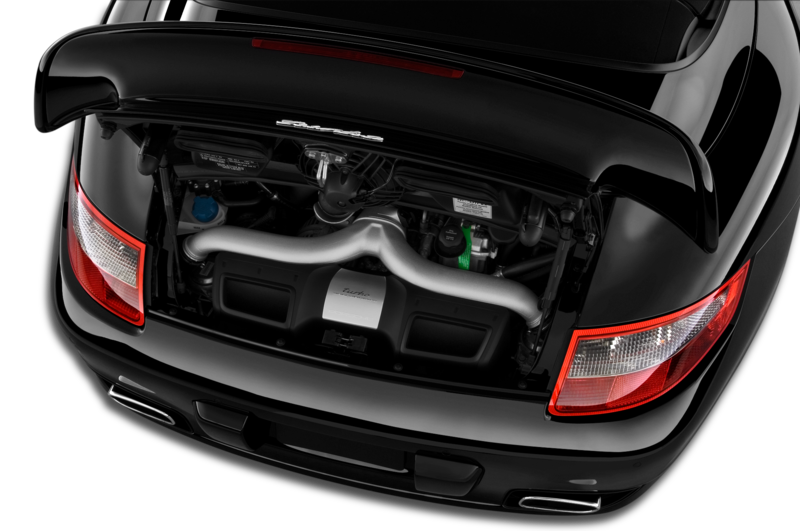 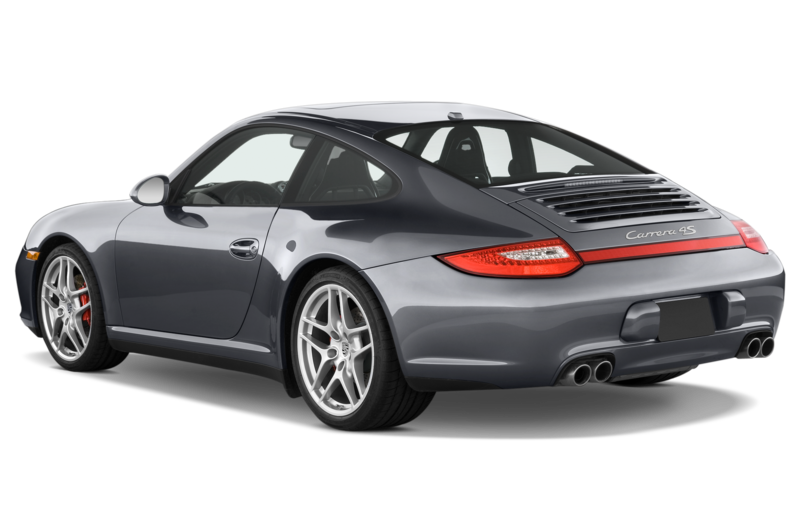 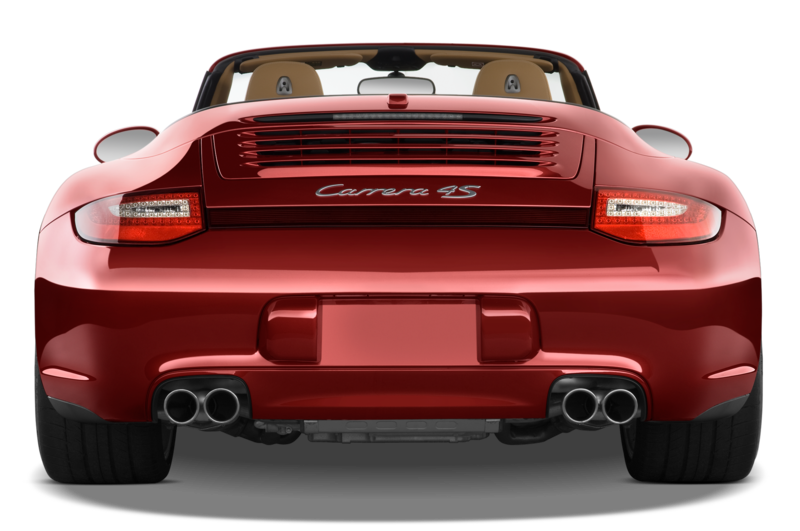 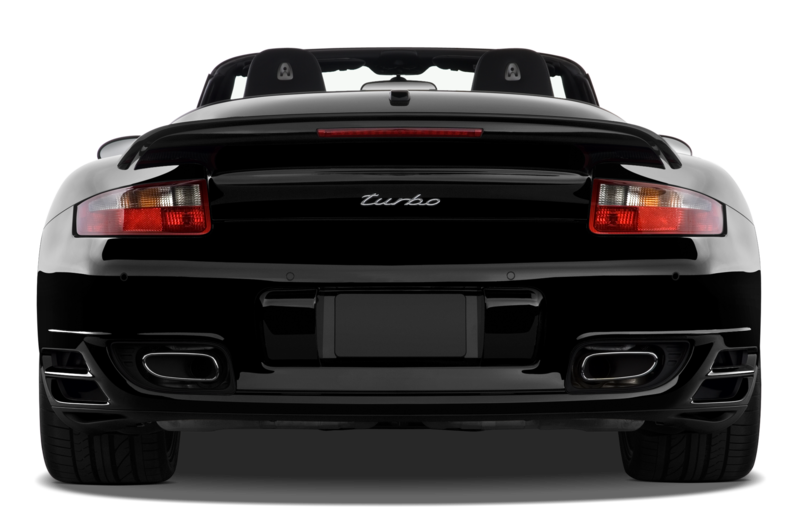 An extended double-bubble tonneau covers a mechanically folding top assembly, while the rear end is gifted with the flared fenders and wide track typically found on the all-wheel-drive Carrera 4 range. 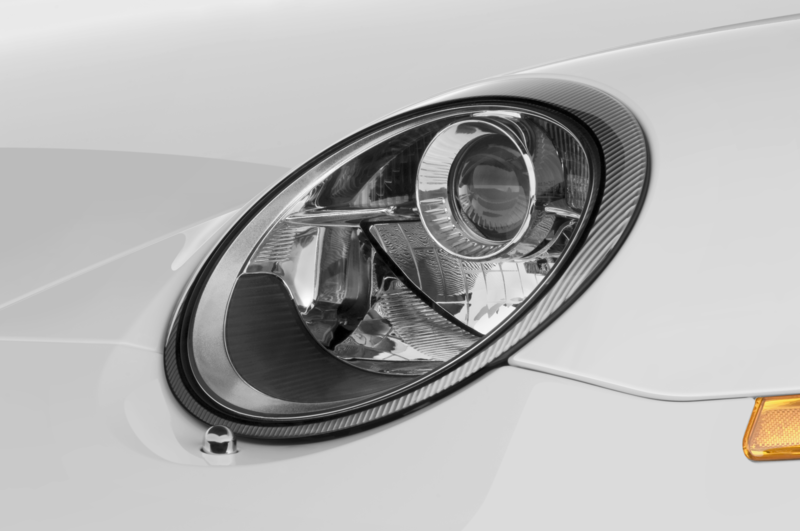 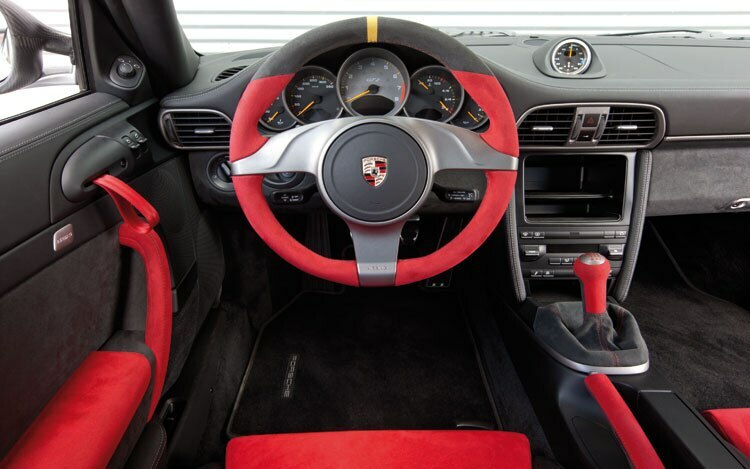 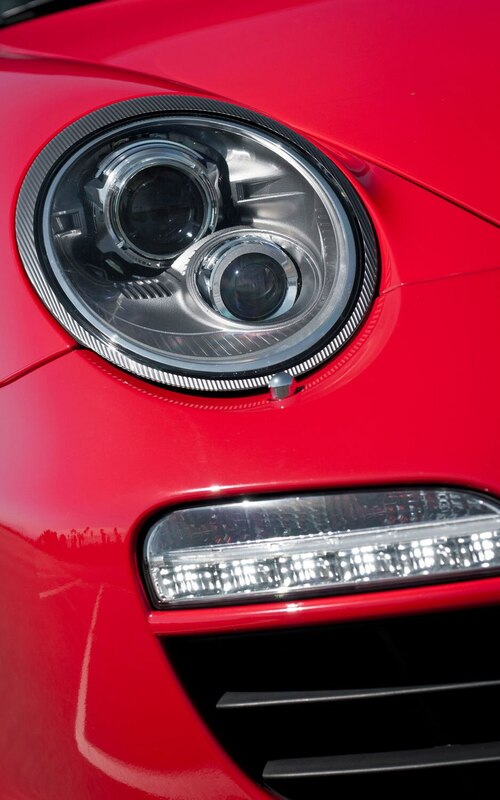 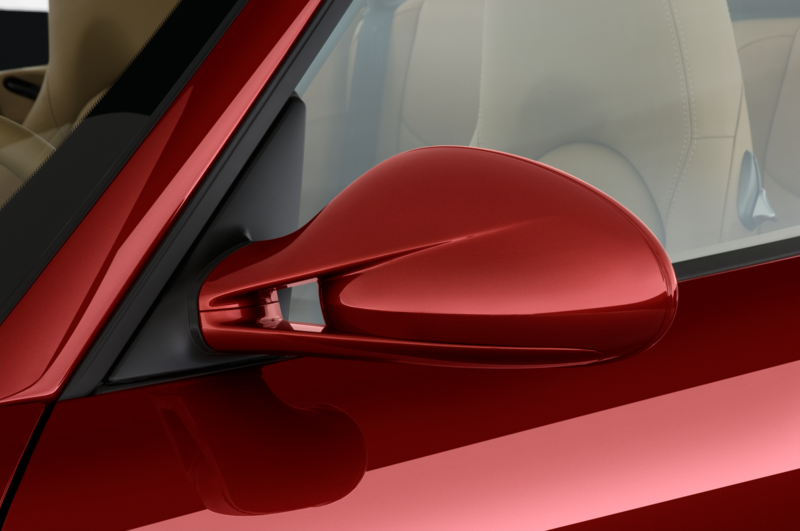 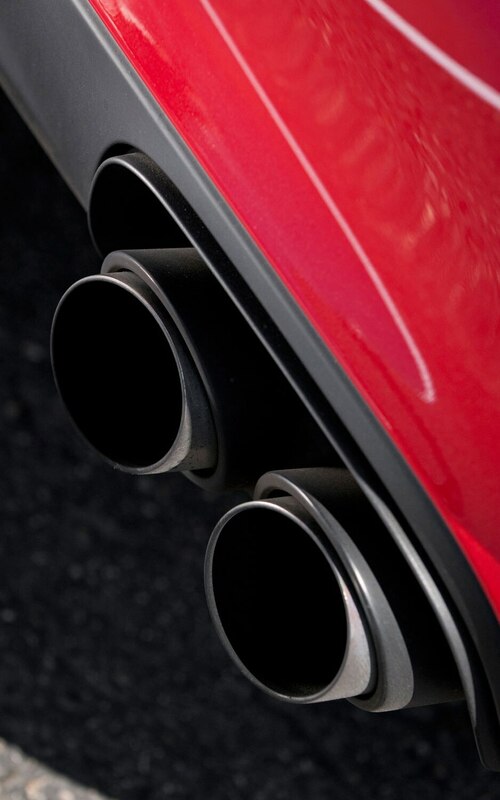 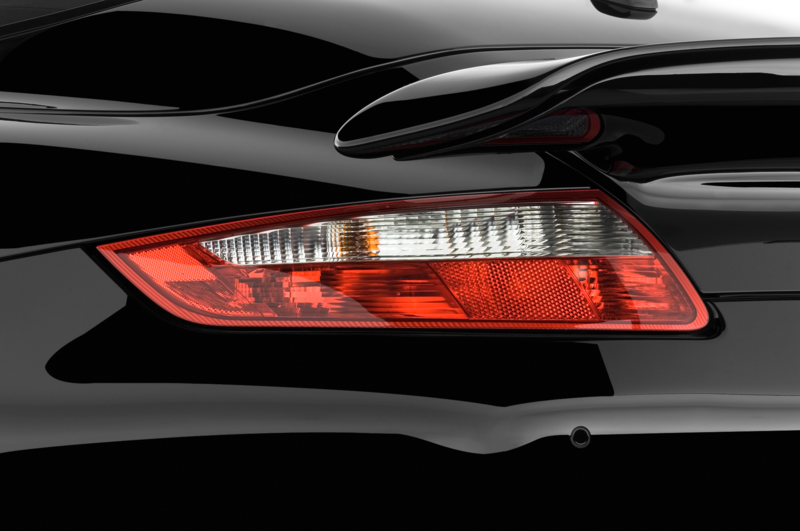 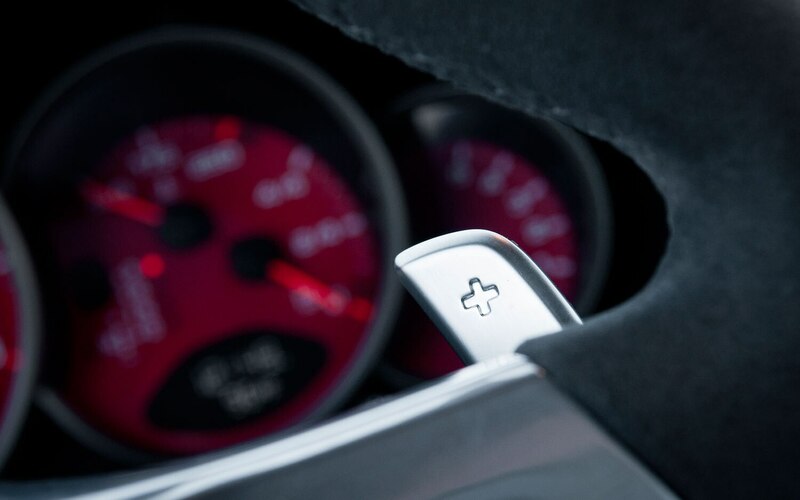 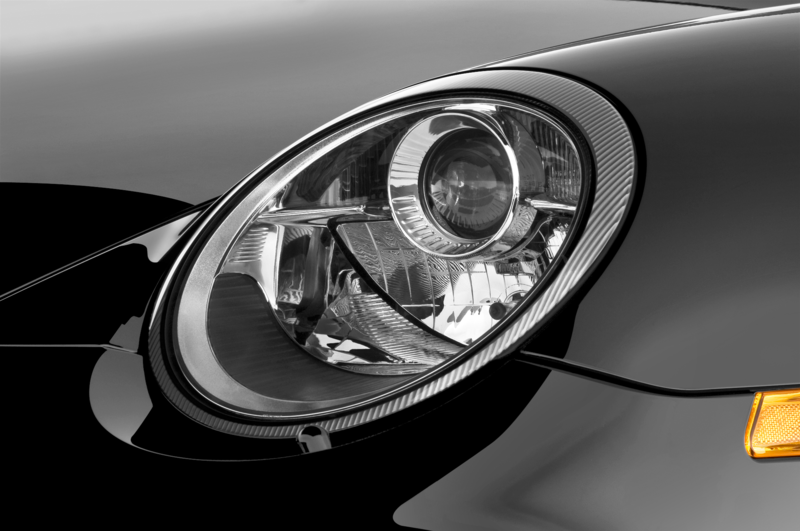 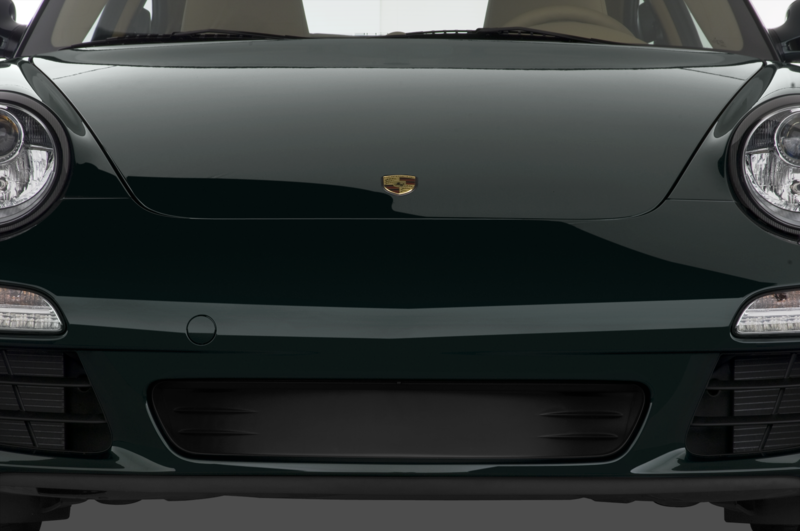 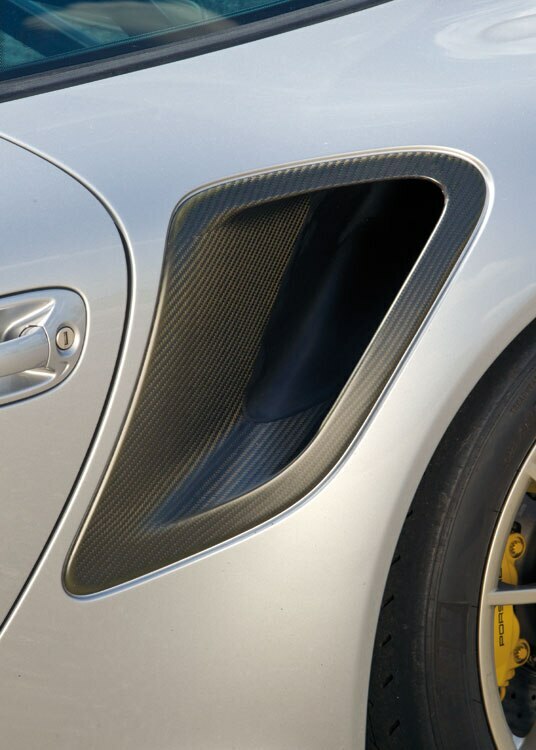 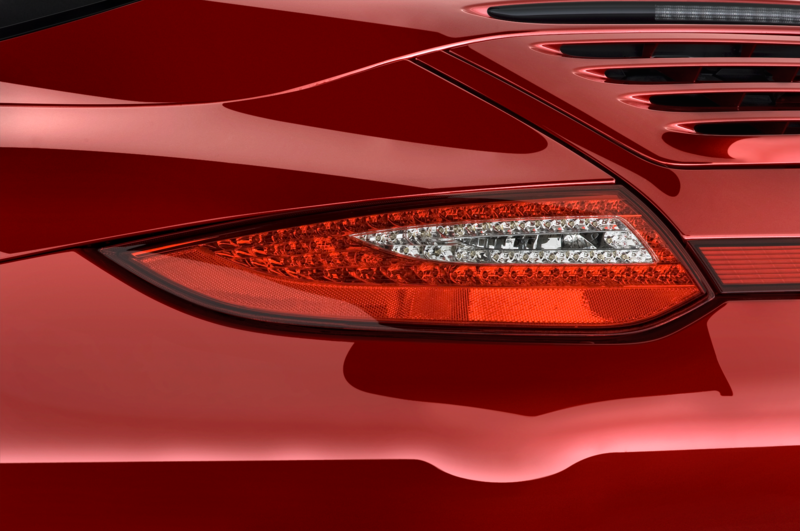 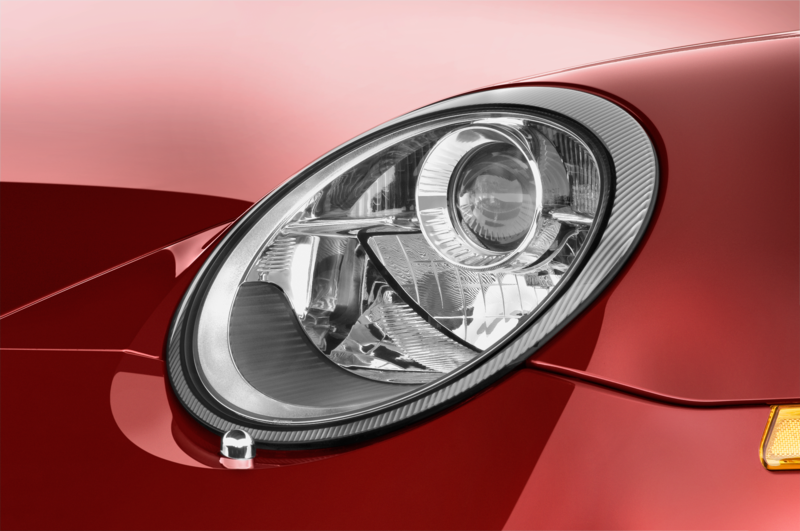 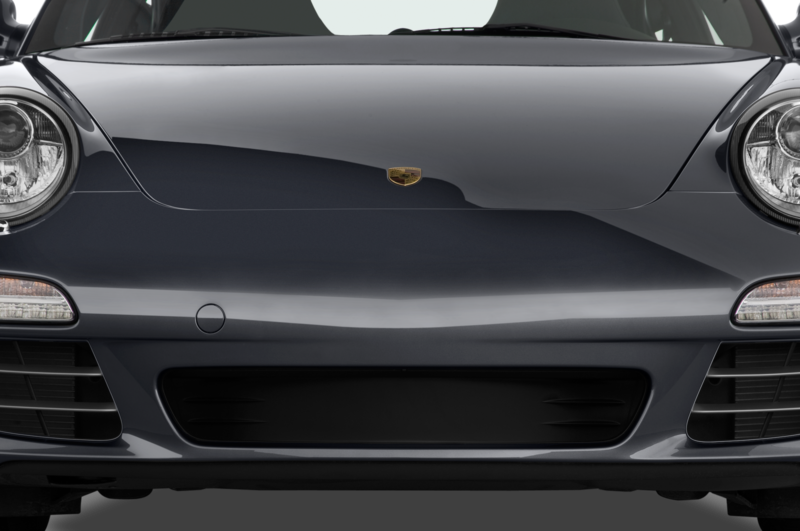 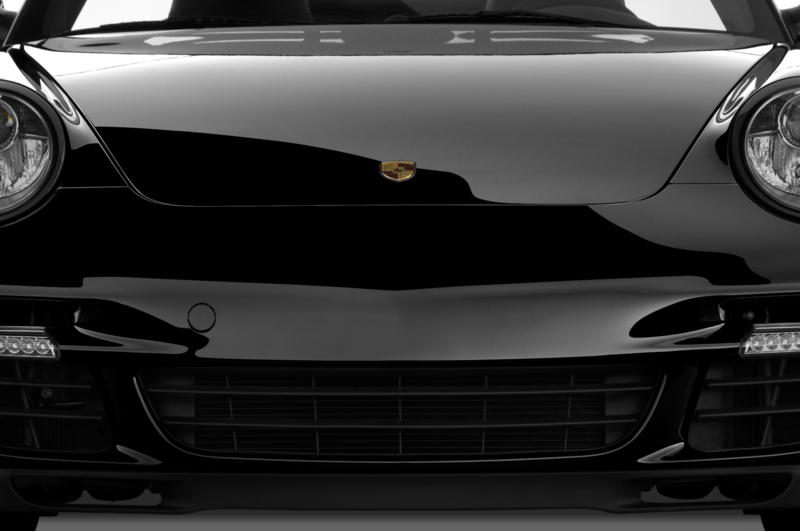 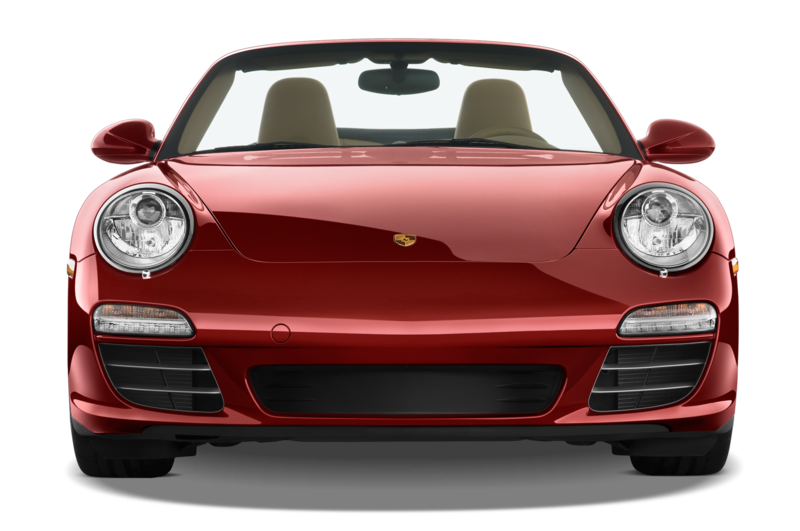 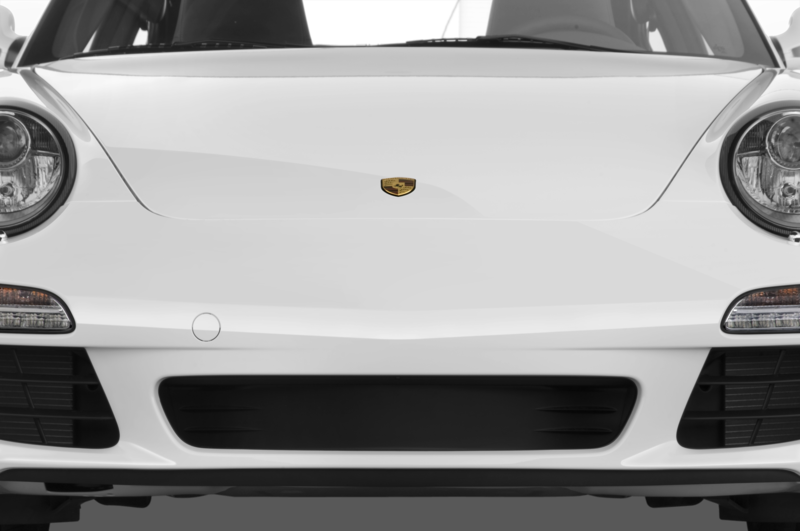 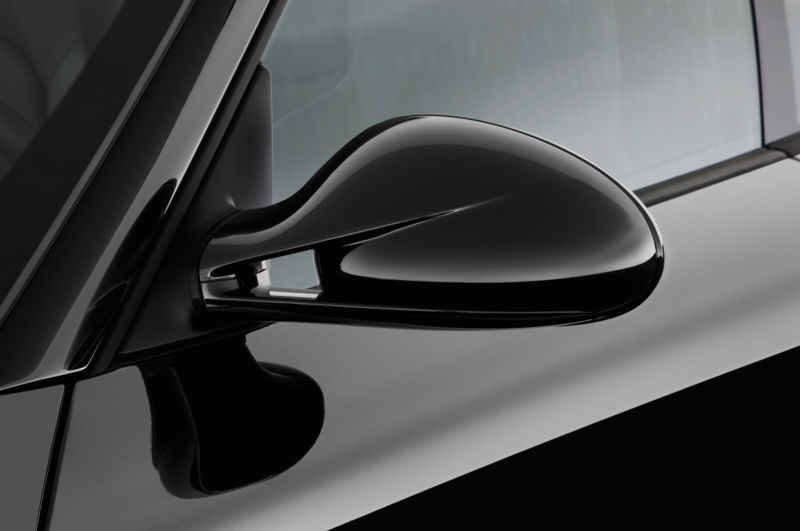 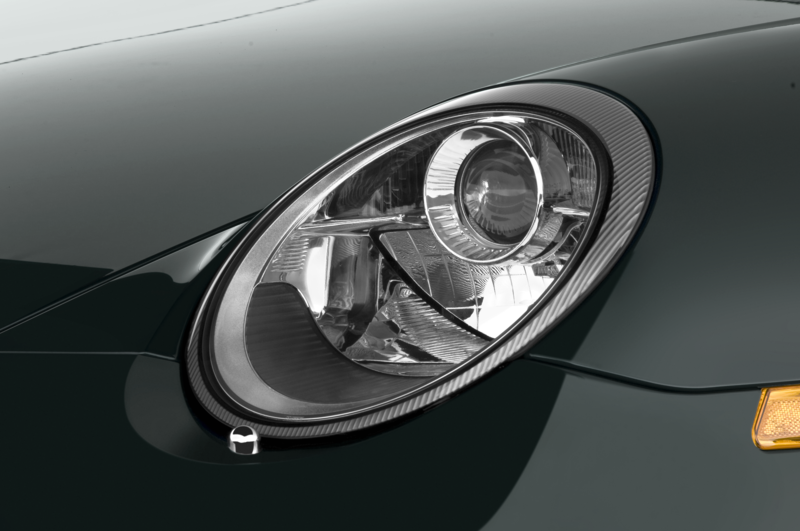 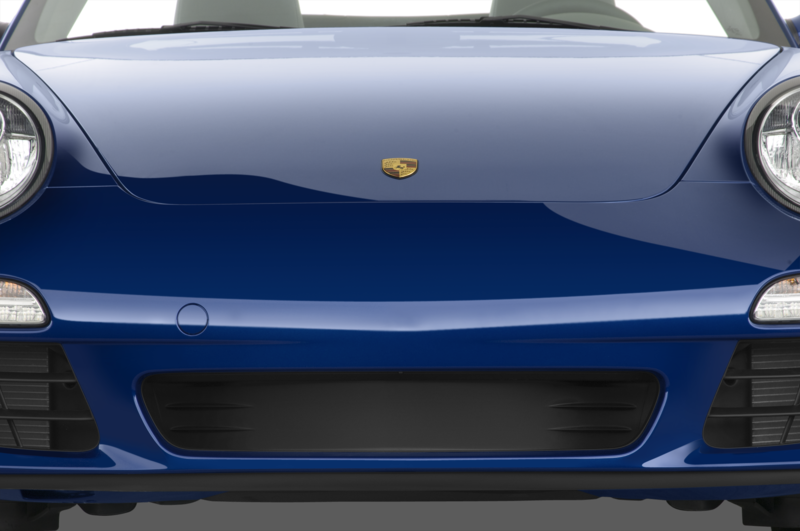 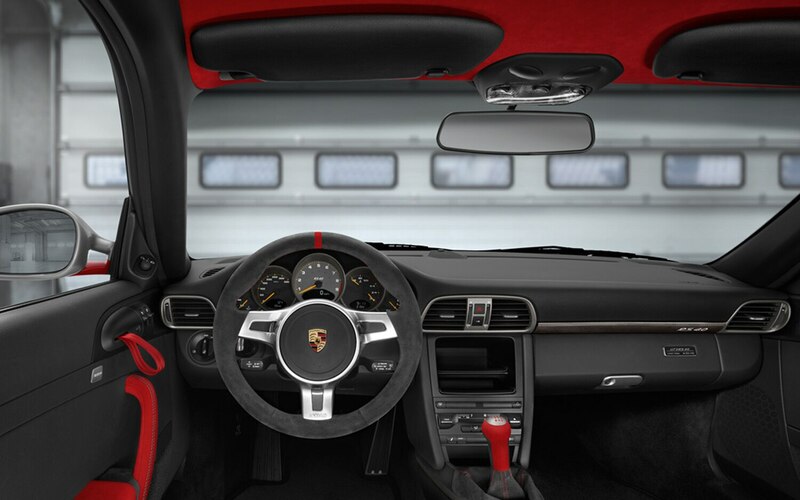 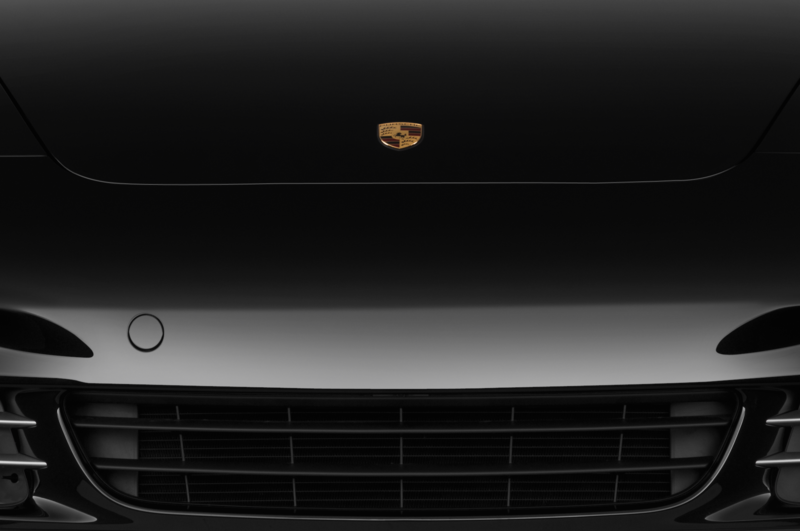 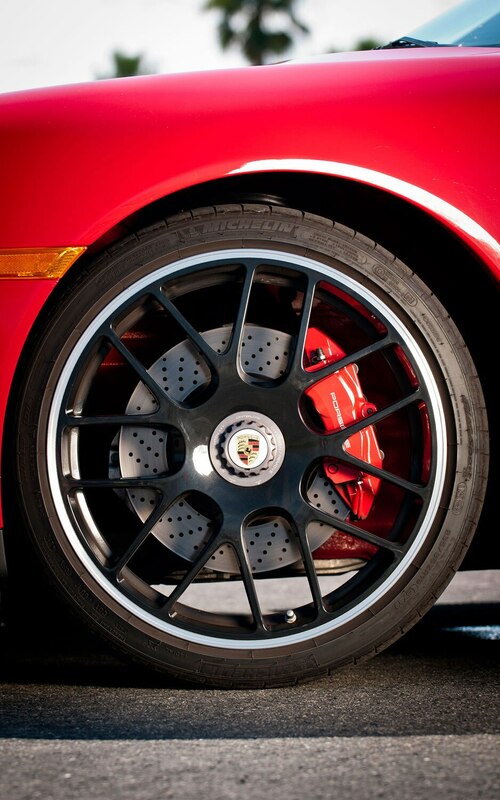 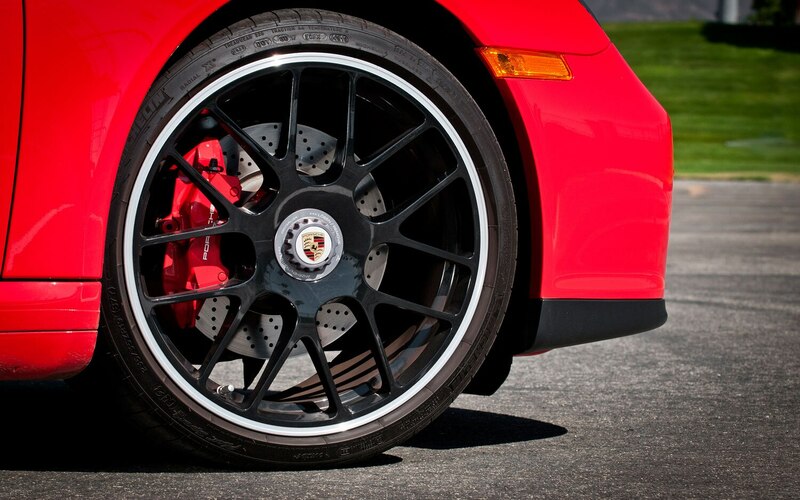 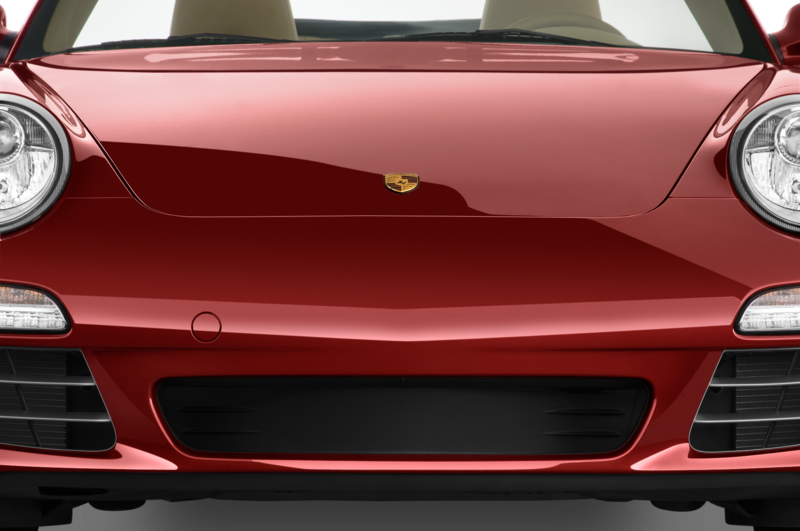 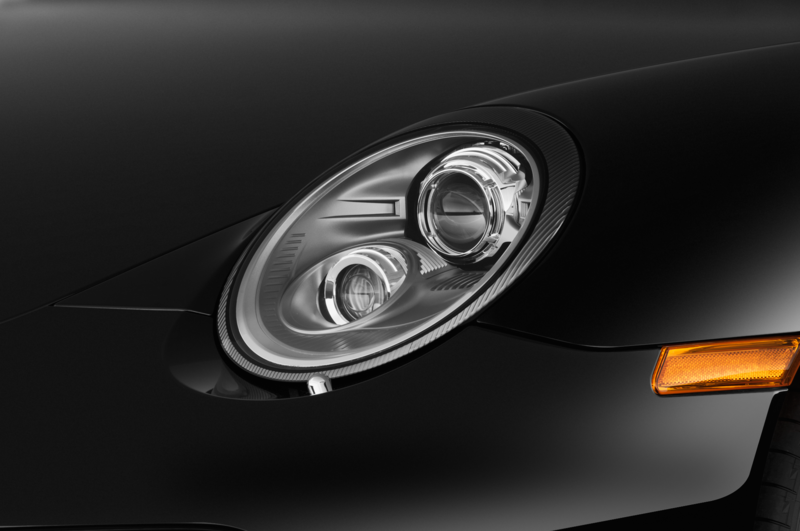 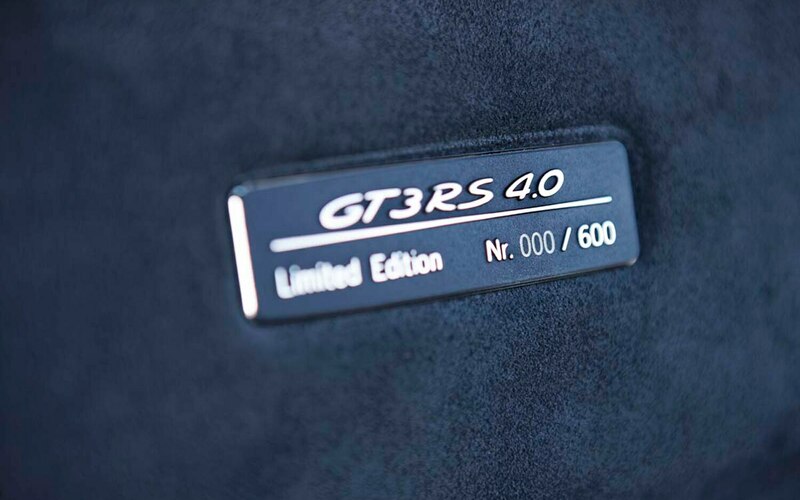 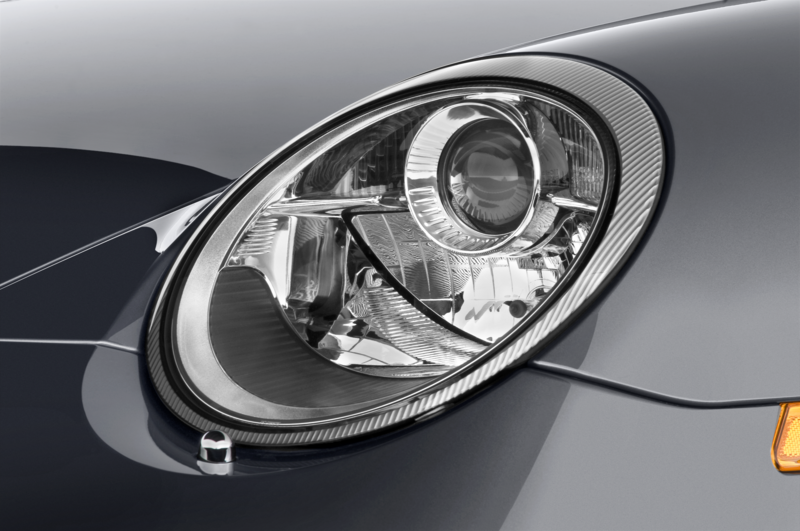 All 911 Speedsters also receive unique front spoilers, side sills, and rear valances, along with black headlamp surrounds, A-pillar and windshield header trim, and rear wheel spats — a cue cribbed from the original 1989 Speedster. 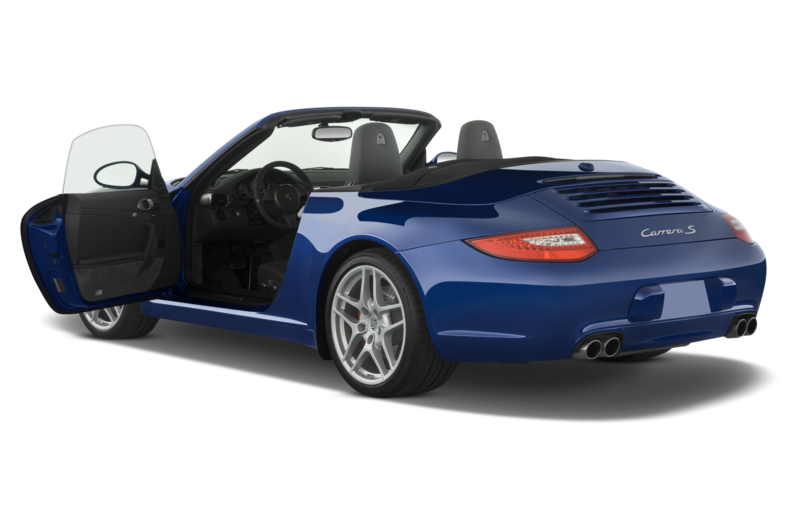 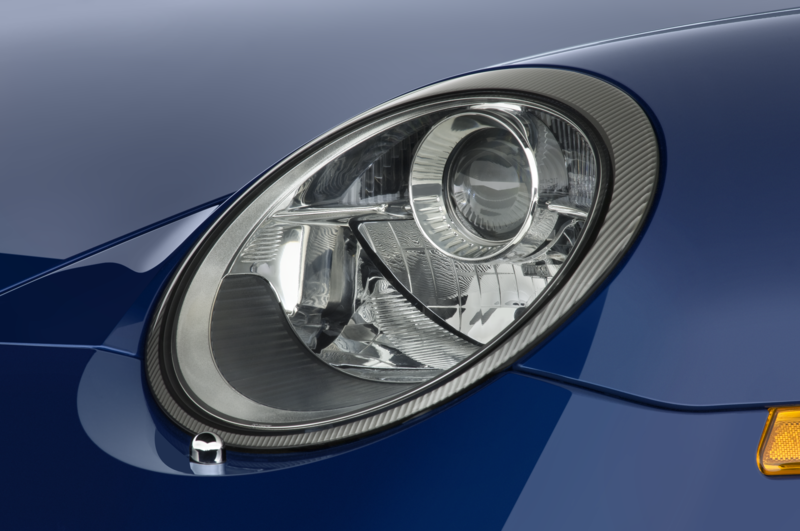 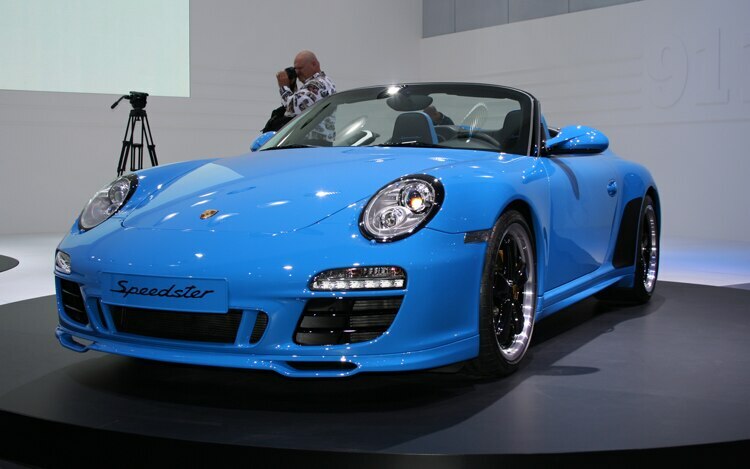 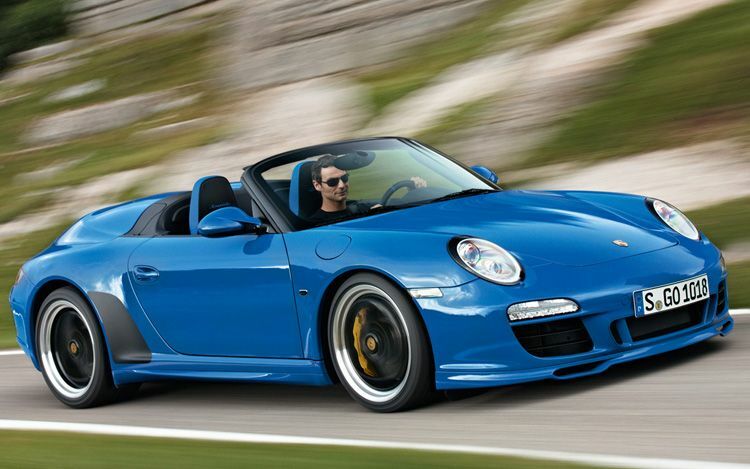 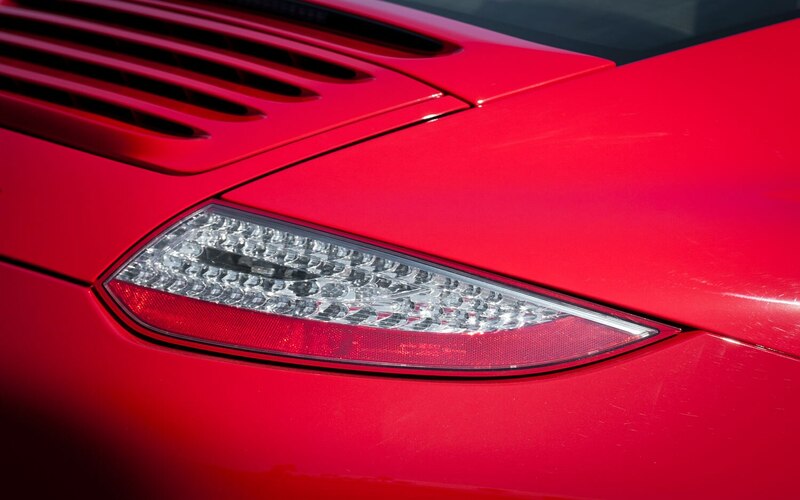 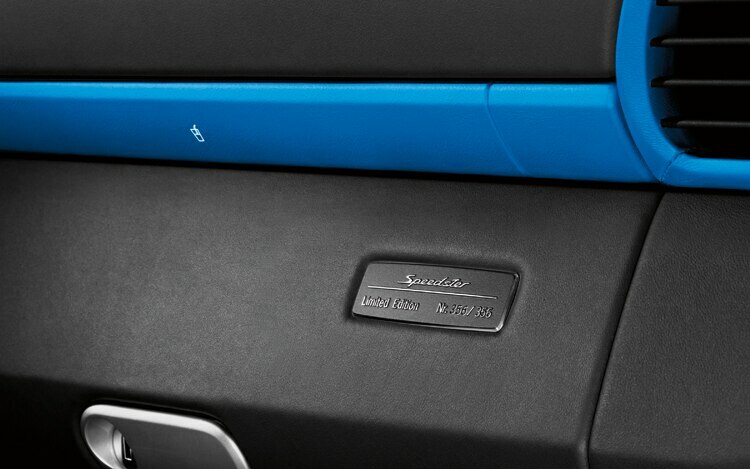 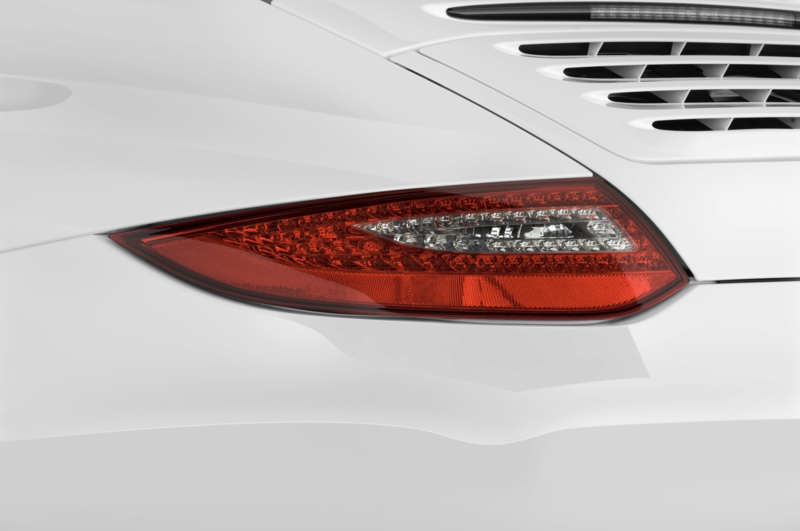 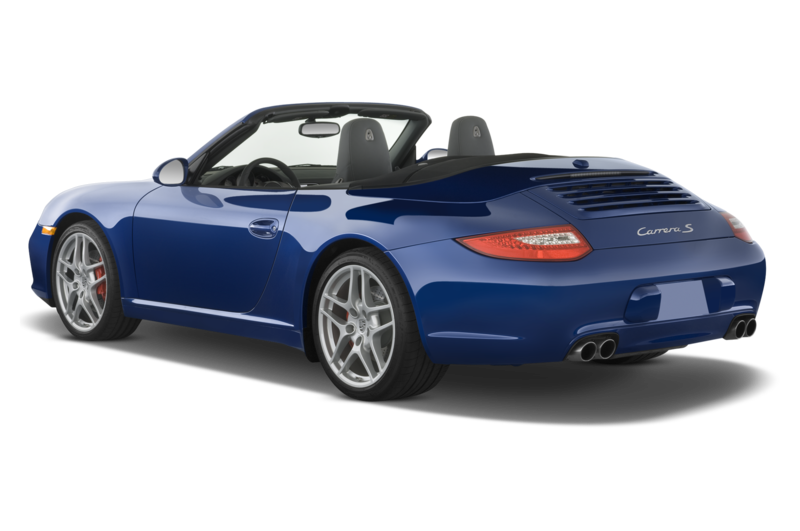 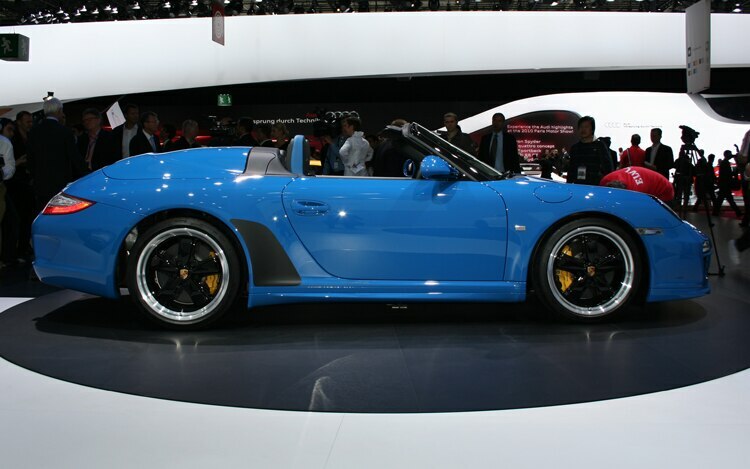 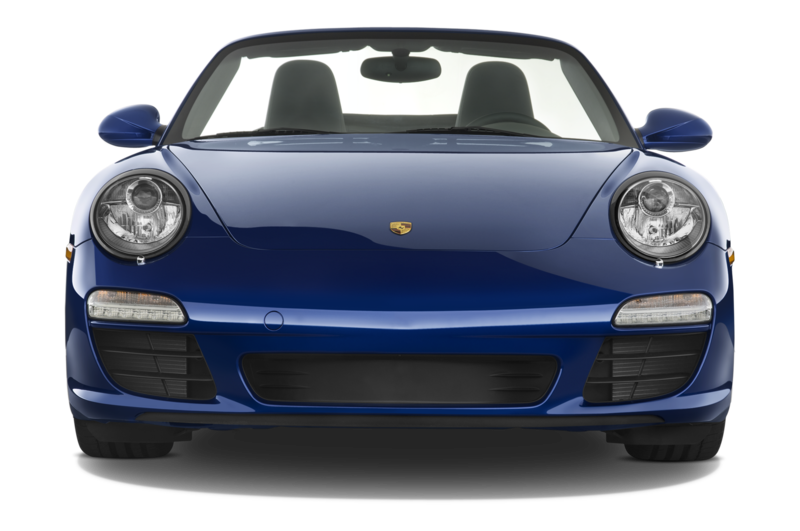 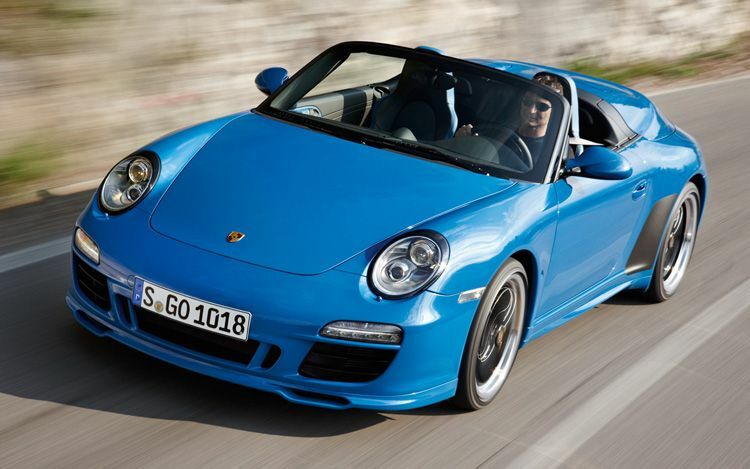 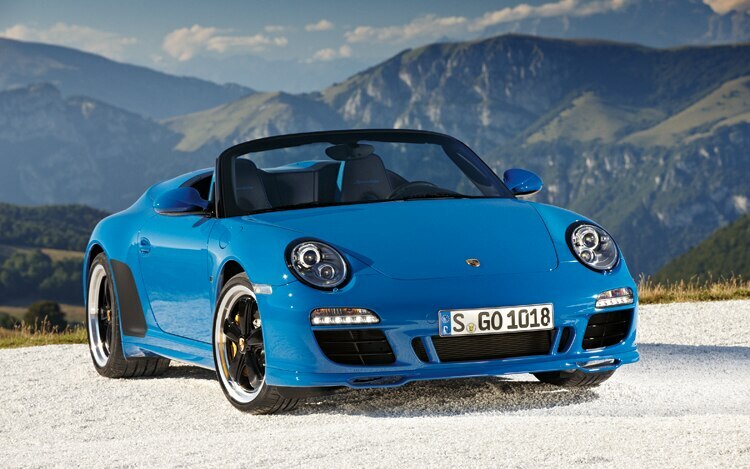 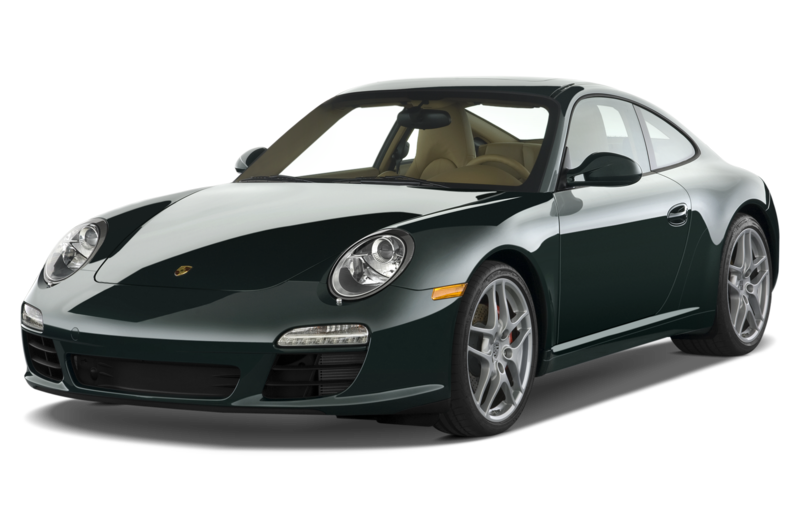 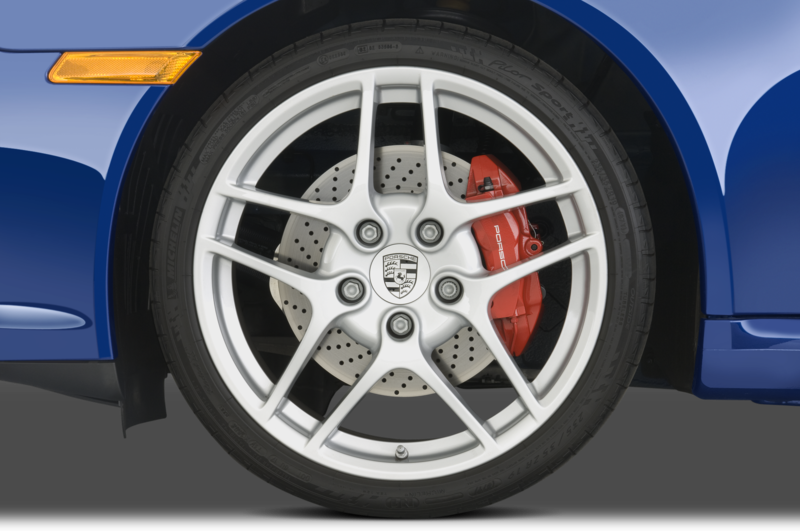 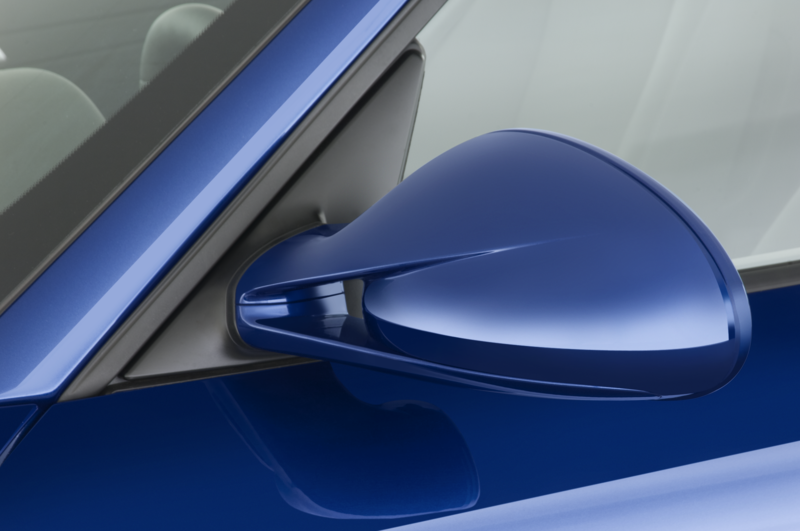 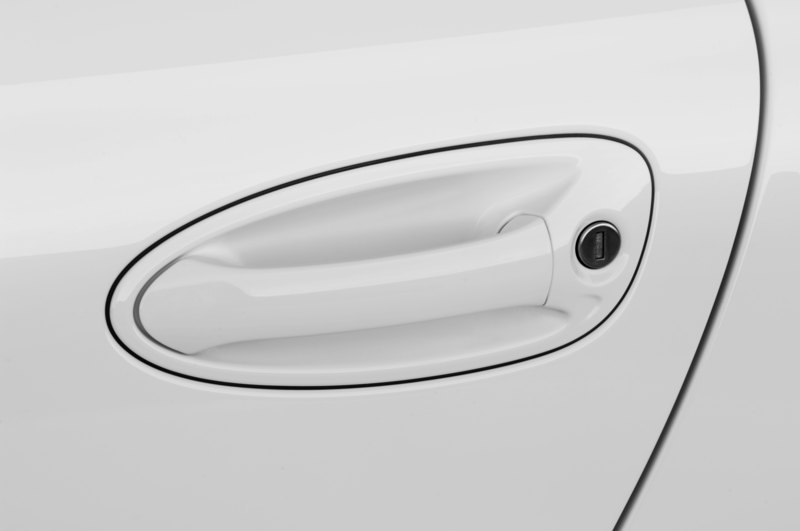 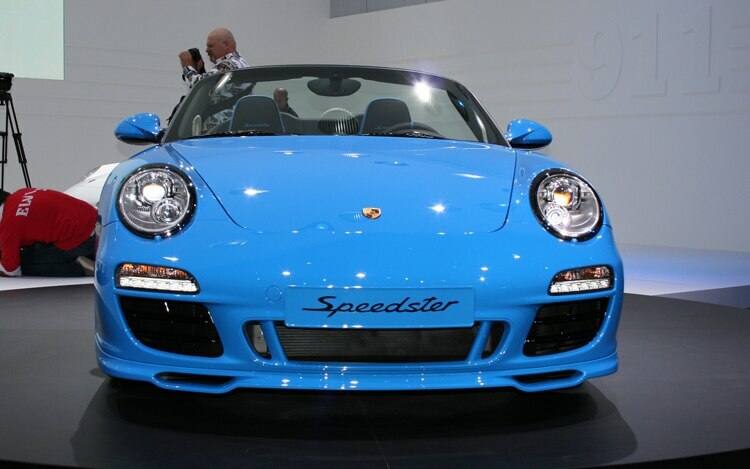 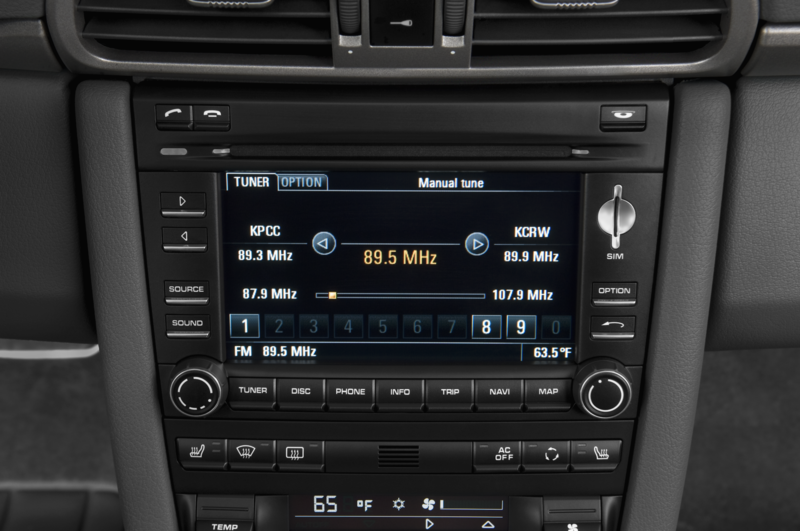 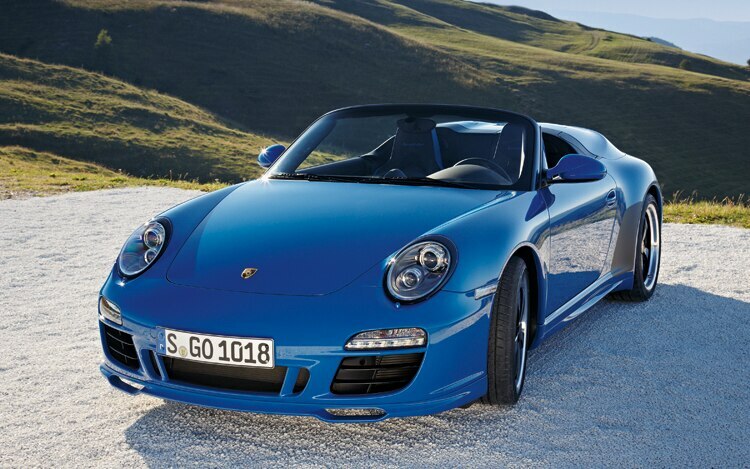 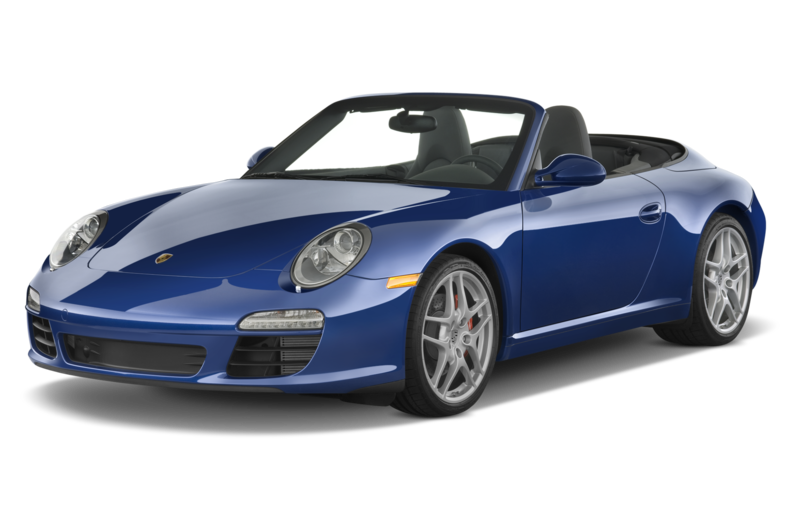 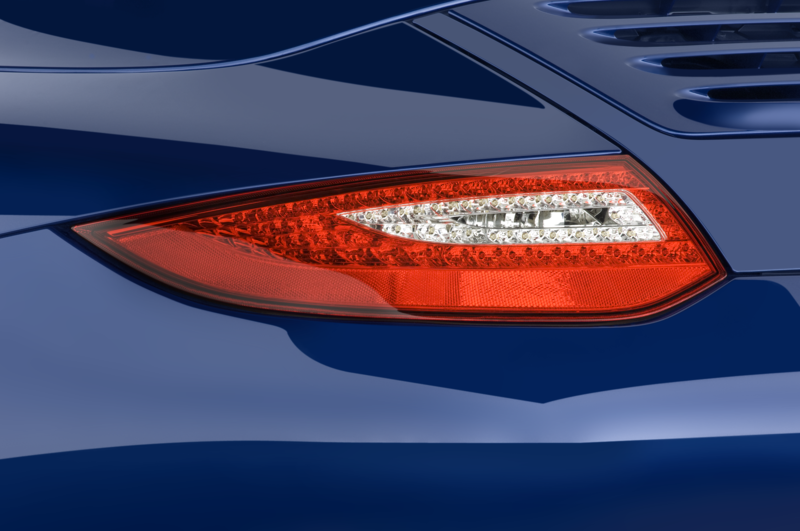 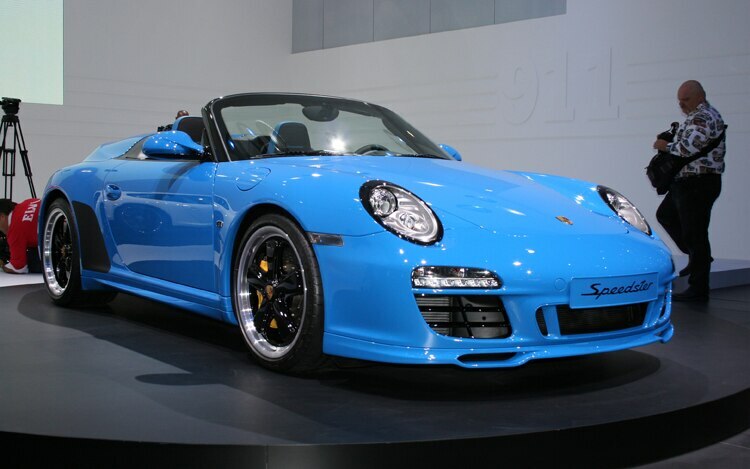 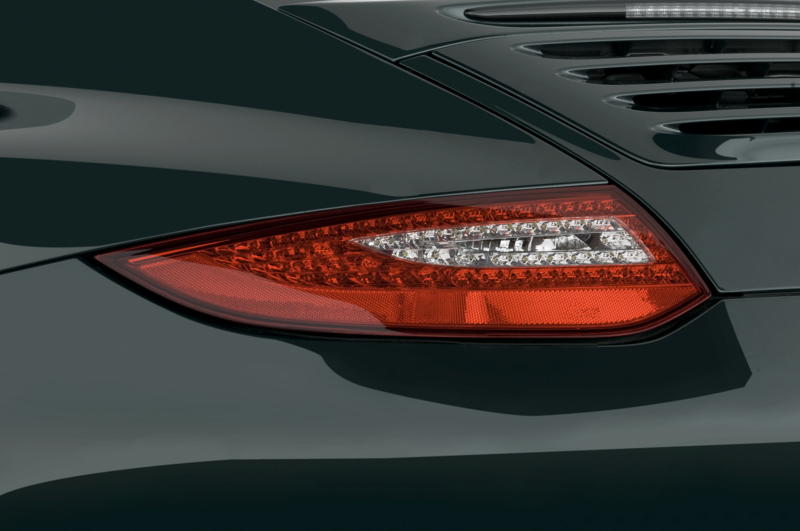 The Pure Blue paint color shown here was developed exclusively for this model, although customers can opt instead for Carrera White if so desired. 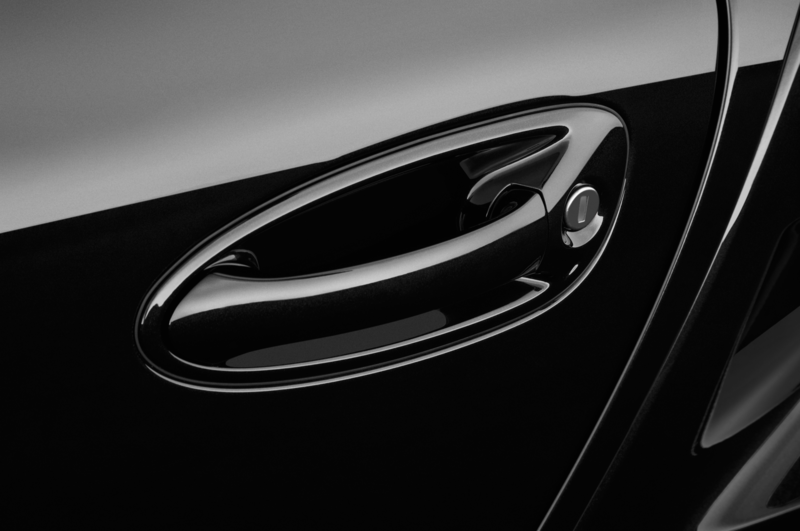 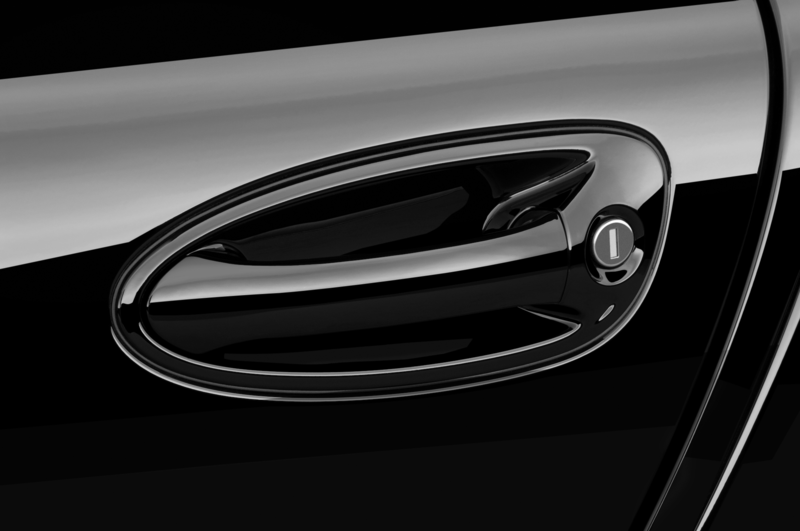 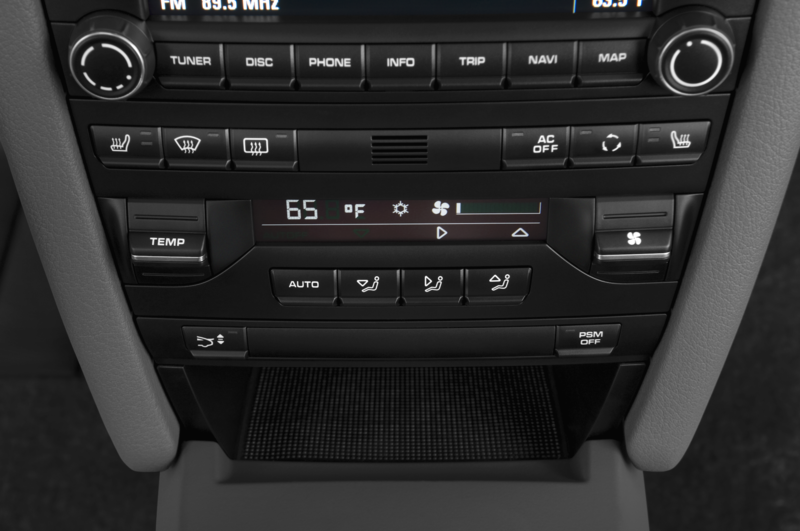 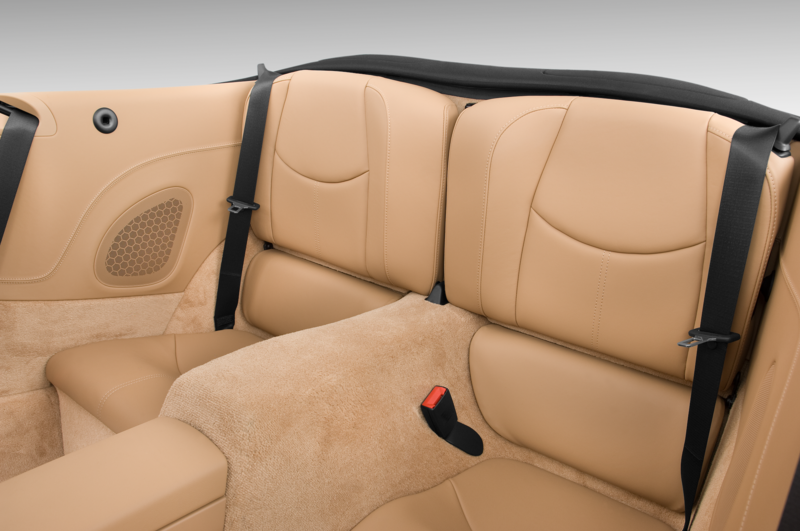 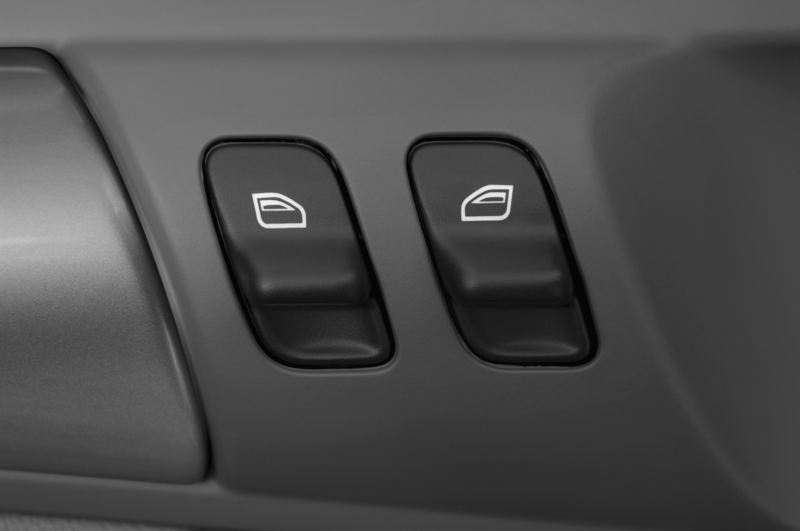 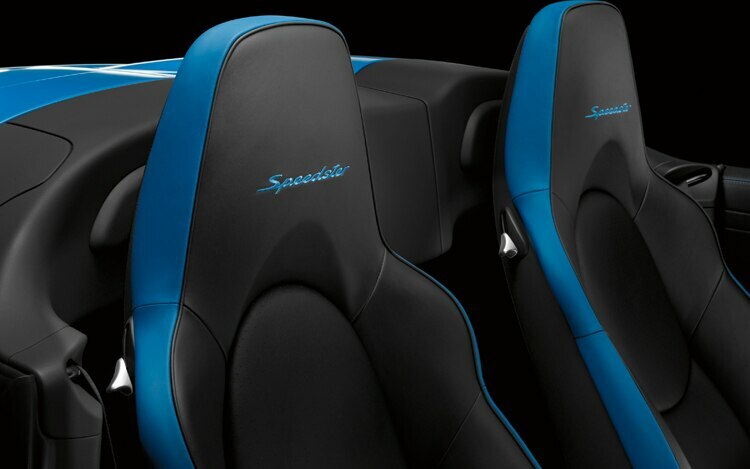 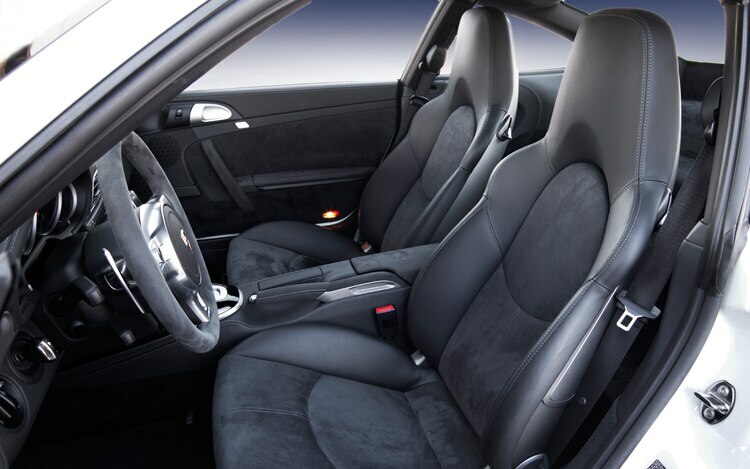 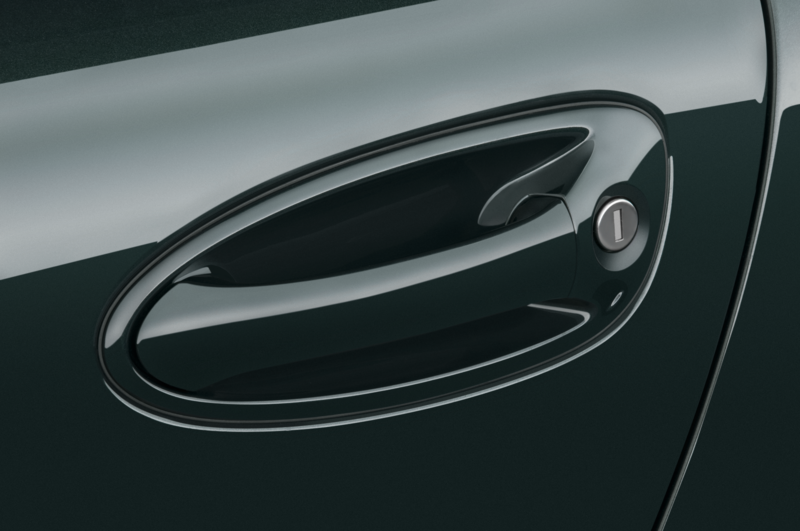 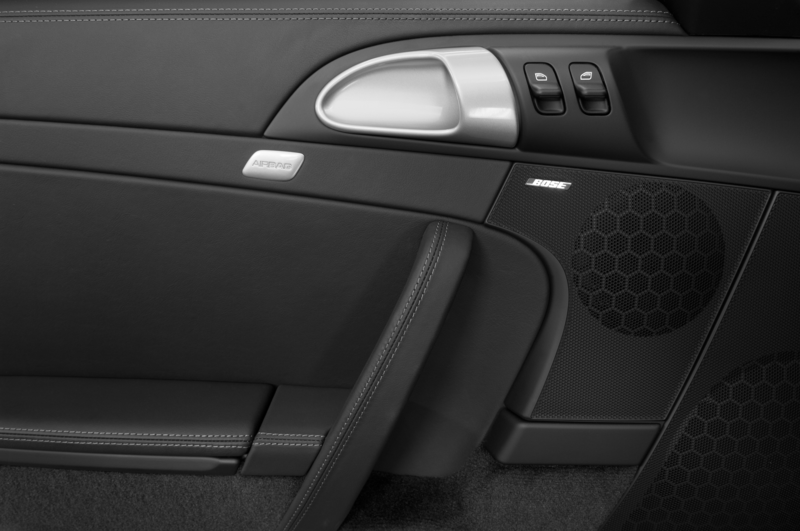 Either color will appear inside the cabin, where it’ll be used on trim accents, seat bolsters, and seat inserts to contrast the smooth black leather trim. 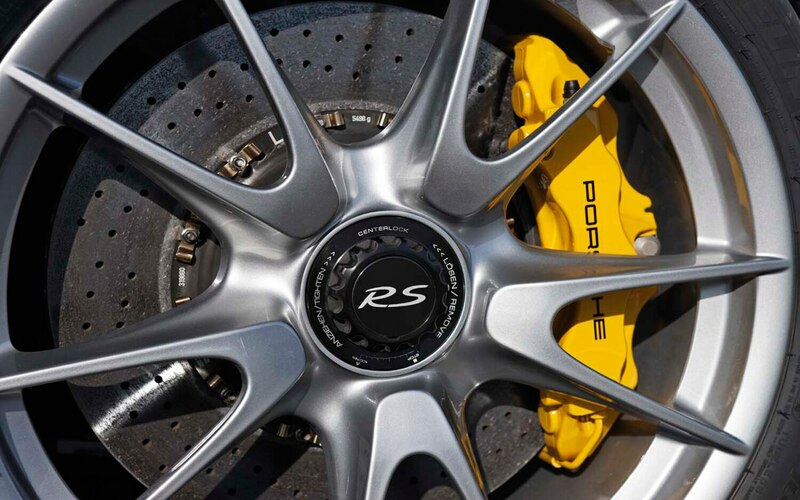 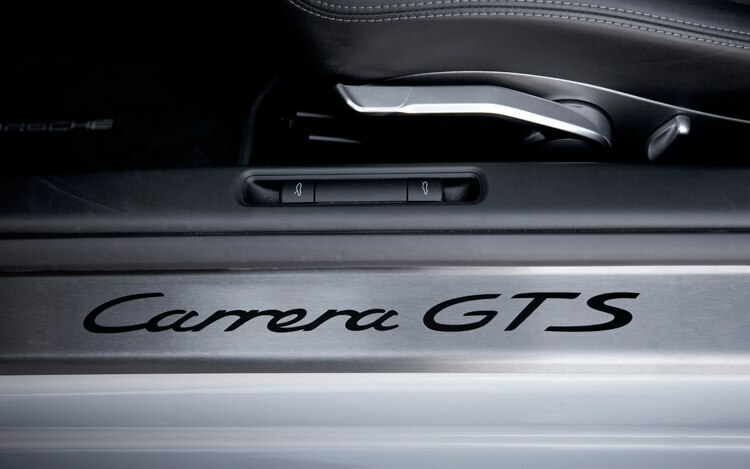 Mechanically, the 911 Speedster is virtually identical to the new 911 Carrerra GTS, which also makes its international debut at the Paris show. 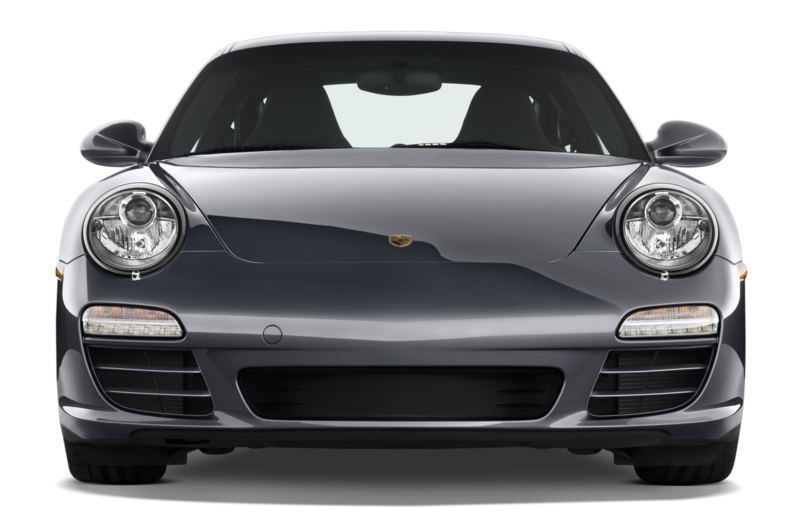 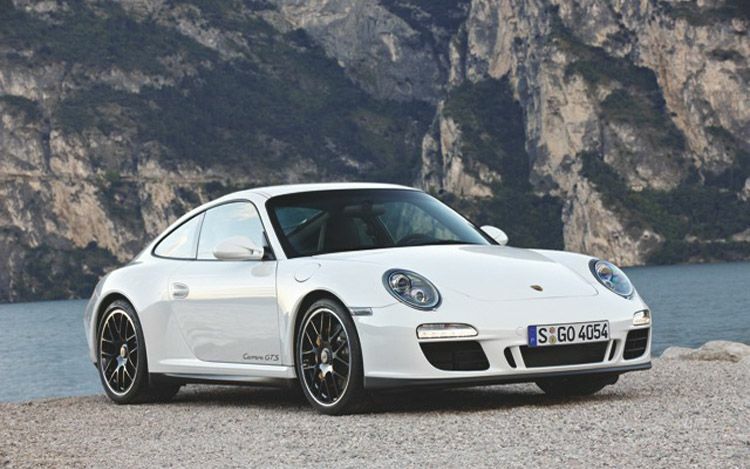 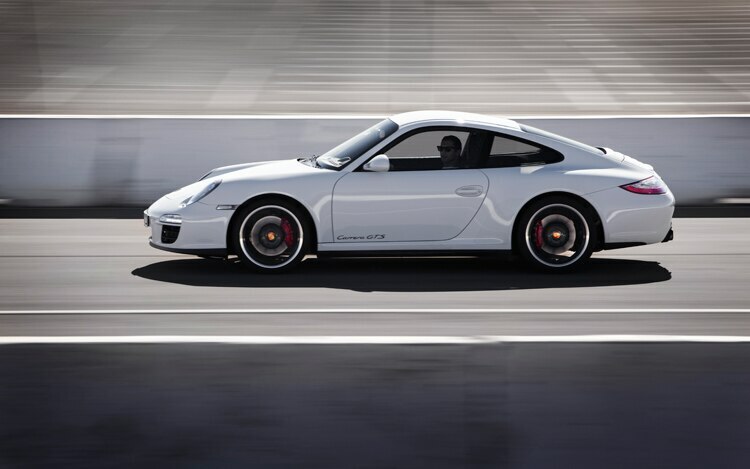 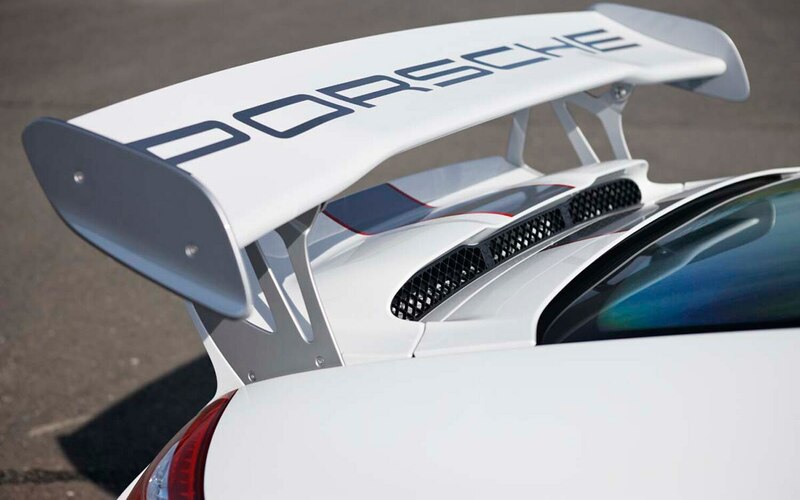 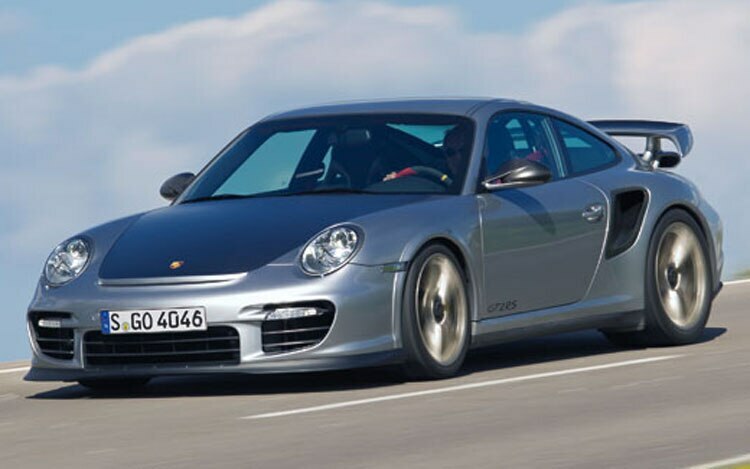 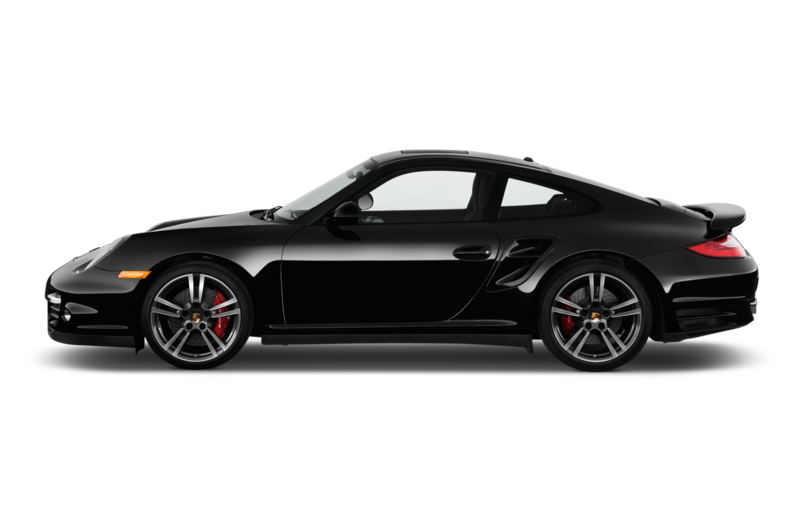 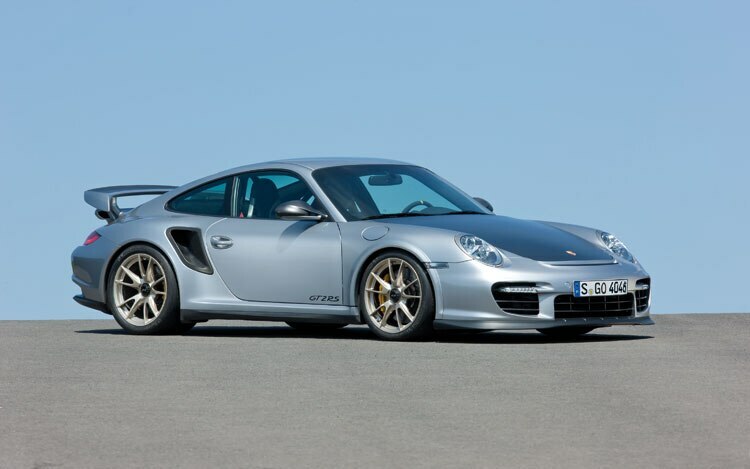 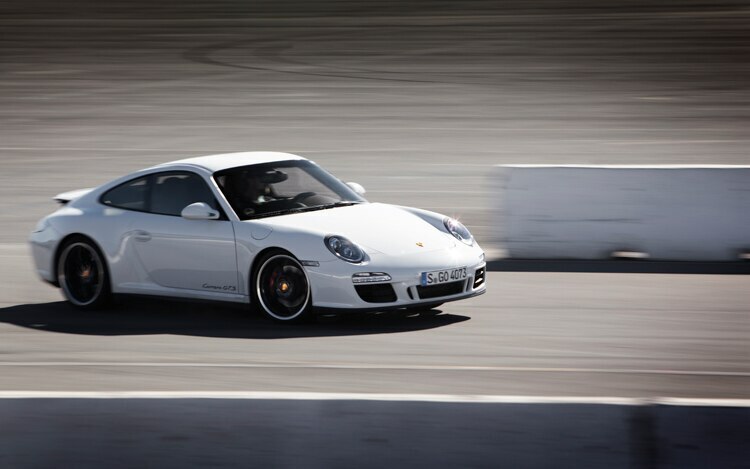 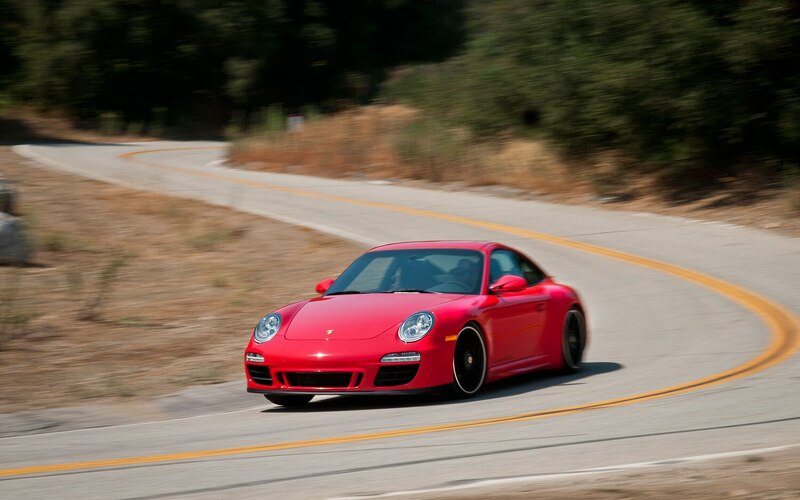 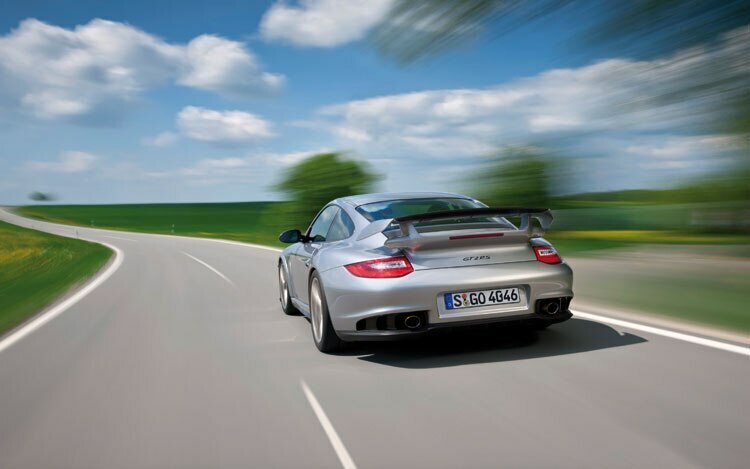 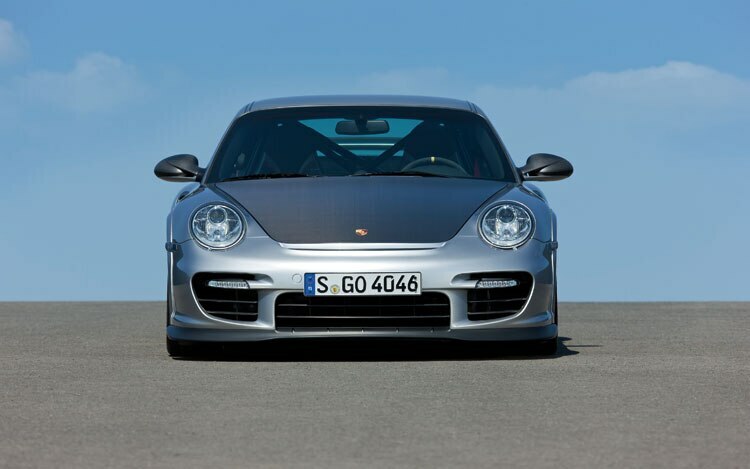 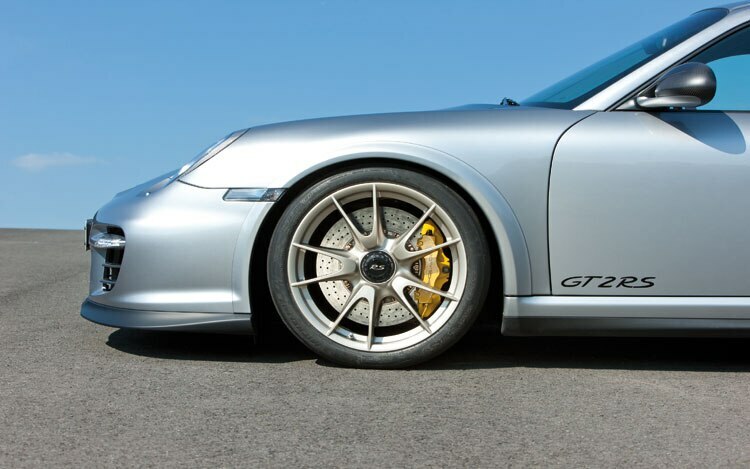 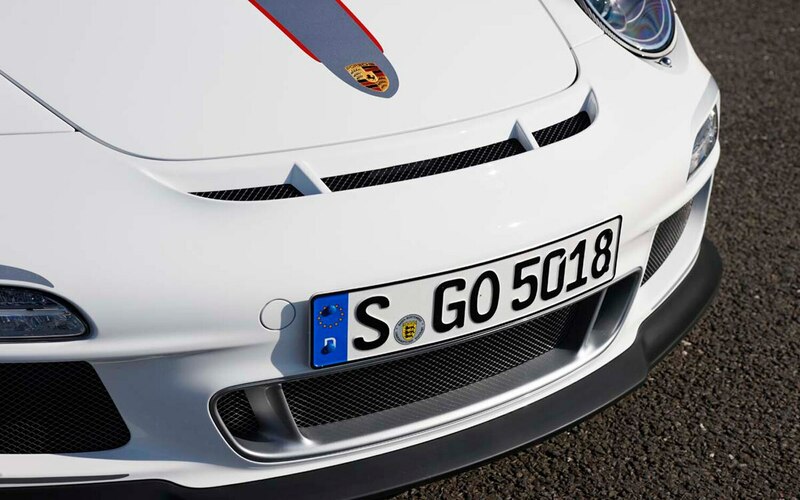 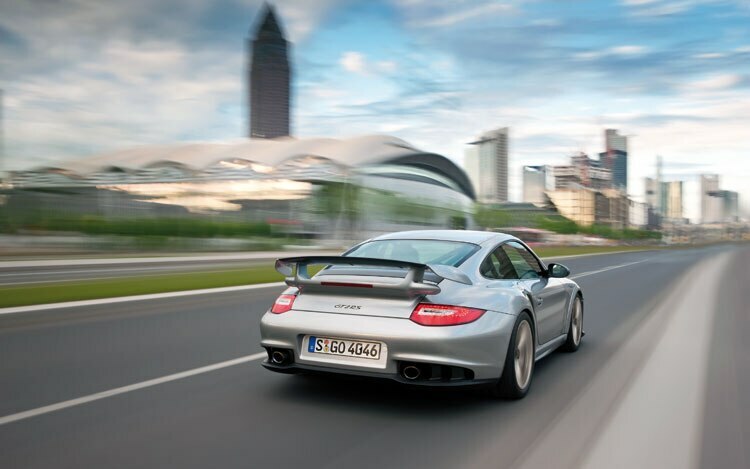 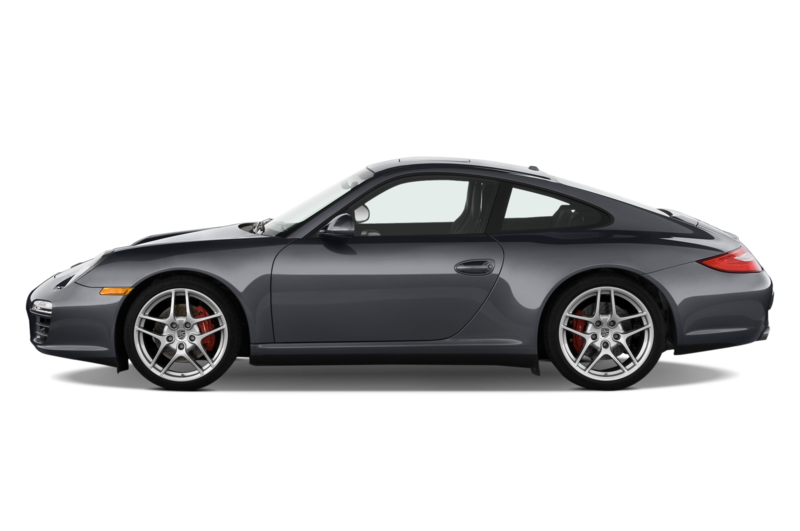 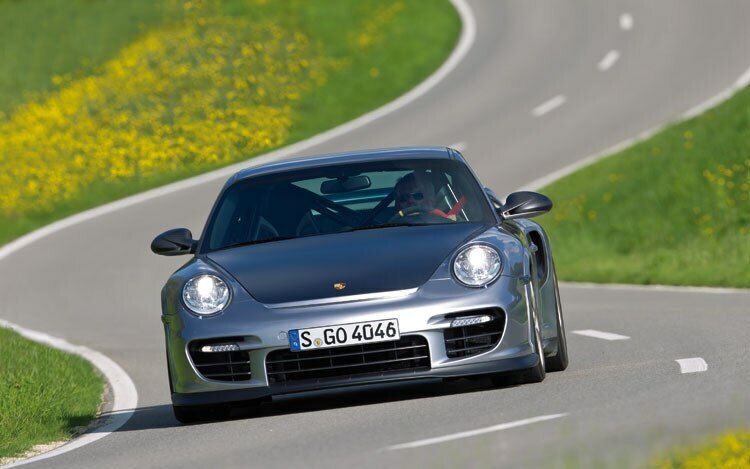 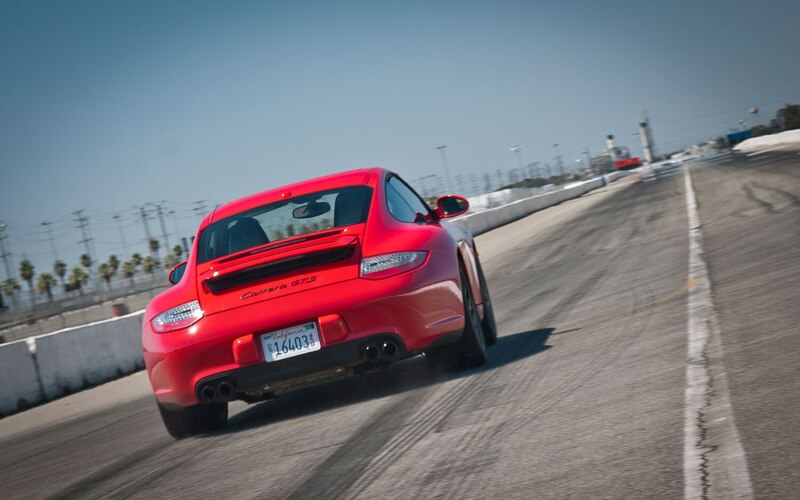 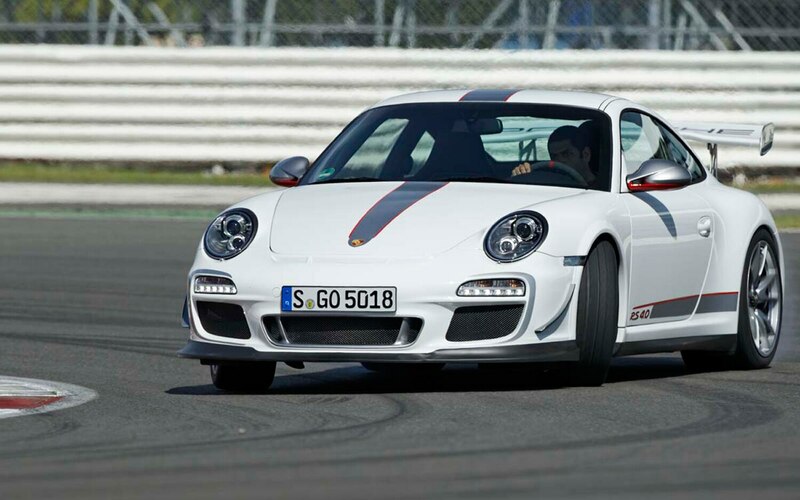 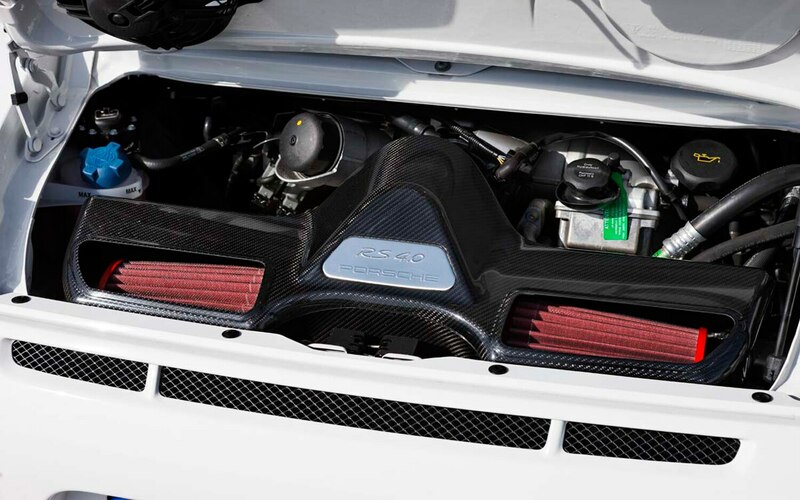 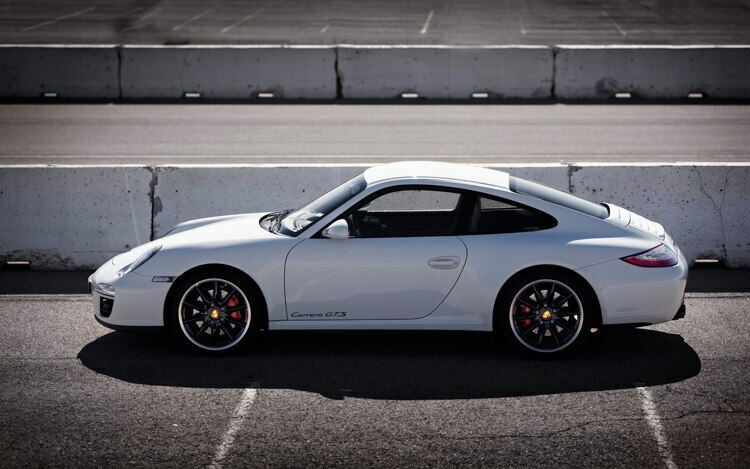 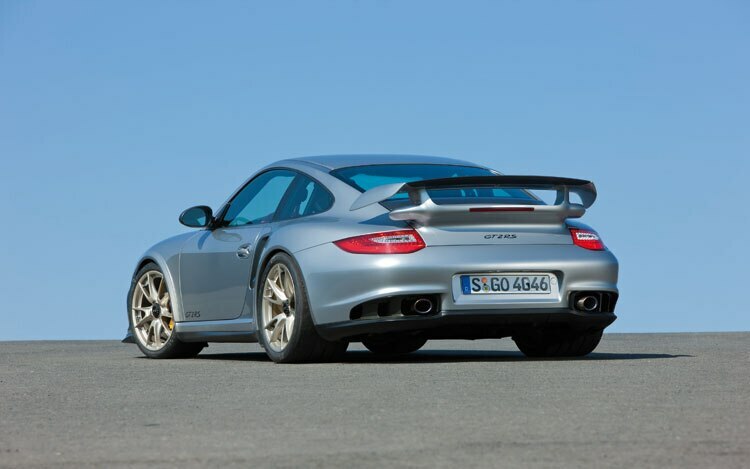 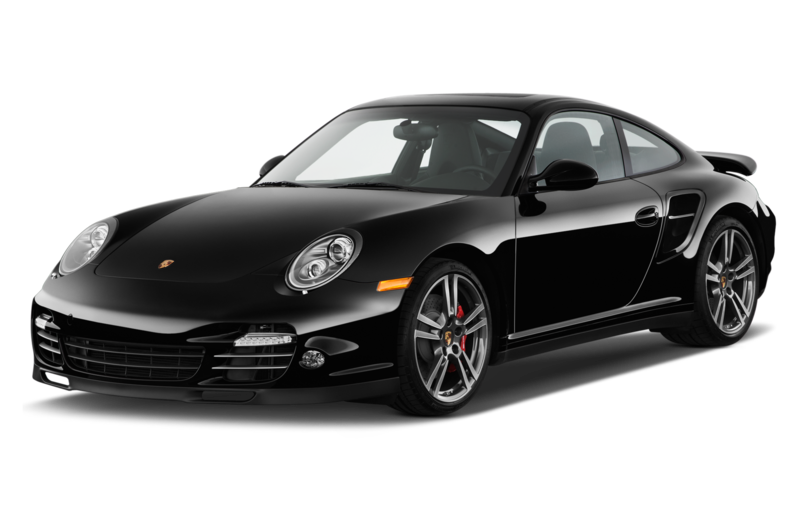 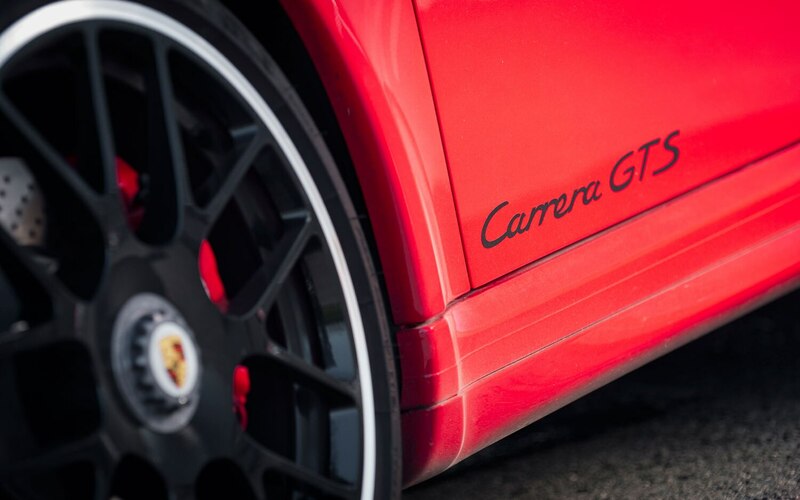 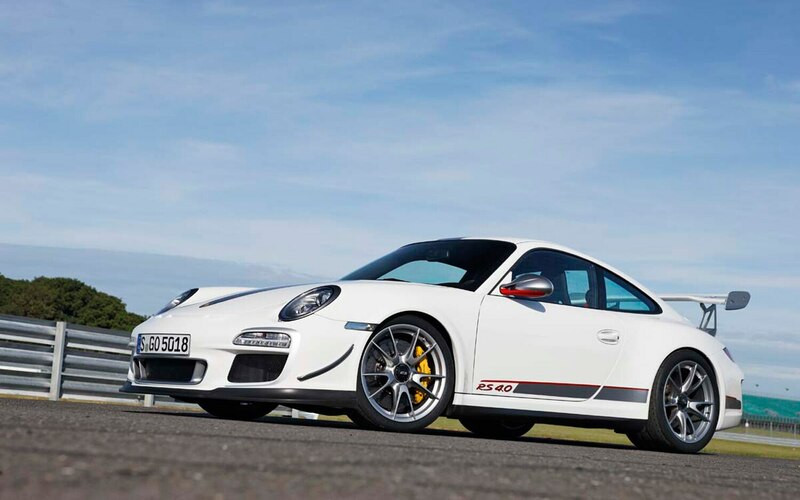 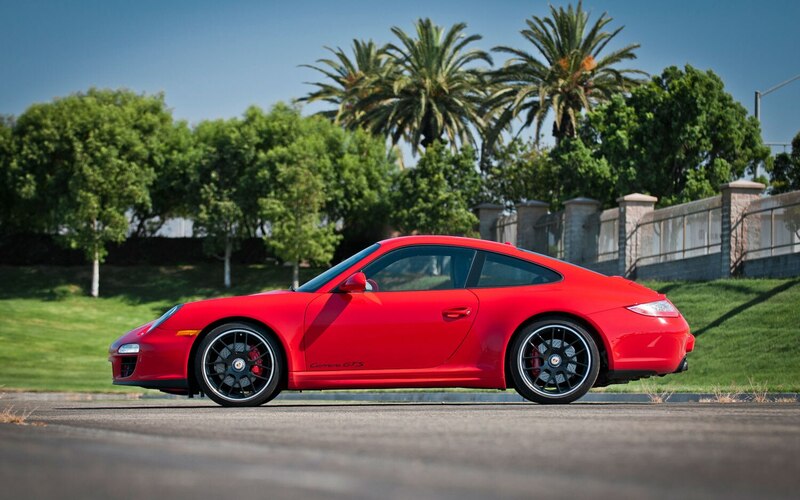 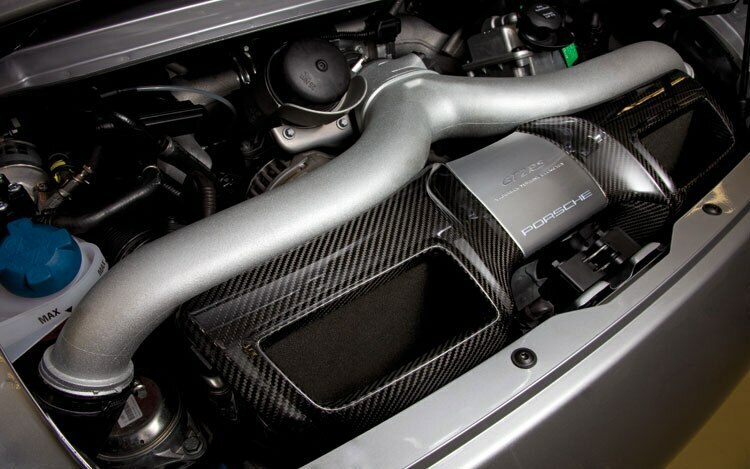 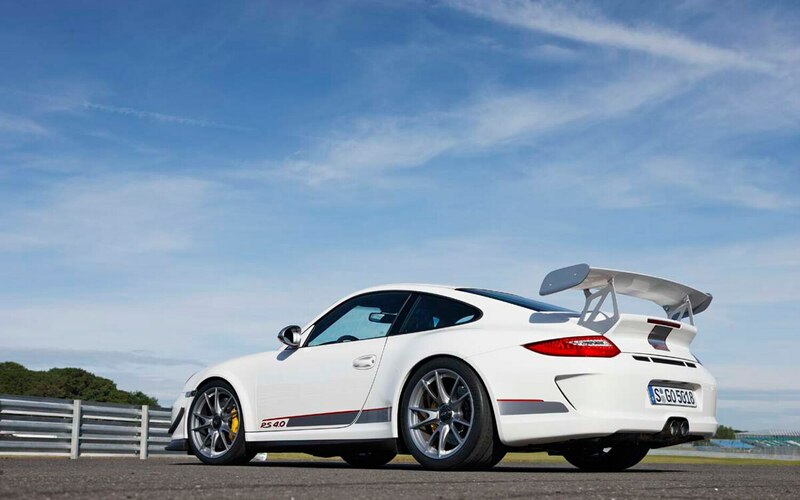 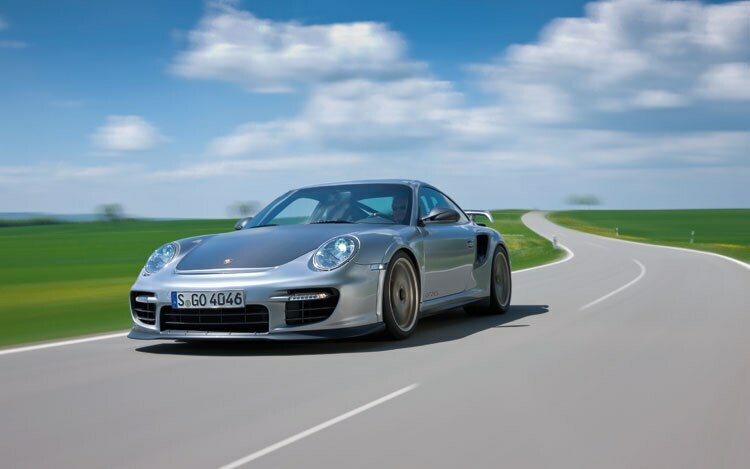 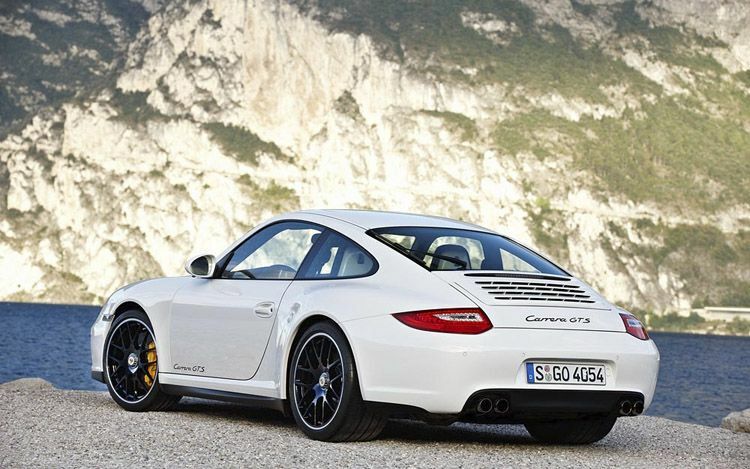 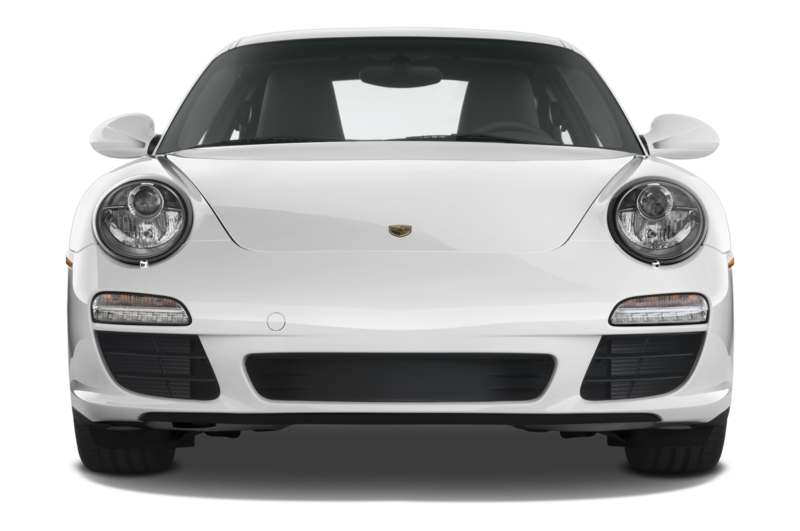 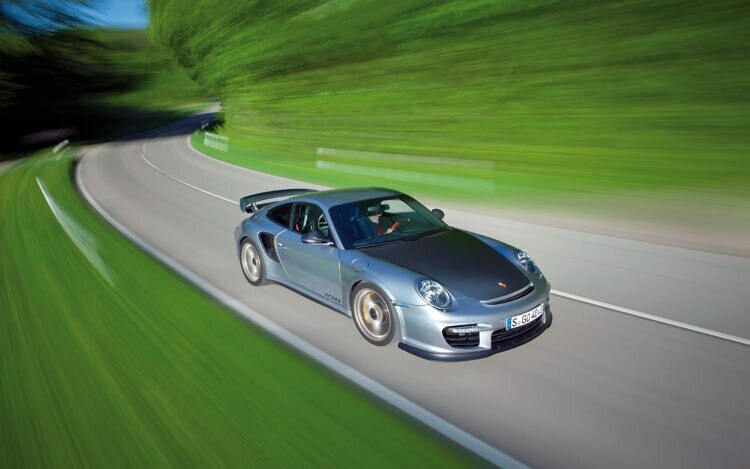 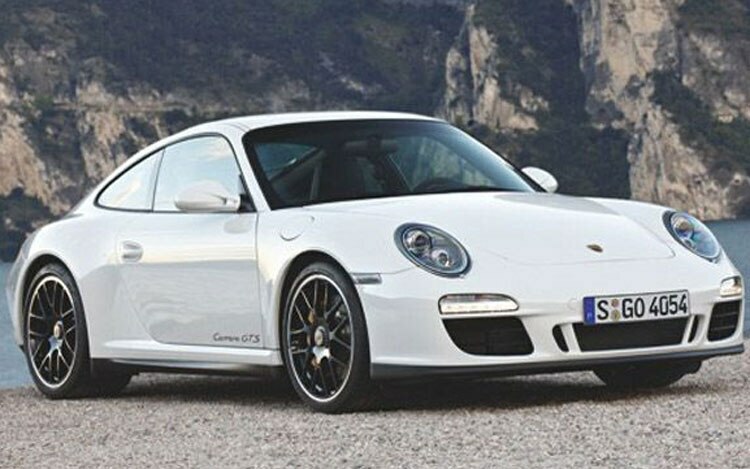 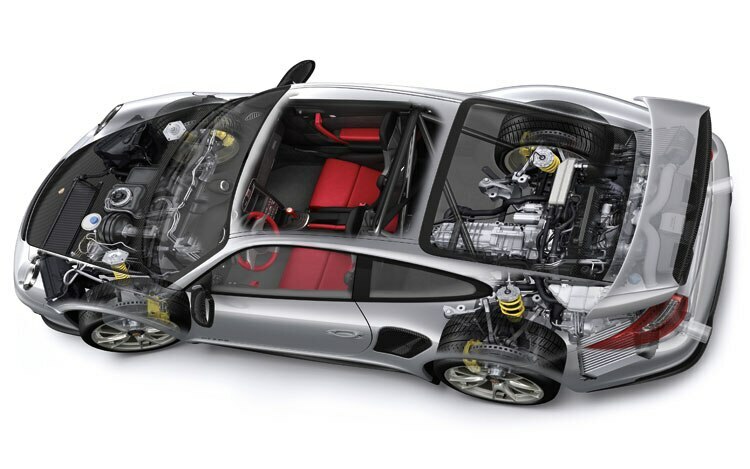 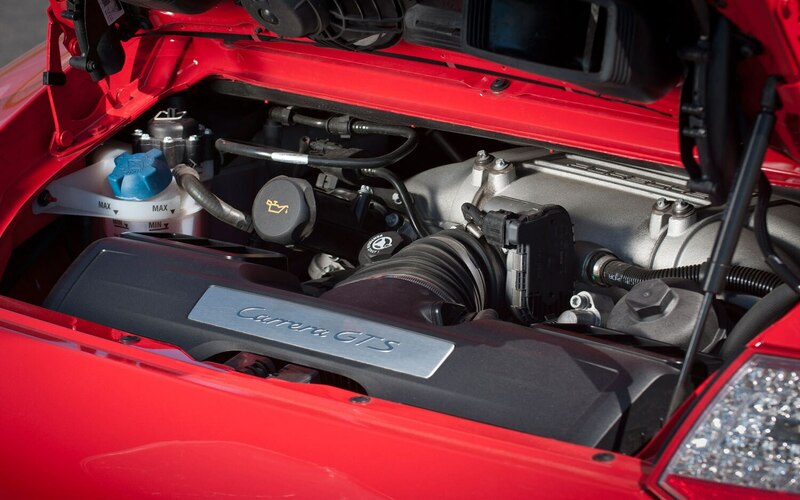 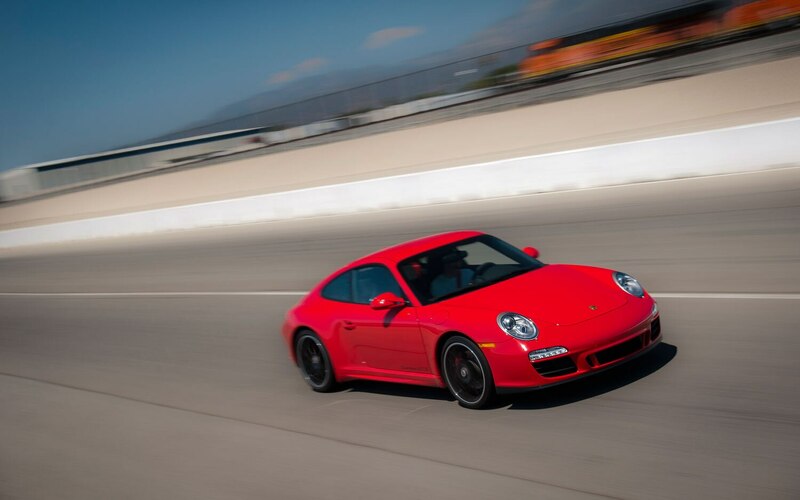 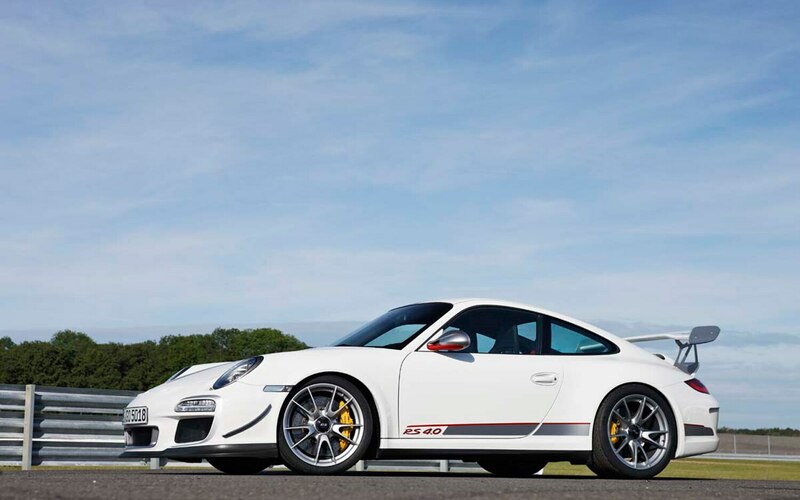 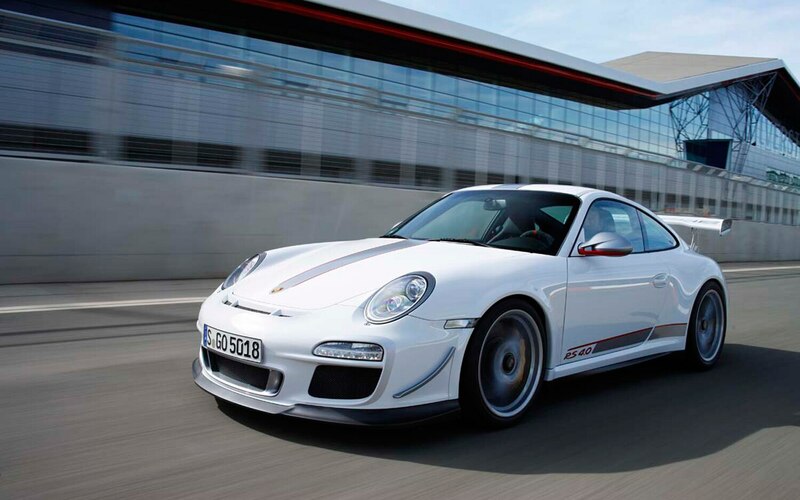 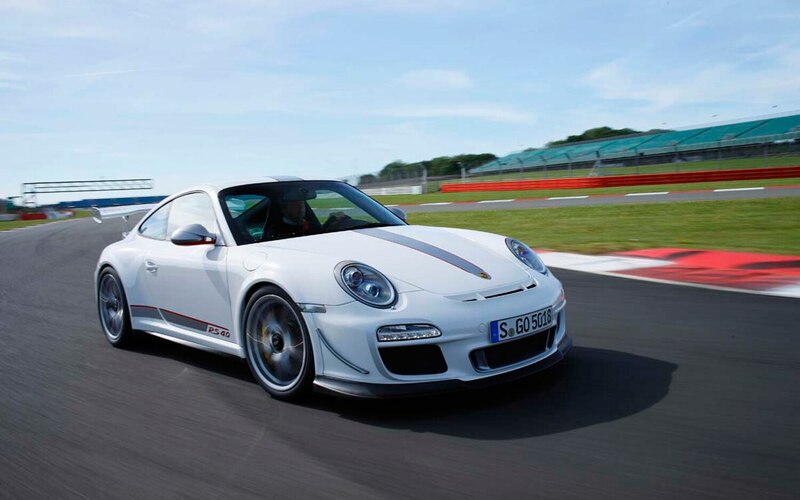 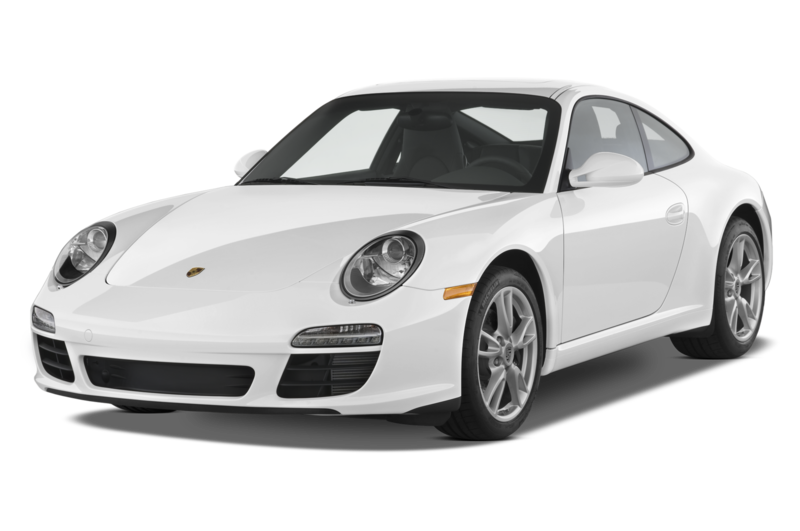 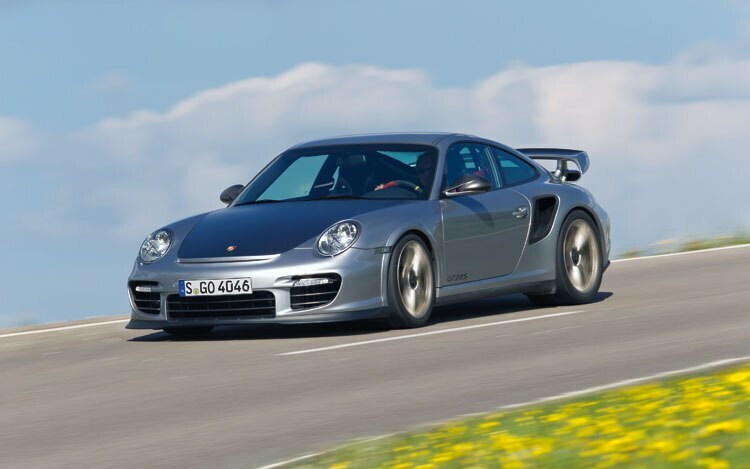 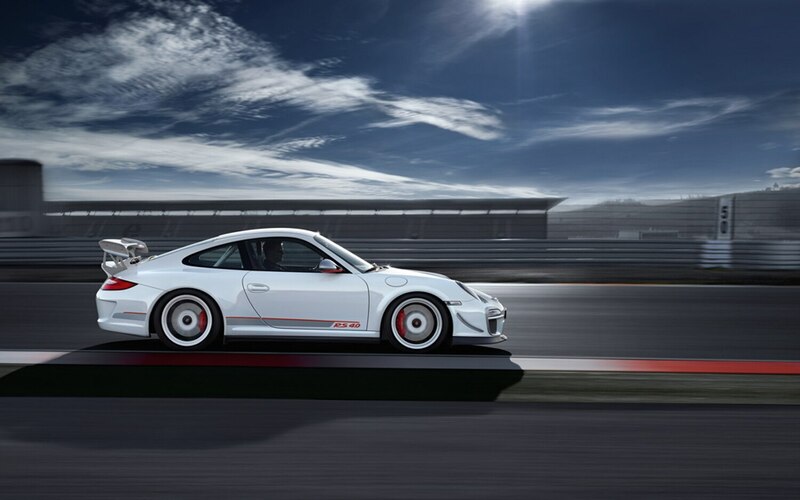 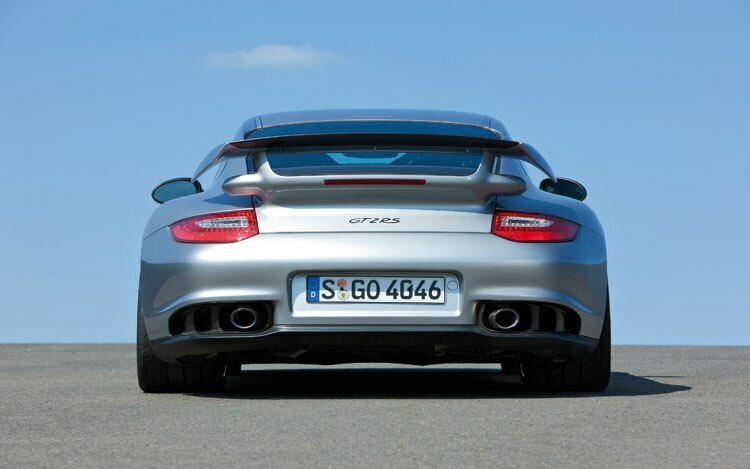 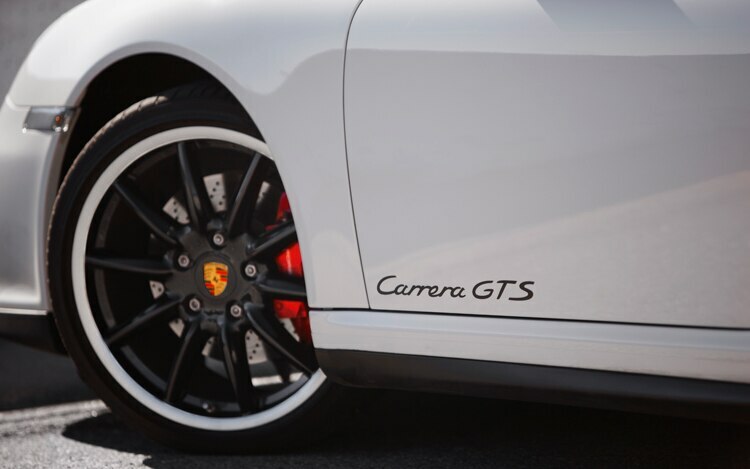 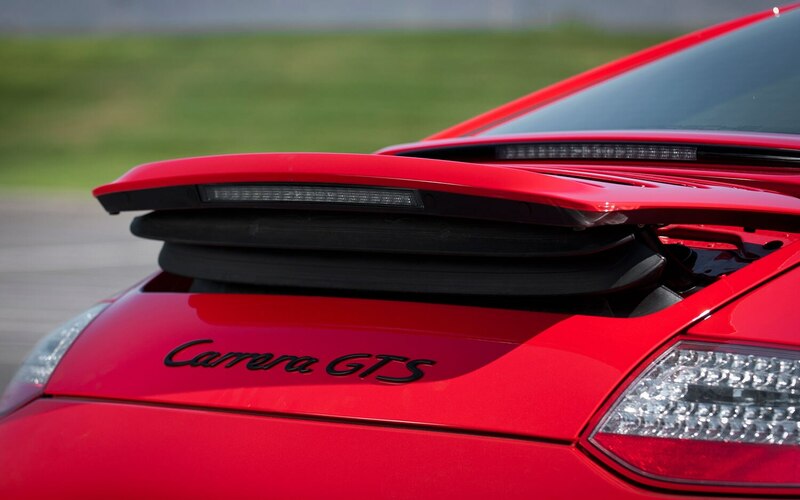 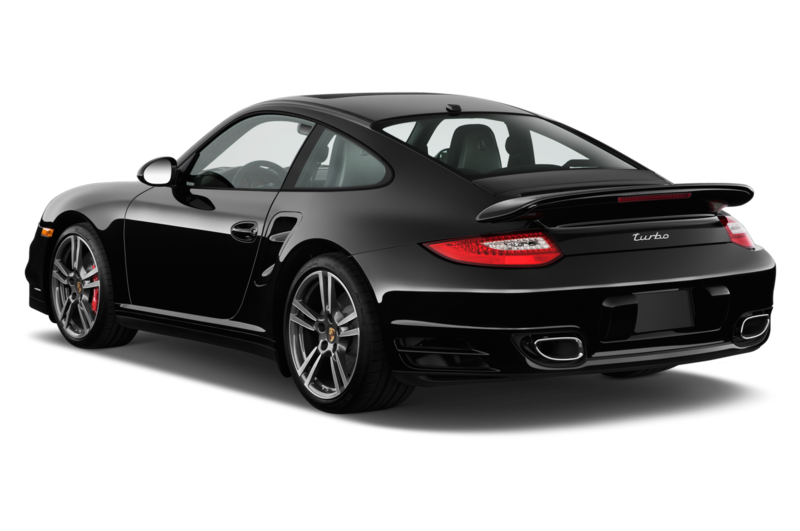 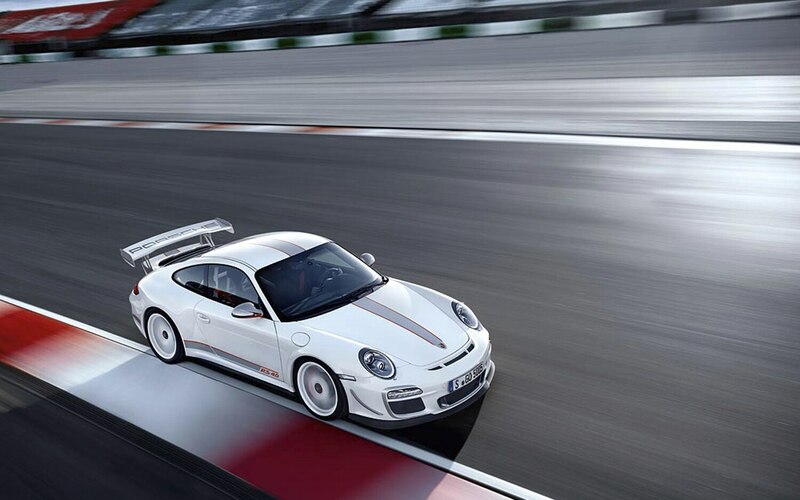 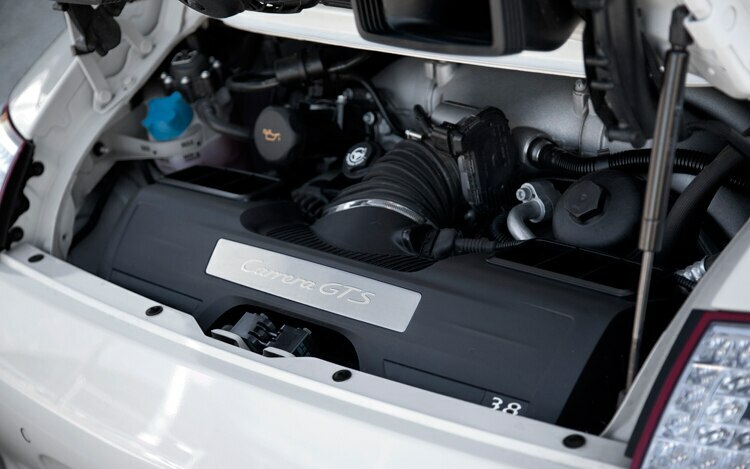 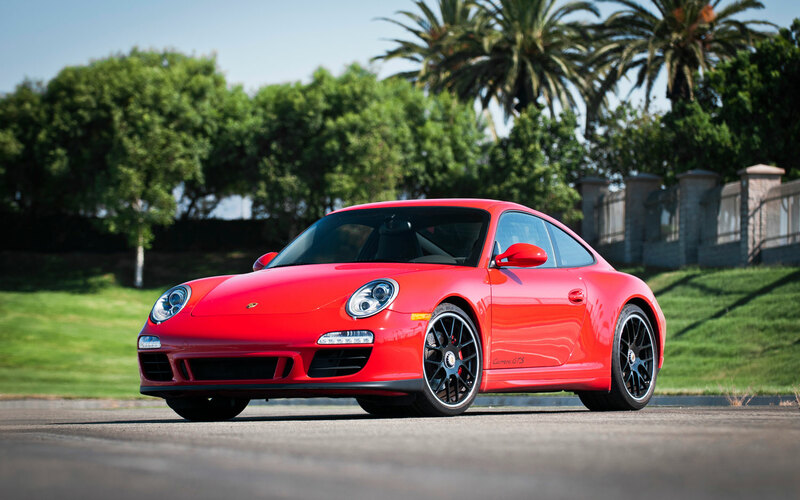 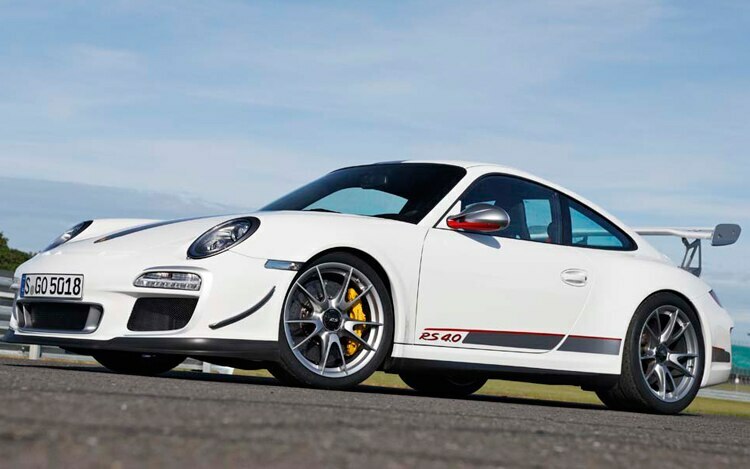 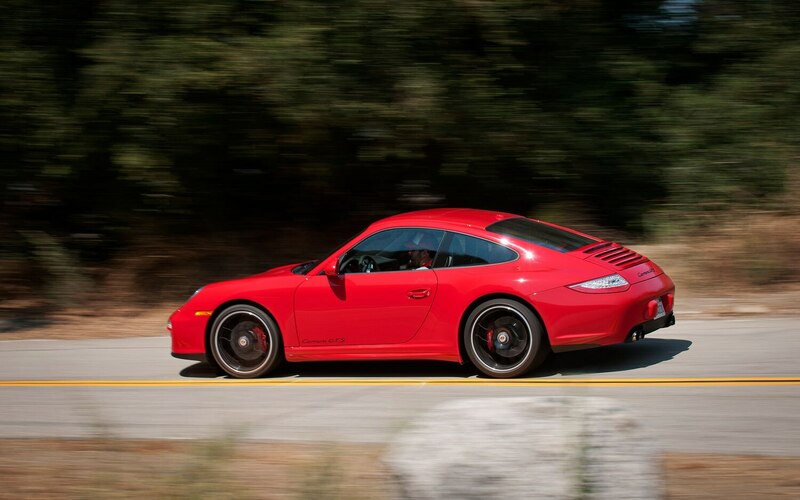 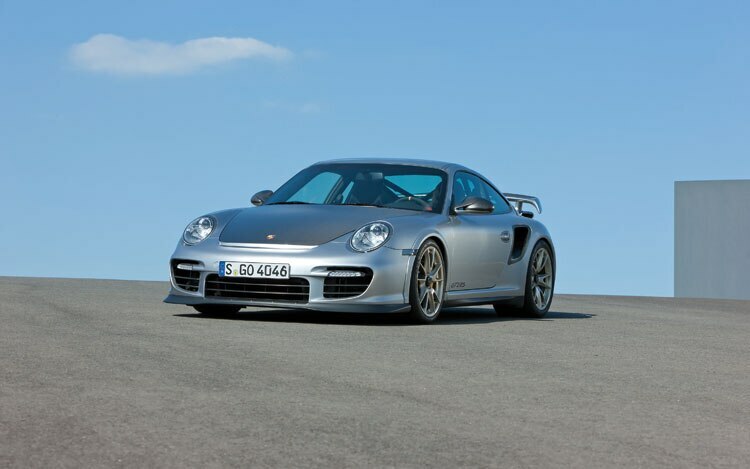 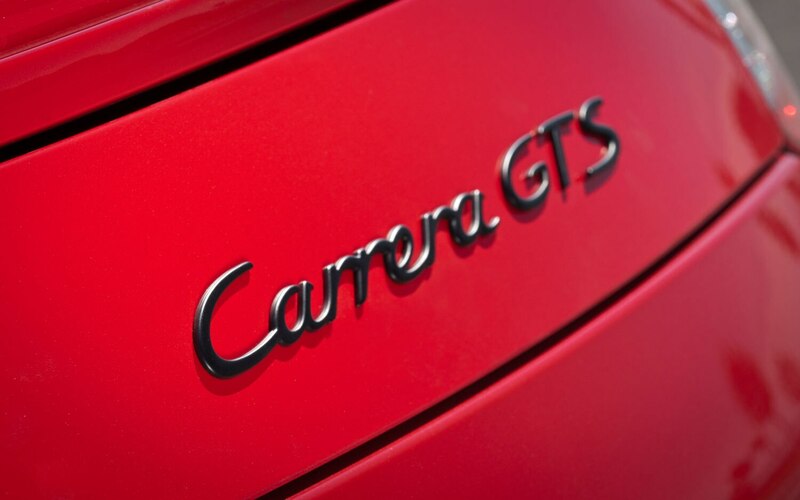 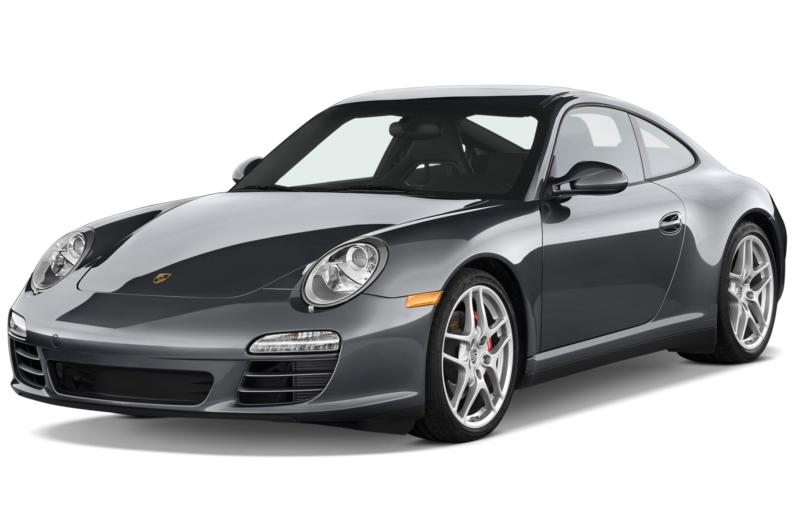 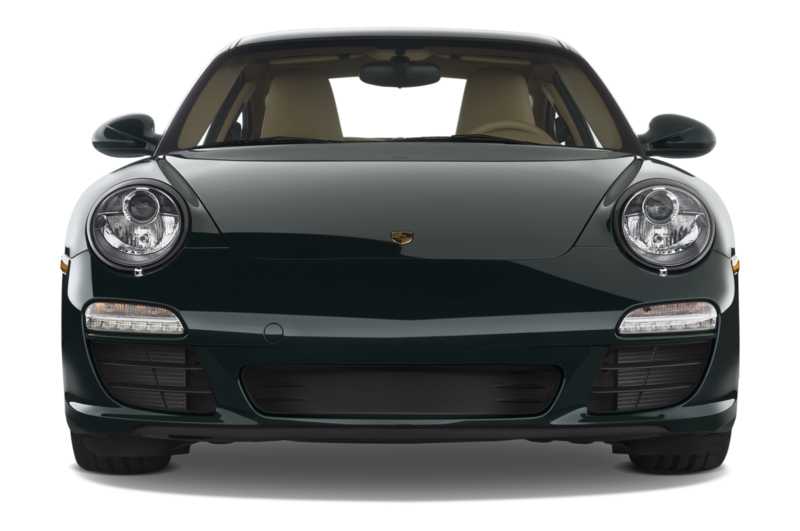 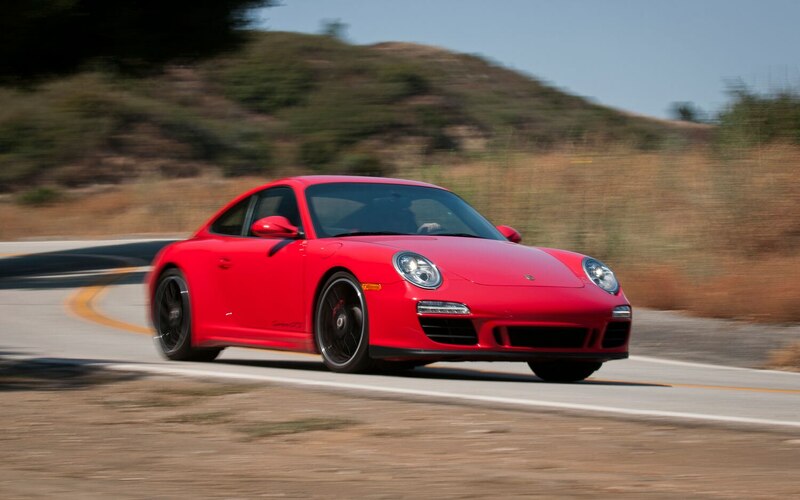 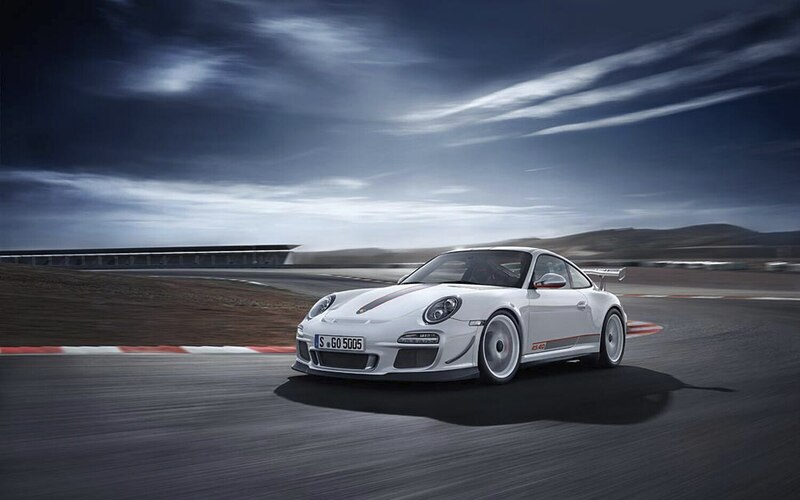 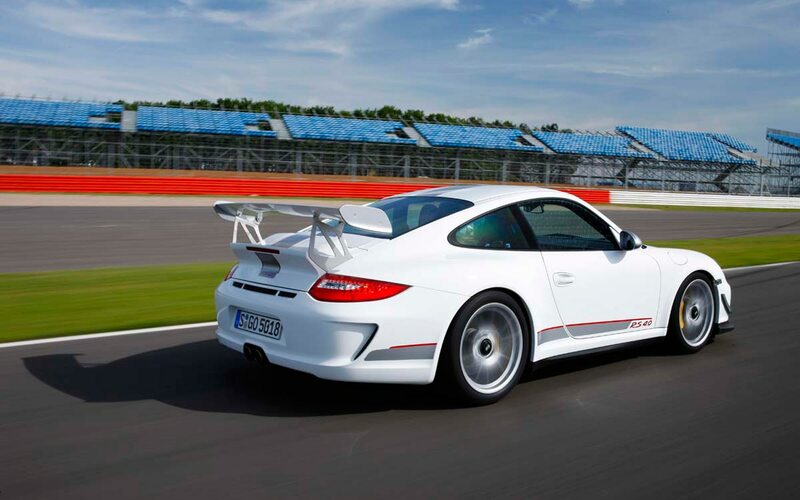 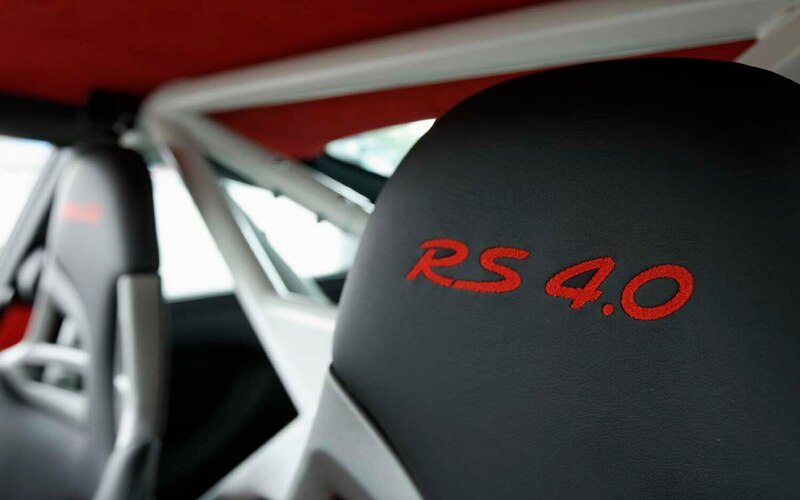 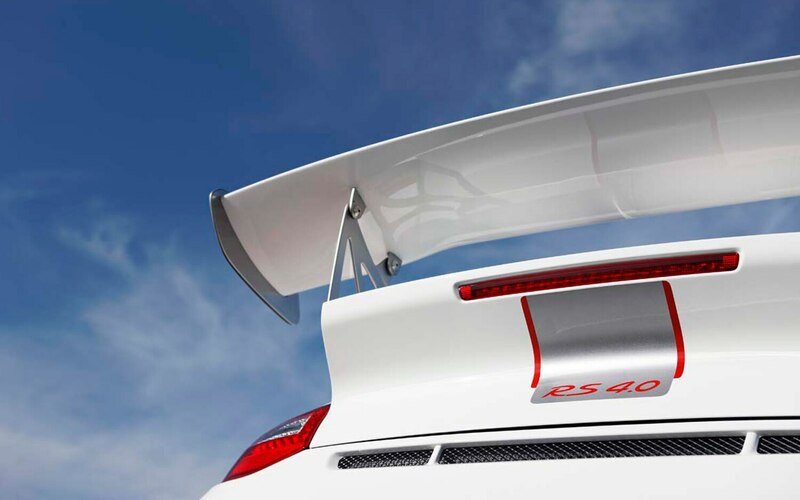 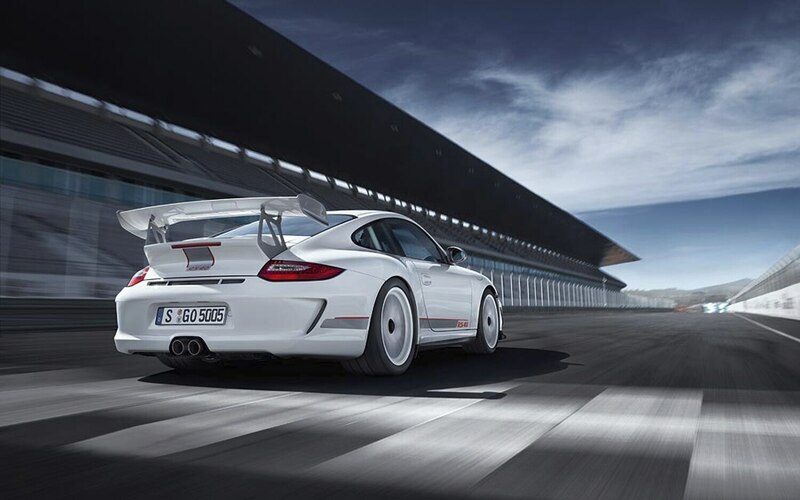 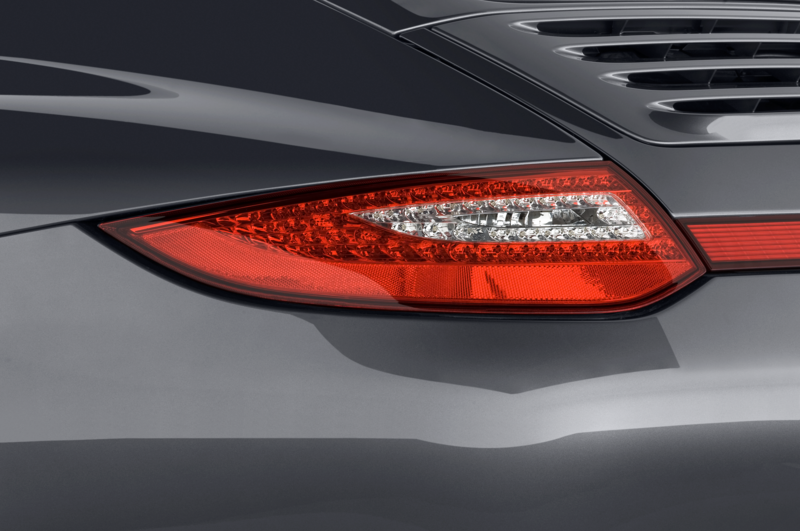 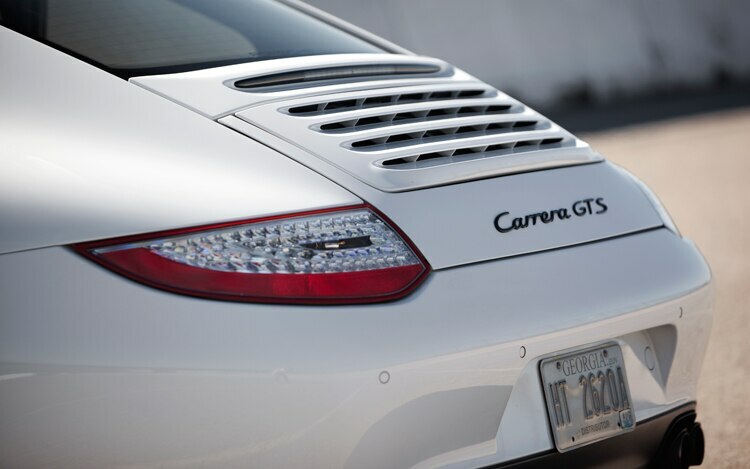 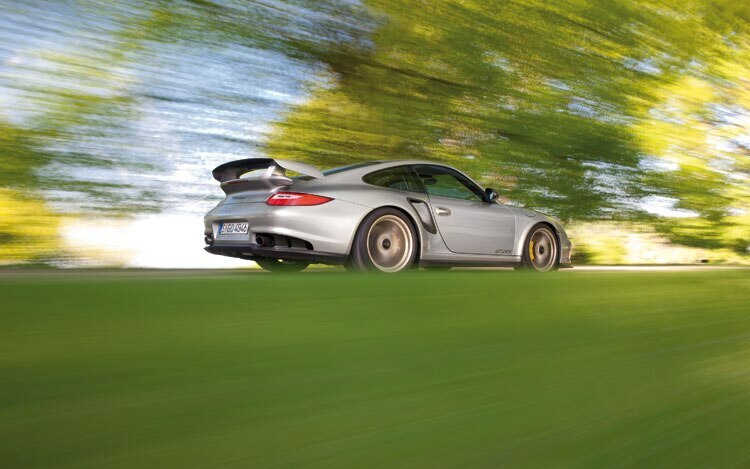 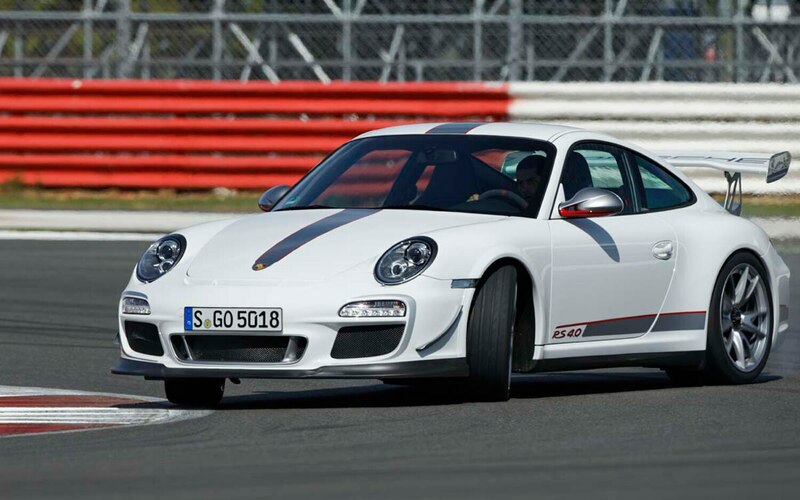 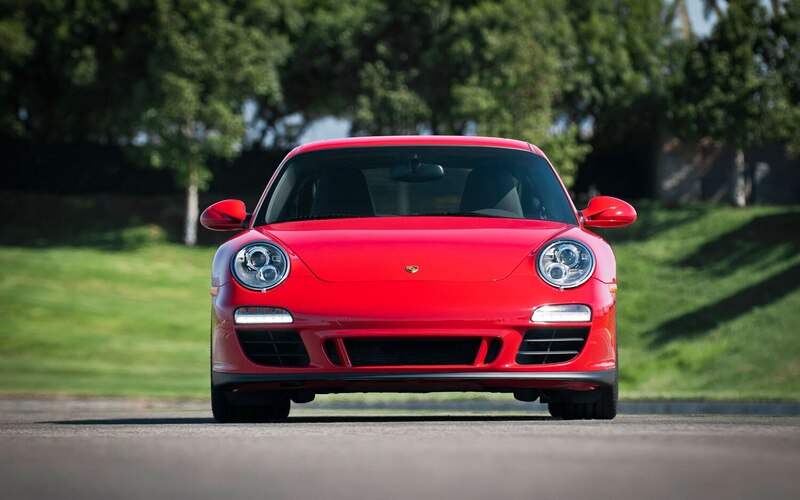 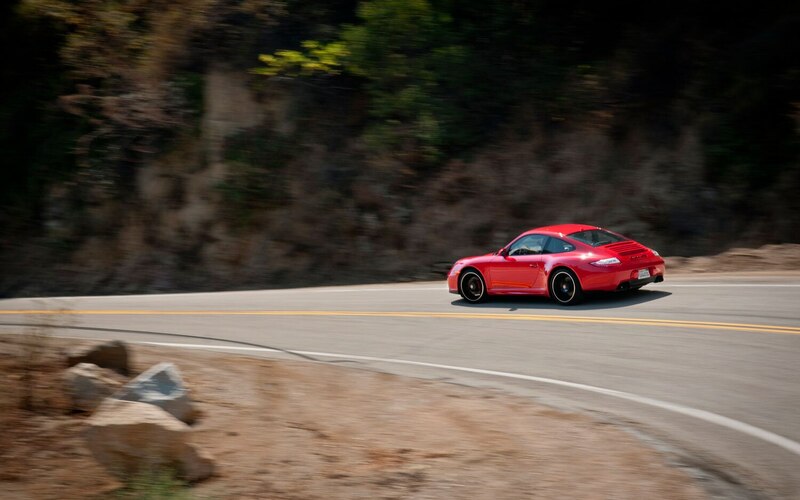 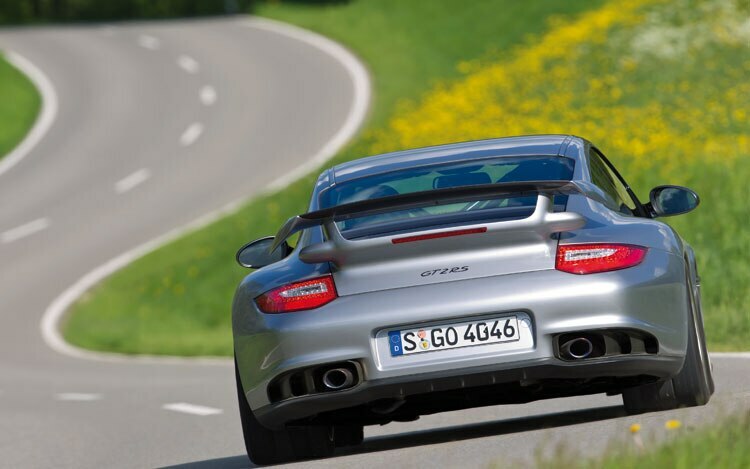 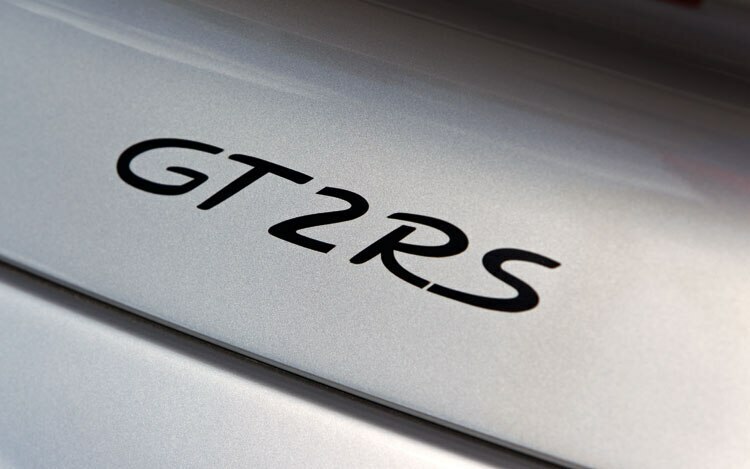 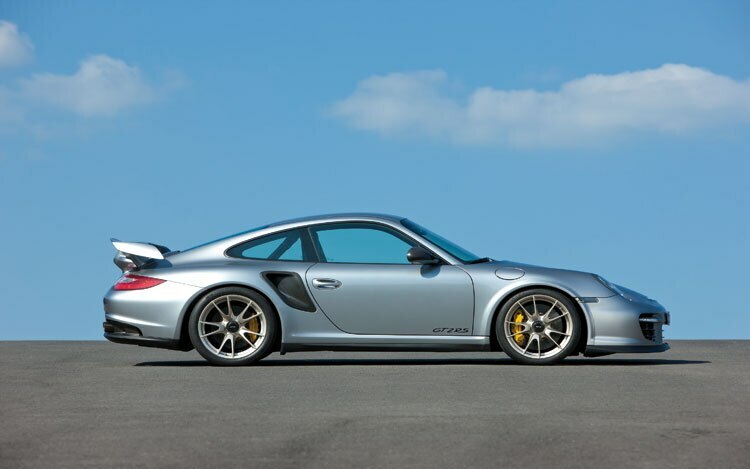 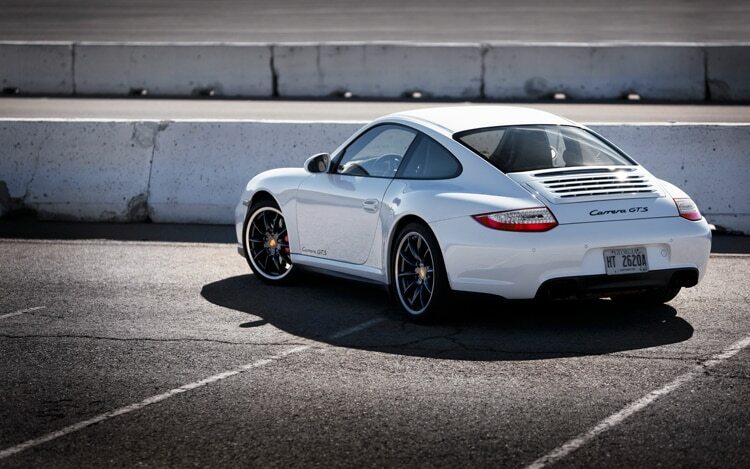 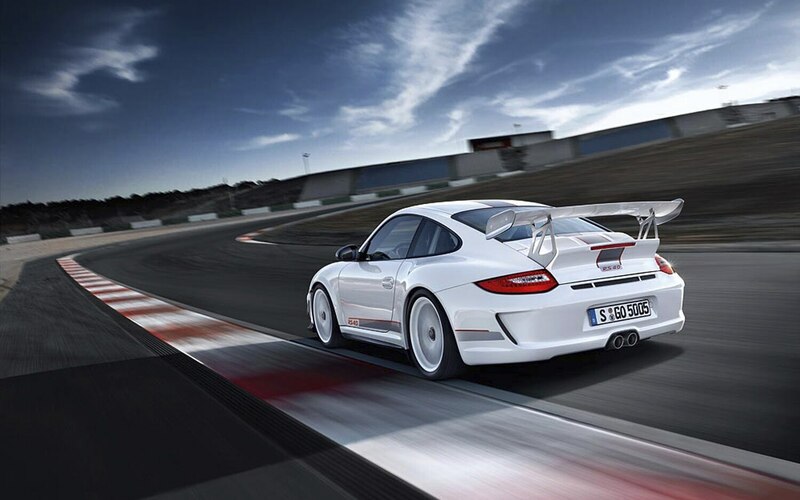 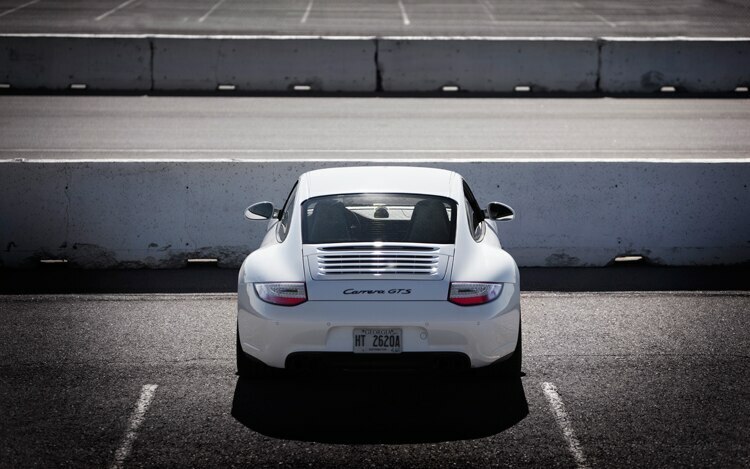 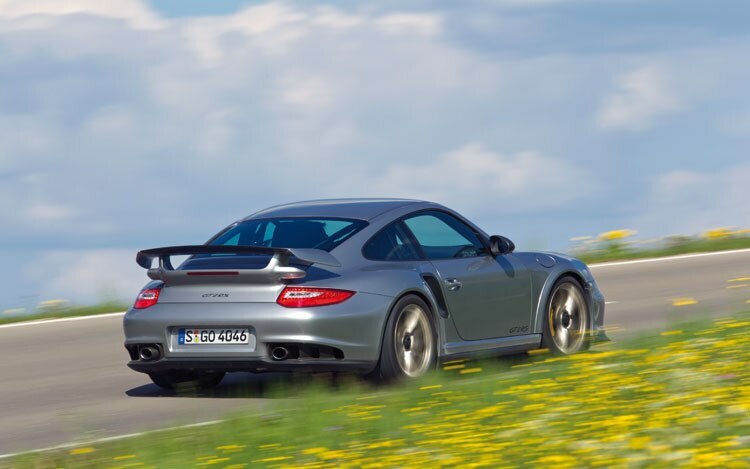 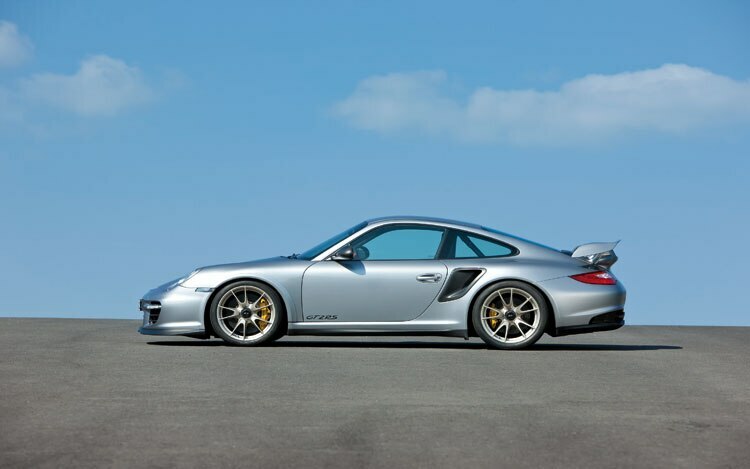 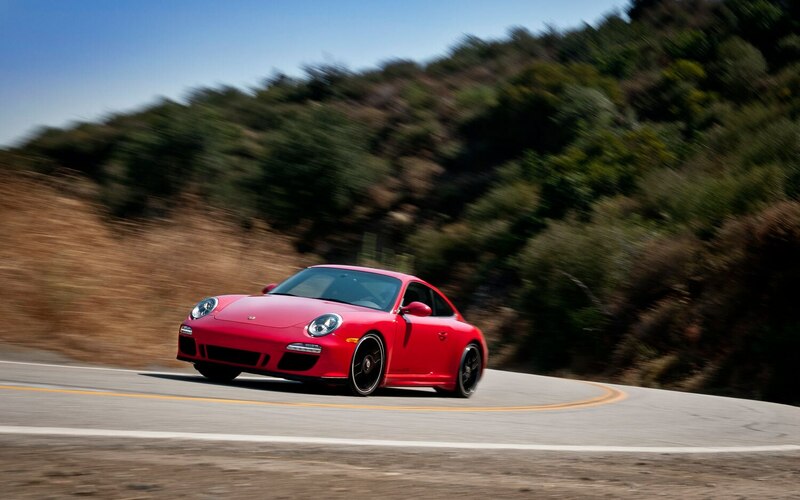 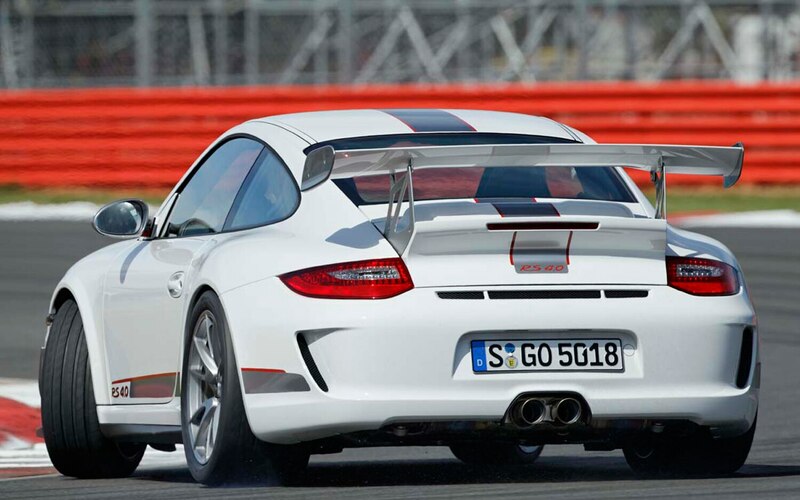 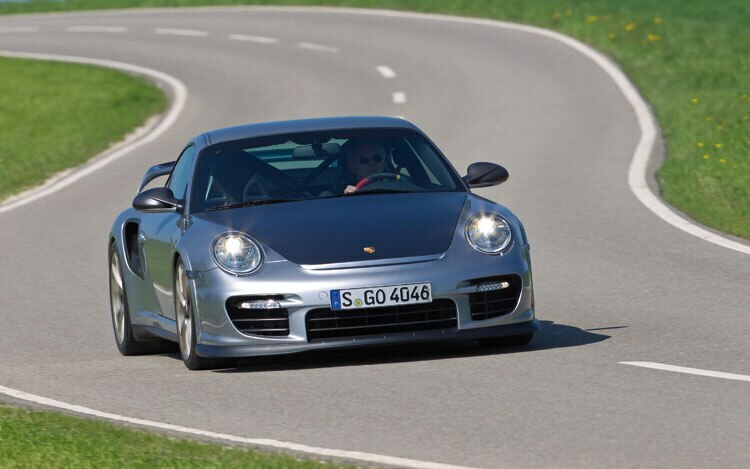 The direct-injection 3.8-liter flat-six-cylinder engine is boosted to 408 horsepower and 310 pound-feet of torque, slotting it directly between the Carrera S and the GT3. 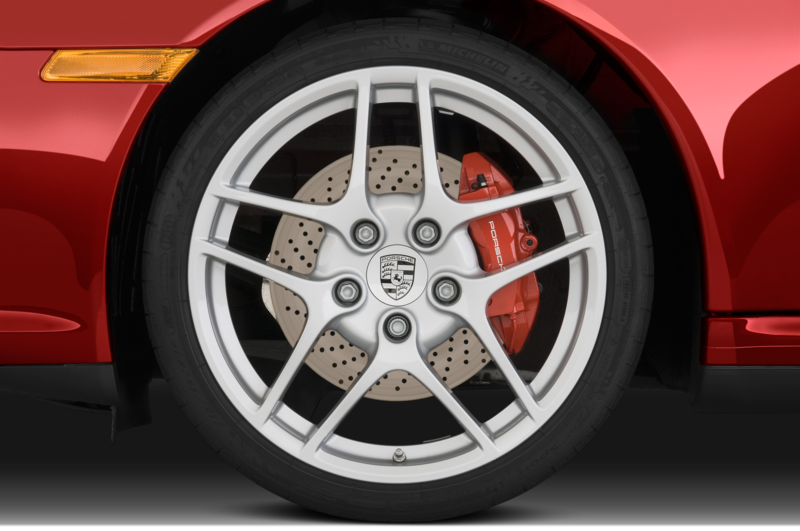 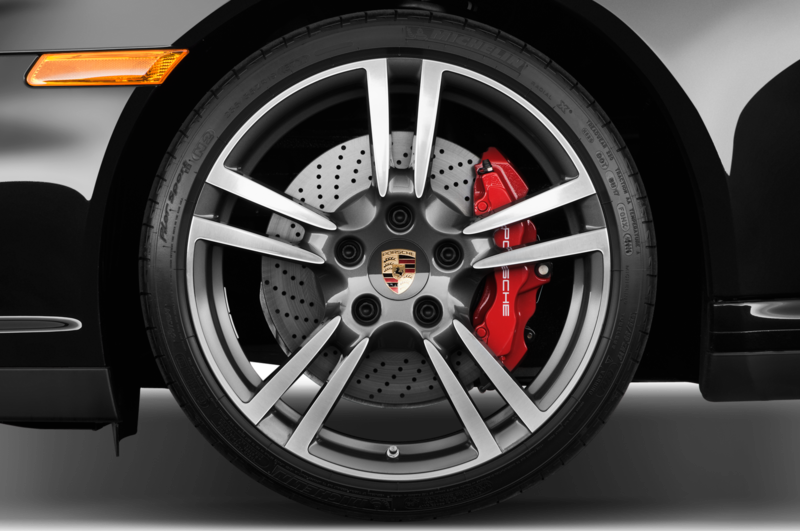 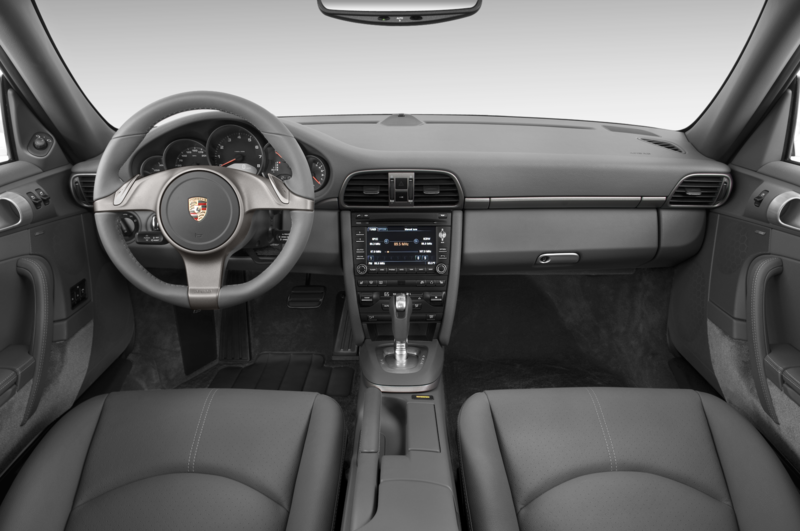 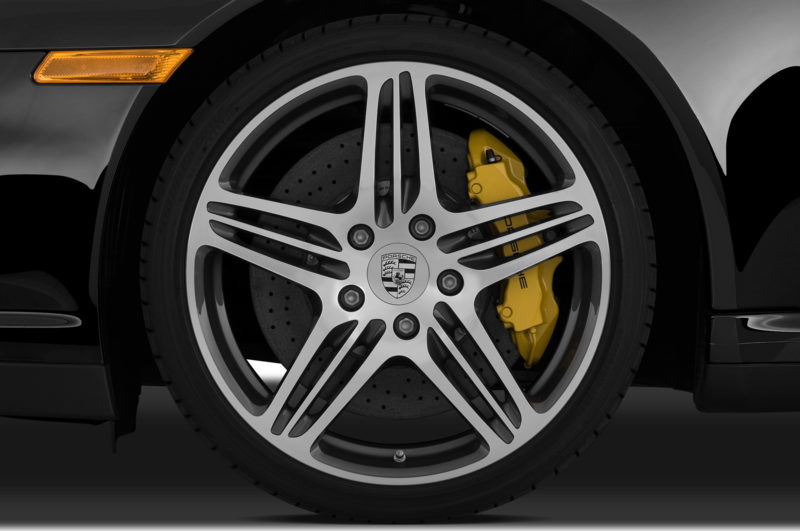 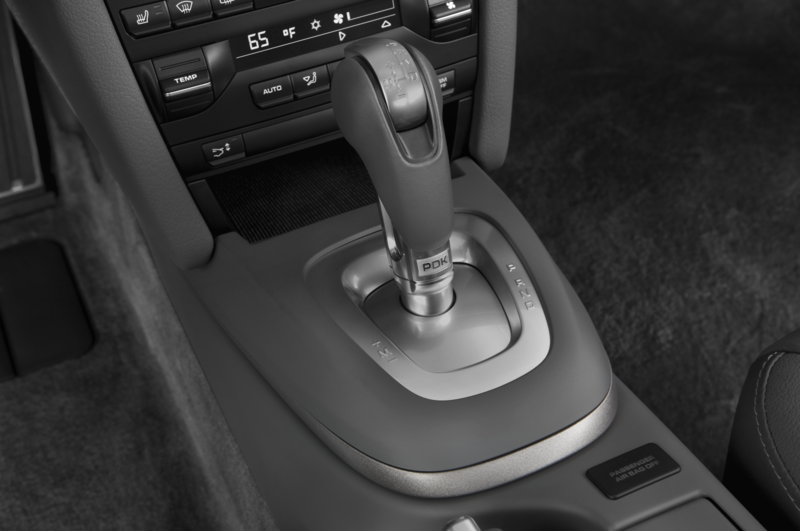 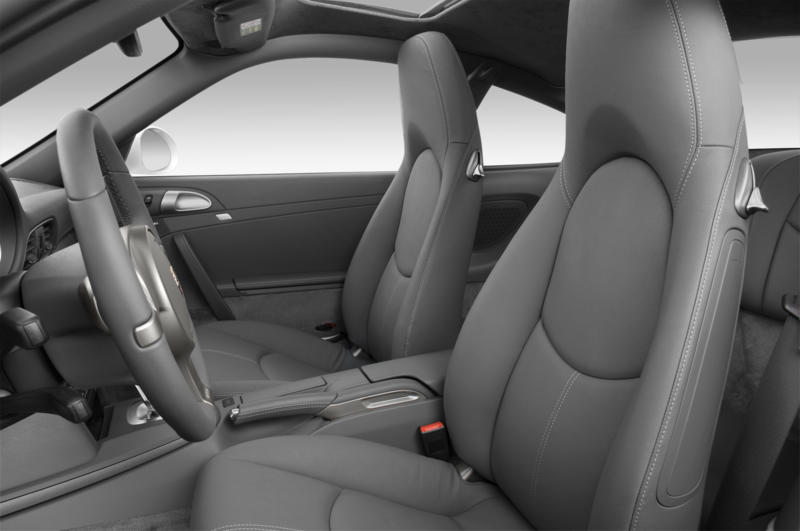 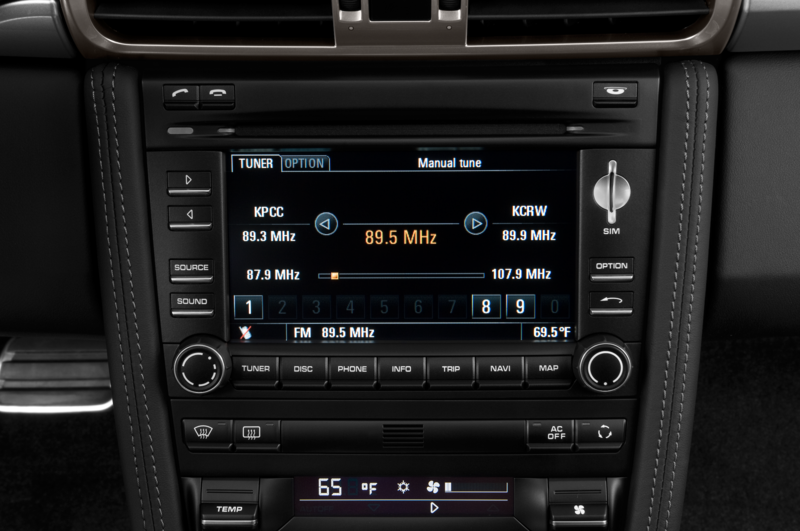 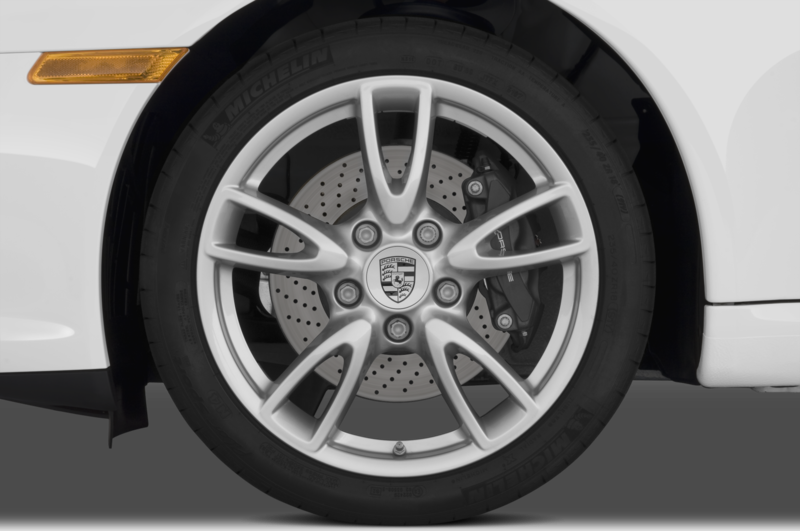 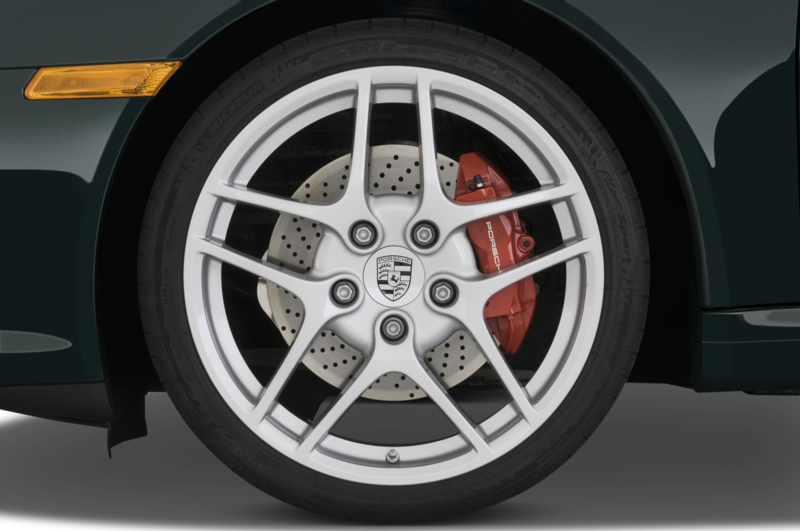 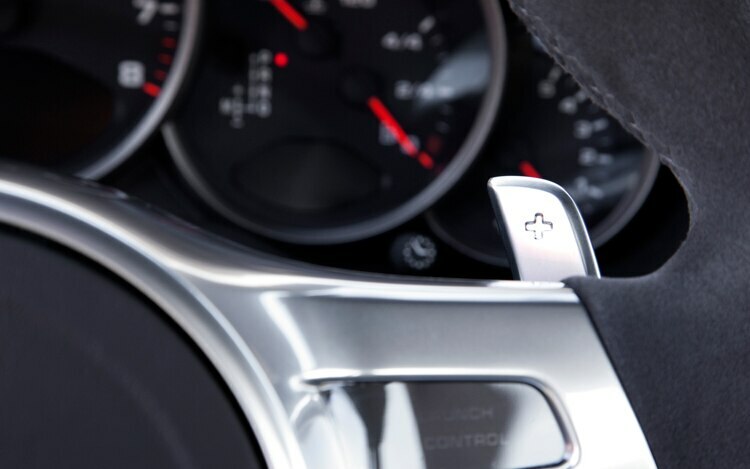 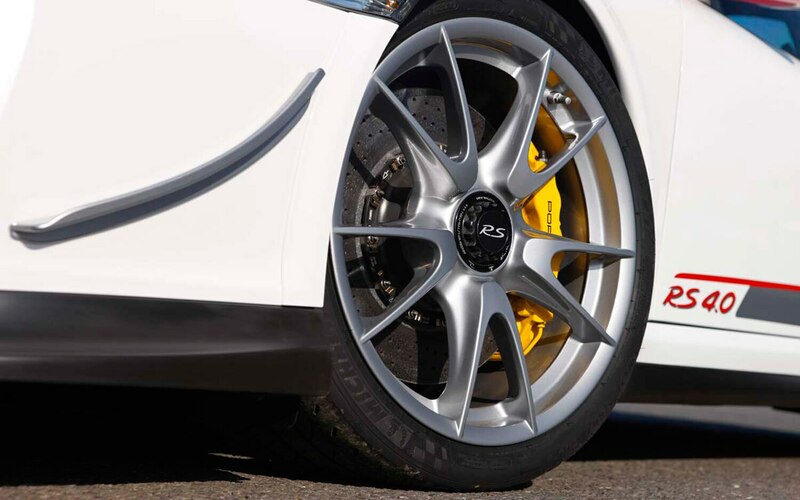 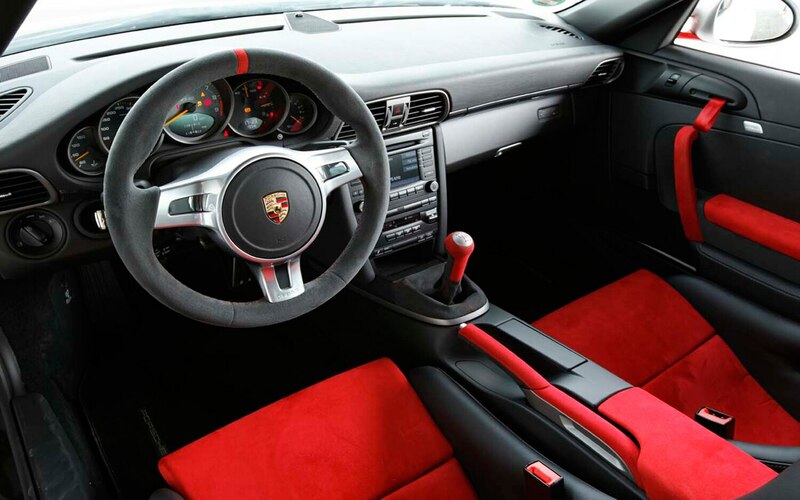 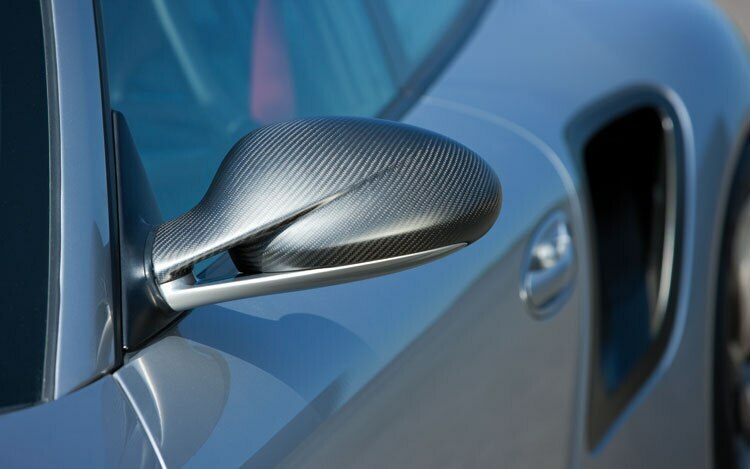 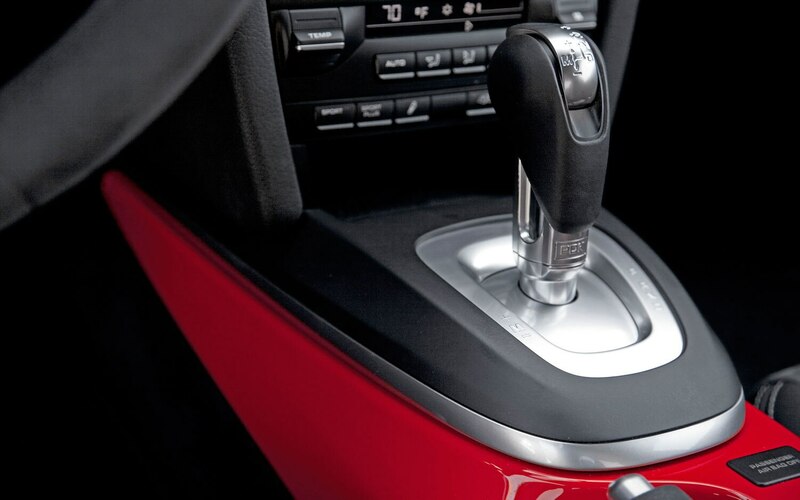 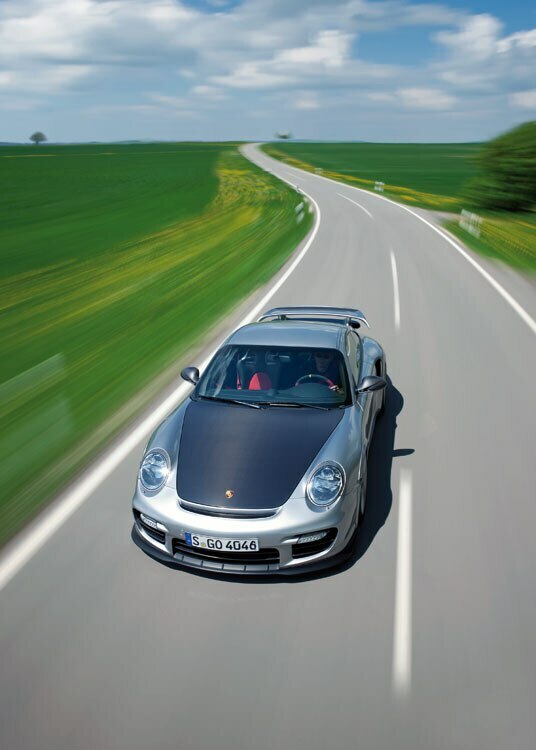 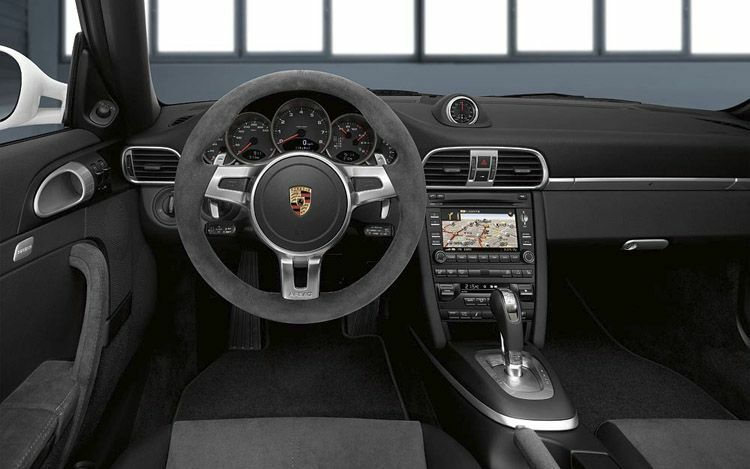 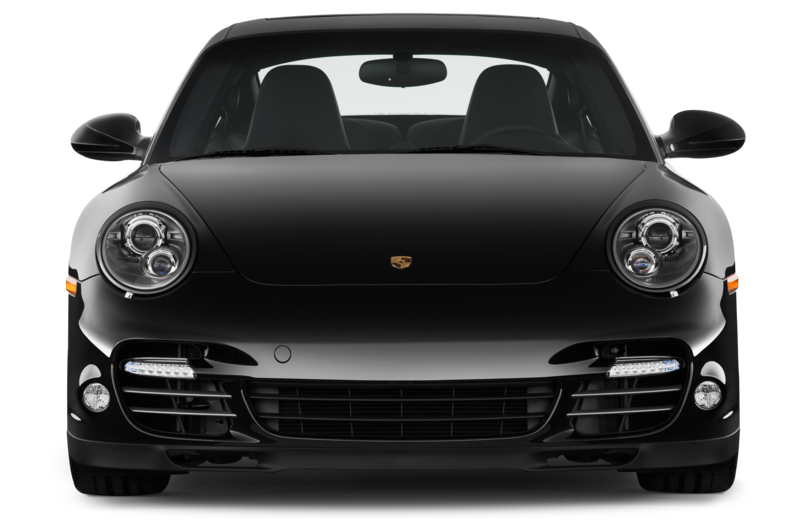 Porsche’s seven-speed dual-clutch automatic is standard, as is the company’s active suspension system and ceramic composite brakes. 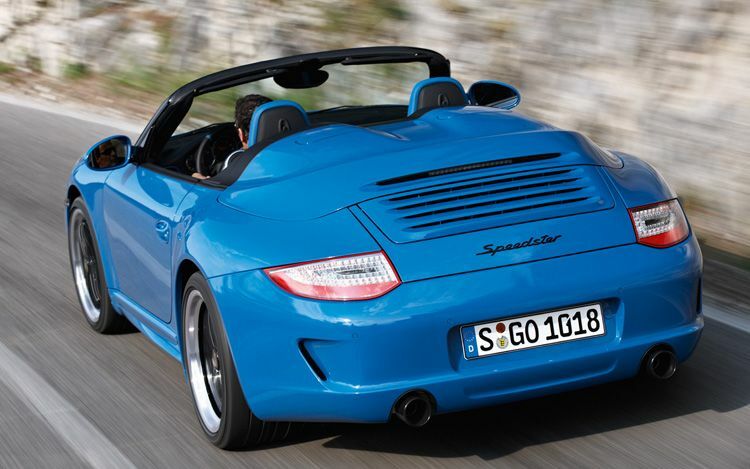 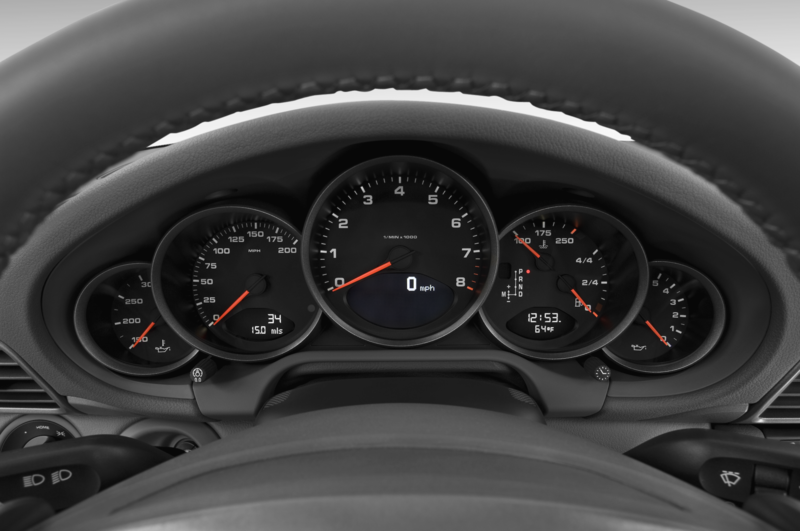 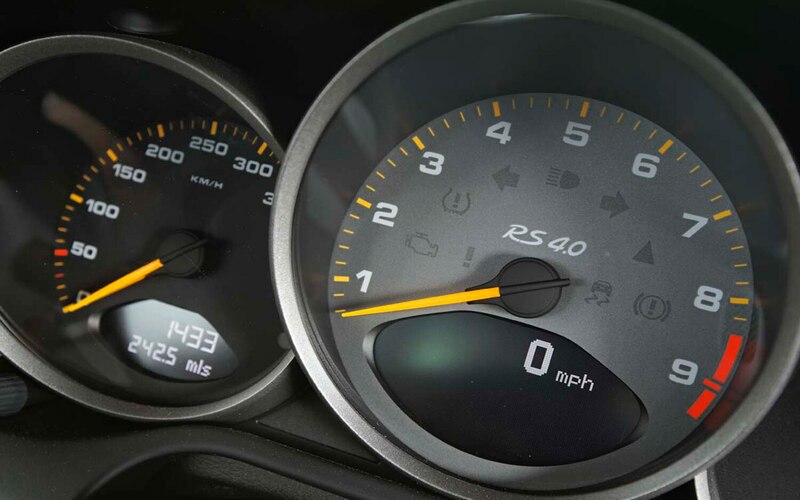 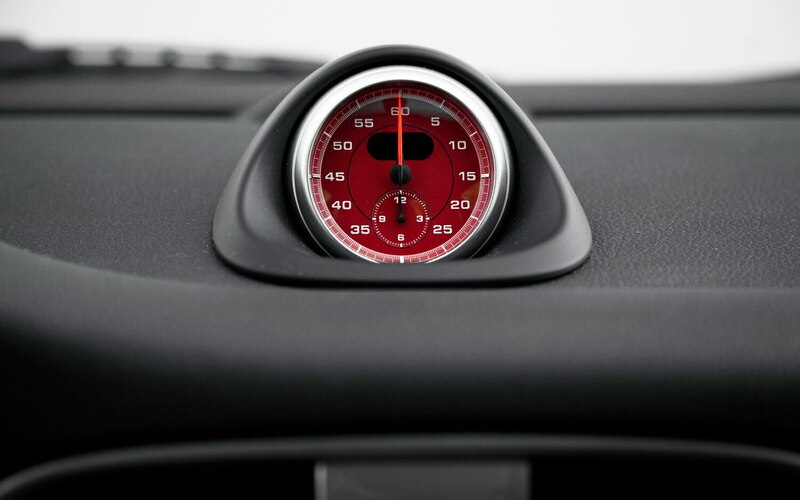 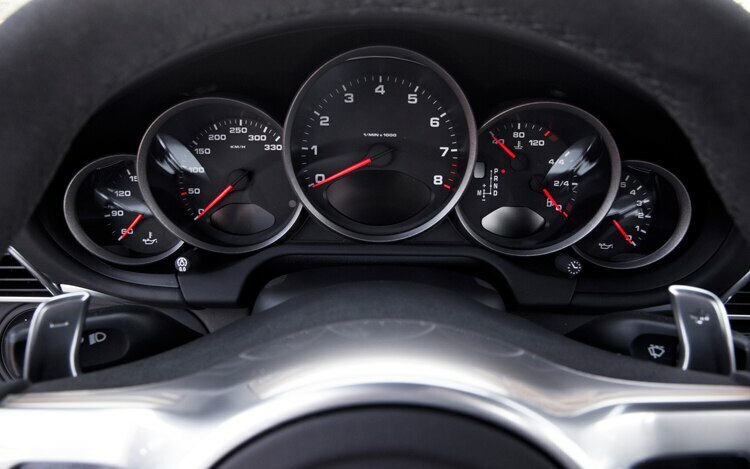 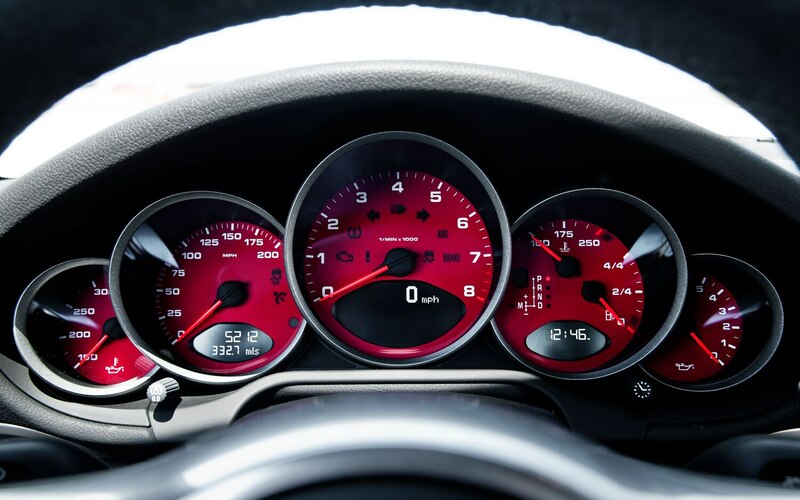 According to Porsche, the Speedster is good for 0-60 mph sprints in 4.2 seconds, a top speed of 190 mph, and fuel economy on par with a standard Carrera S cabriolet. 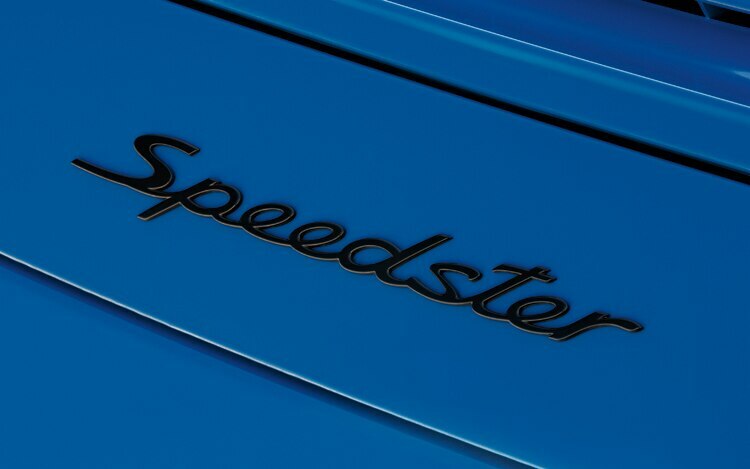 As was the case with the first two iterations of the 911 Speedster, production of the 2011 Speedster will be extremely limited. 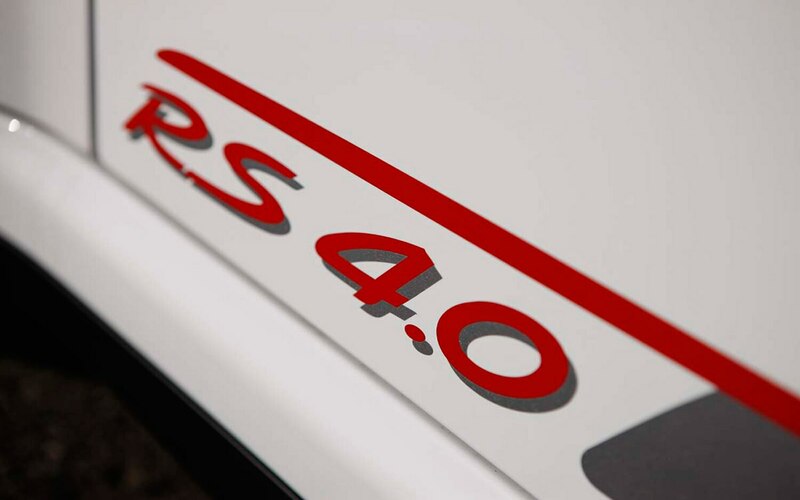 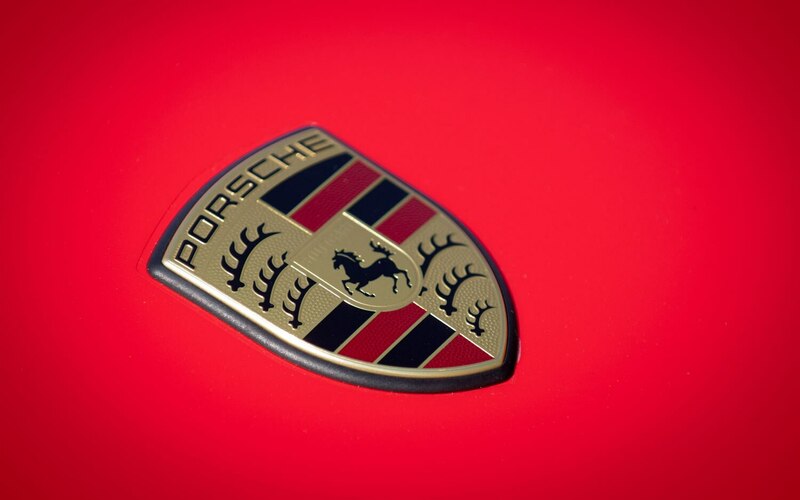 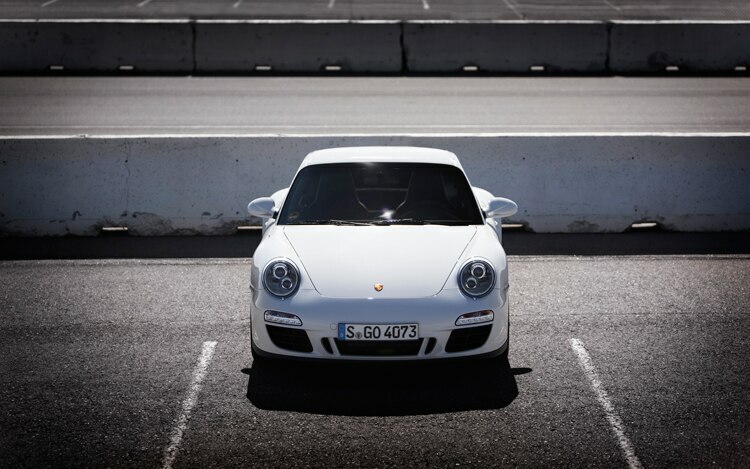 Porsche plans on building no more than 356 examples (cute, no?) 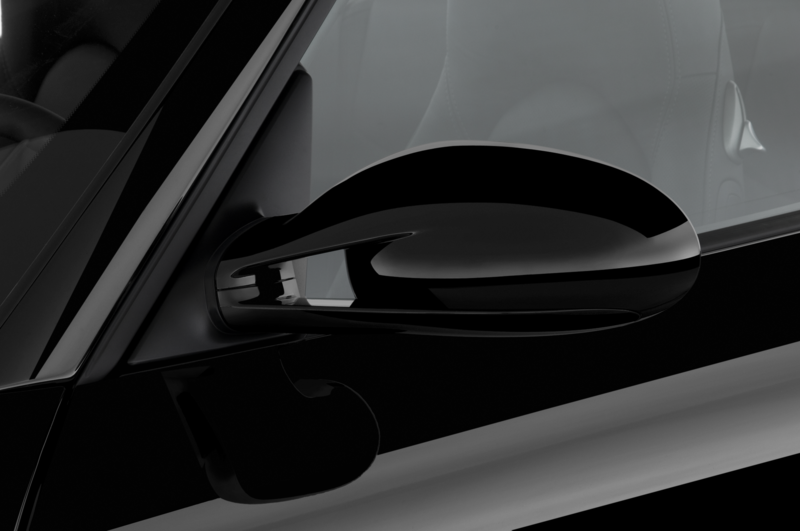 worldwide, and anticipates roughly 100 examples will make their way stateside. 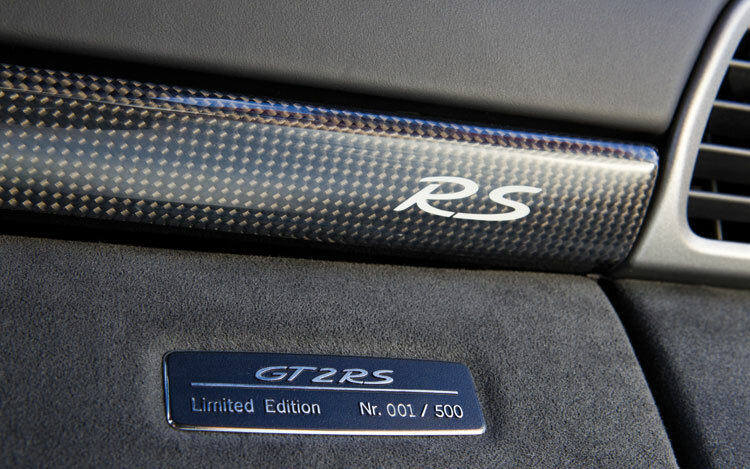 Pricing will begin at a whopping $204,000 — roughly $40,000 more than a 911 Turbo S Cabriolet — and deliveries should begin in early 2011. 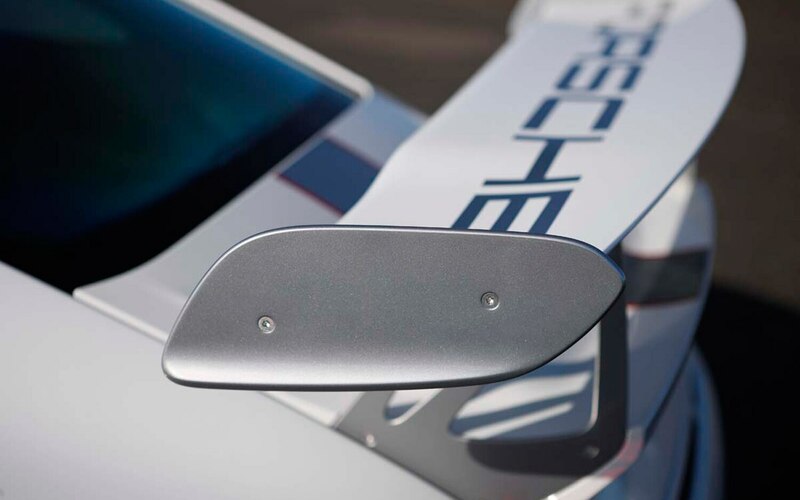 With the unveiling of the next-gen 911, Porsche racers are no doubt chomping at the bit to put the new chassis through its paces. 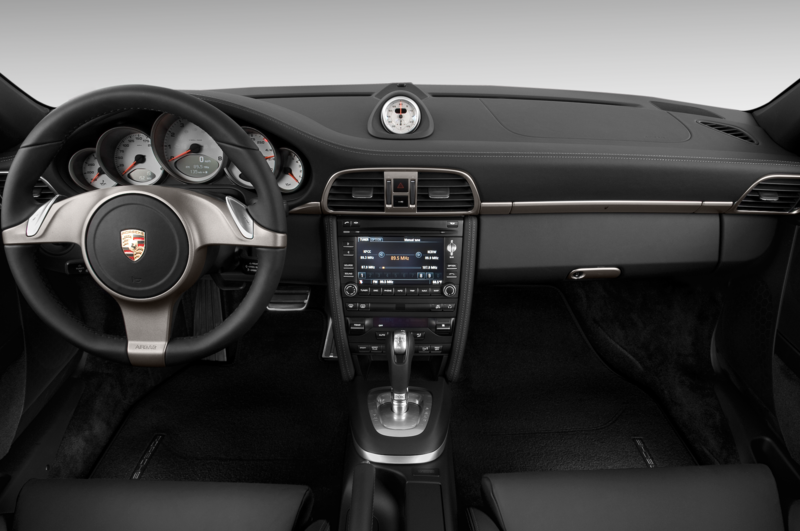 With watches, sunglasses, suits, men’s fragrances, and hybrid bicycles under its belt, Porsche Design is now getting ready to enter the world of high-fashion smart phones.